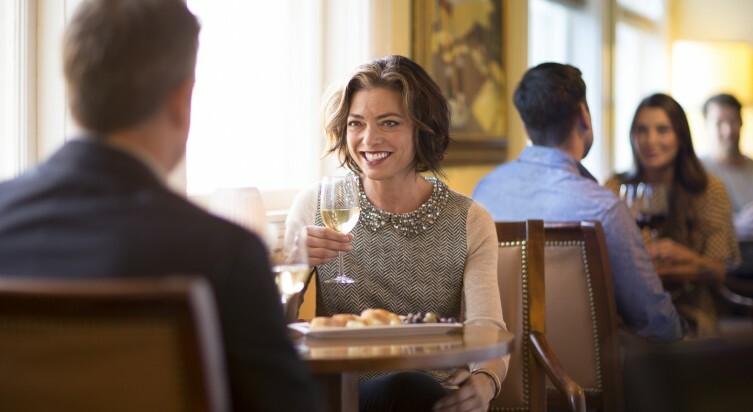 Each of the hotels we operate offers a remarkable setting that combines local beauty and inviting ambiance with an array of superb amenities for business and pleasure. 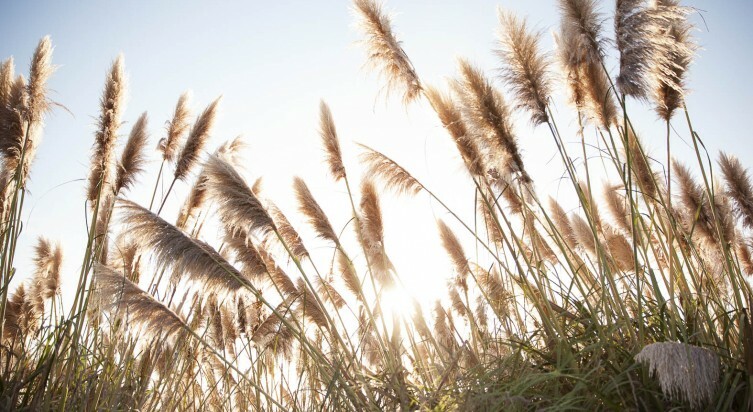 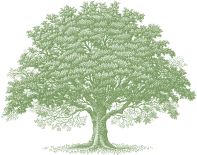 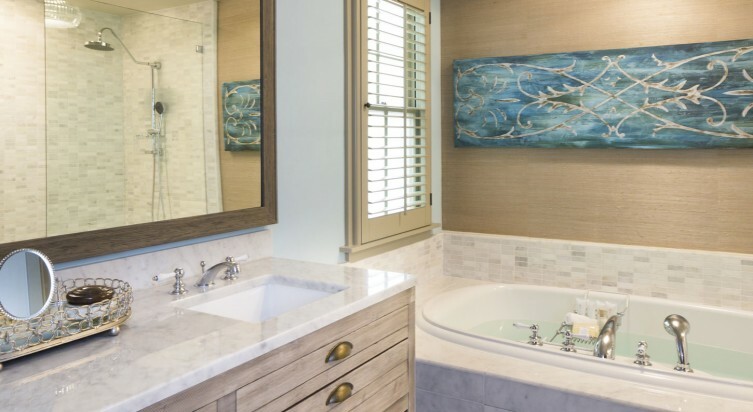 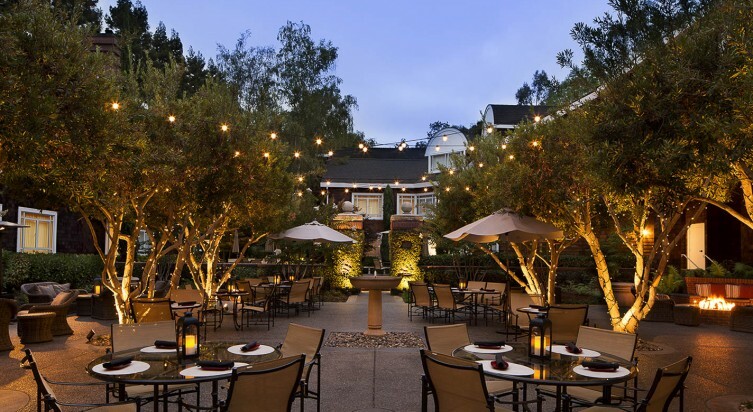 As part of the California landscape for over four decades, we are dedicated to delivering unparalleled service, creating memorable experiences and exceeding expectations. 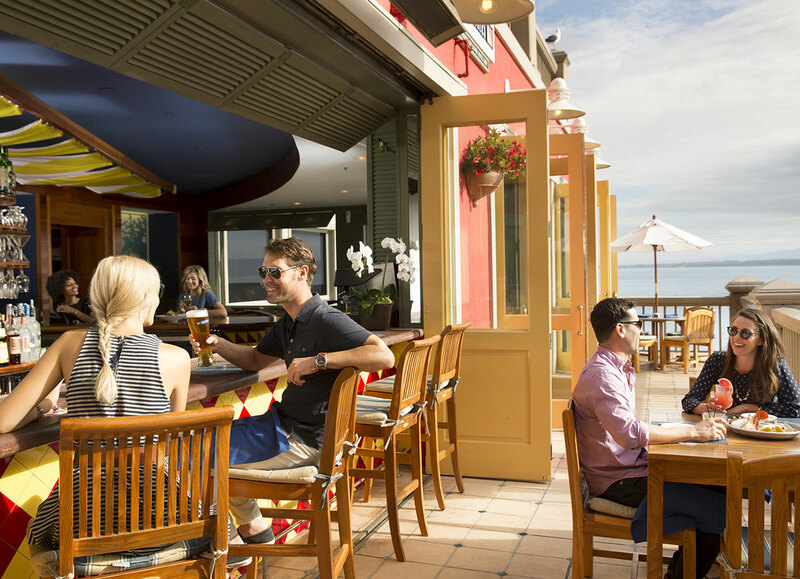 Come to Woodside Hotel Group to entertain, meet, celebrate or simply unwind. 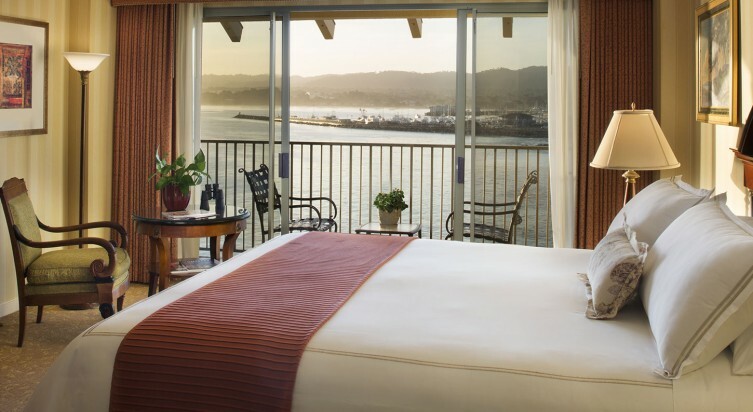 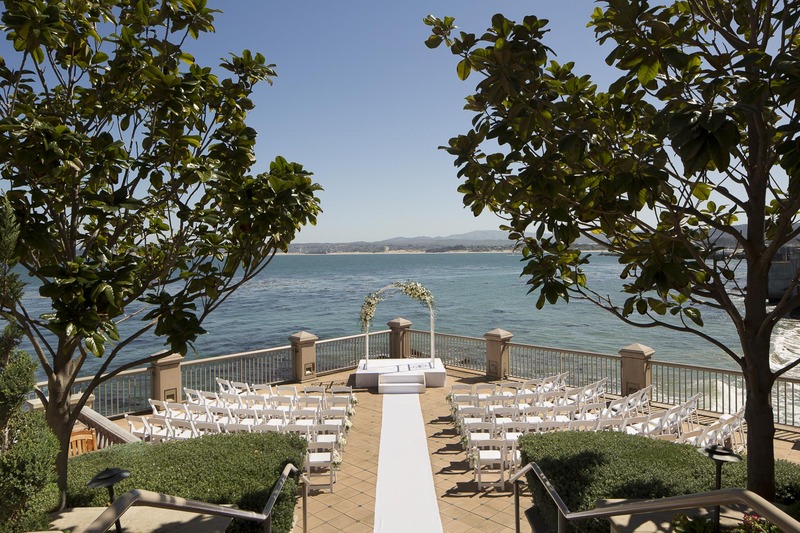 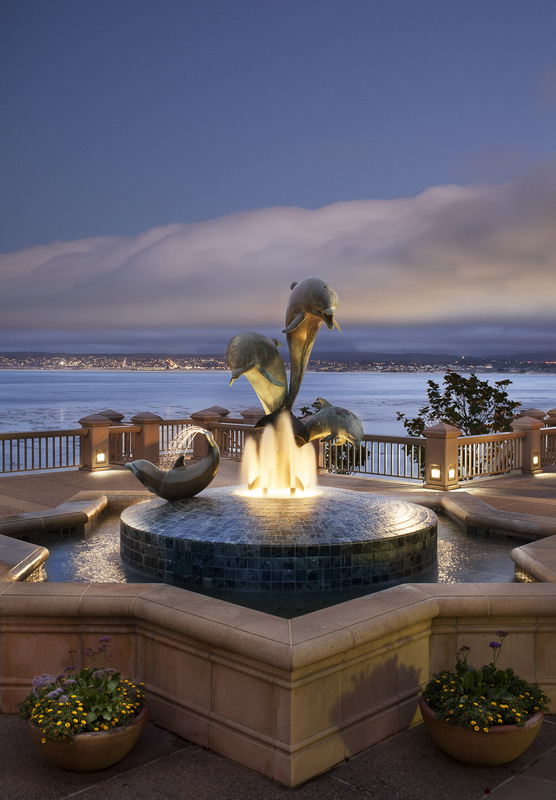 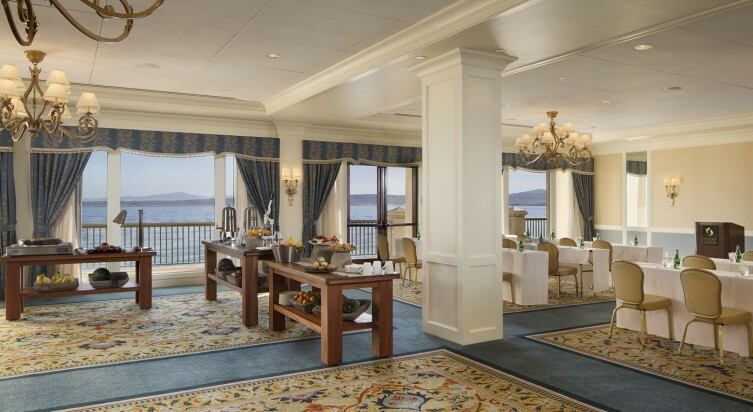 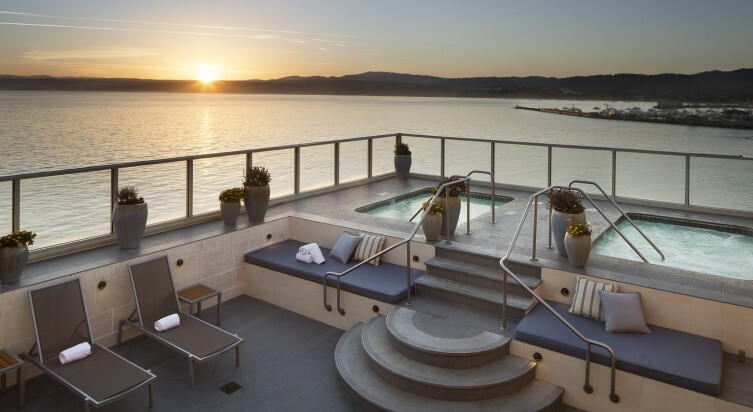 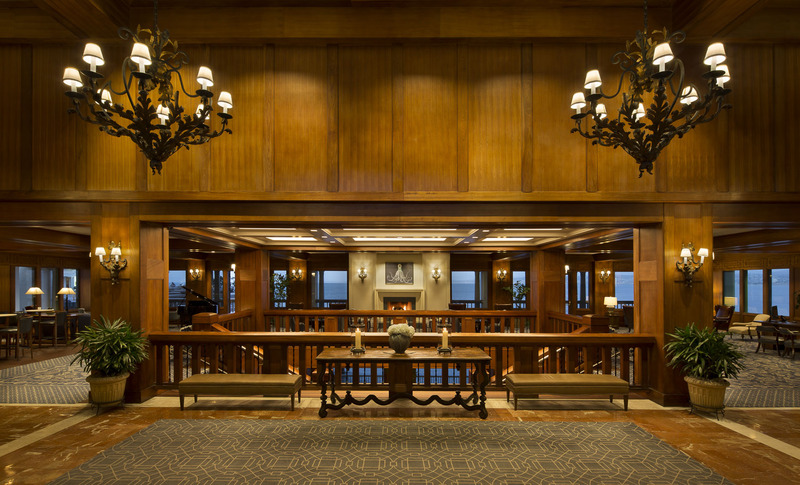 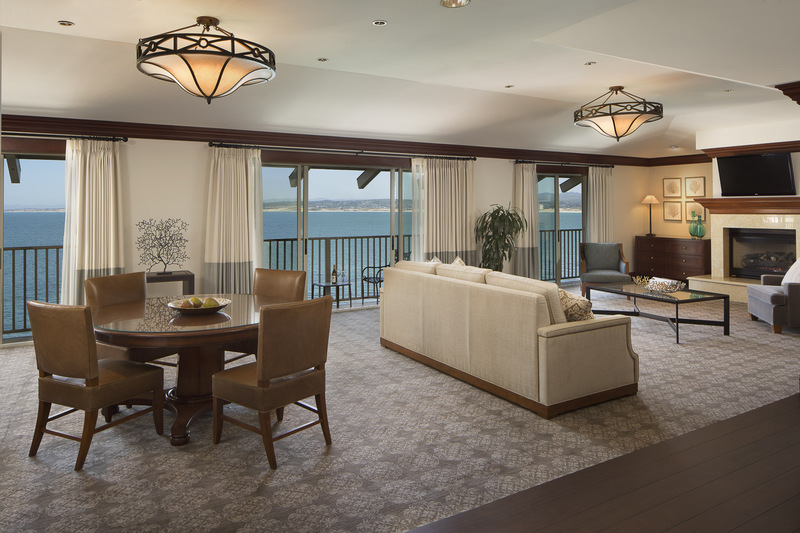 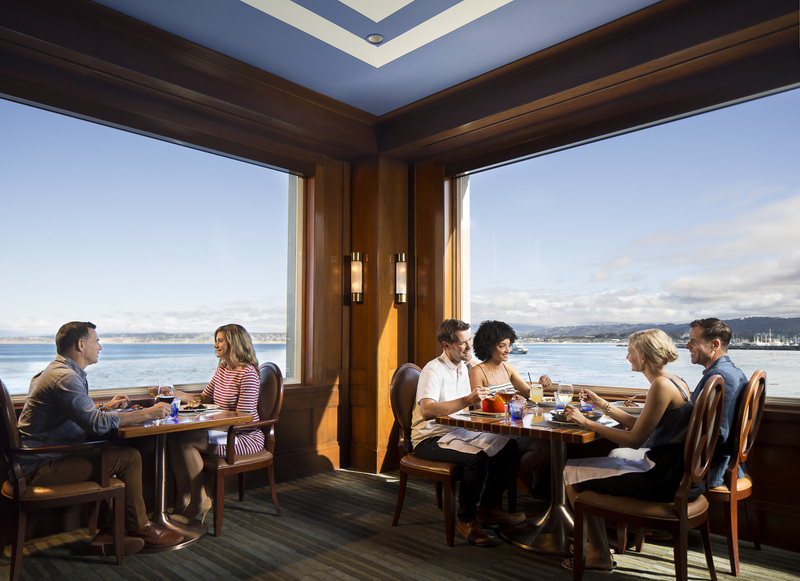 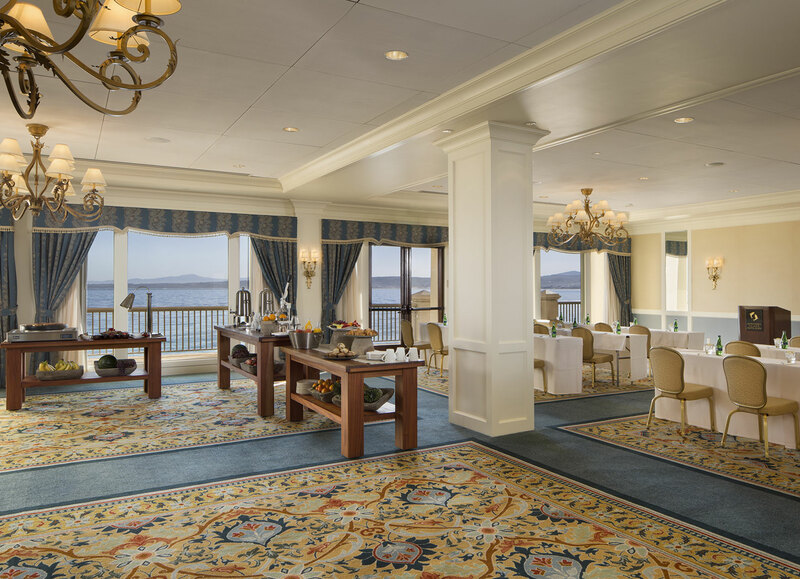 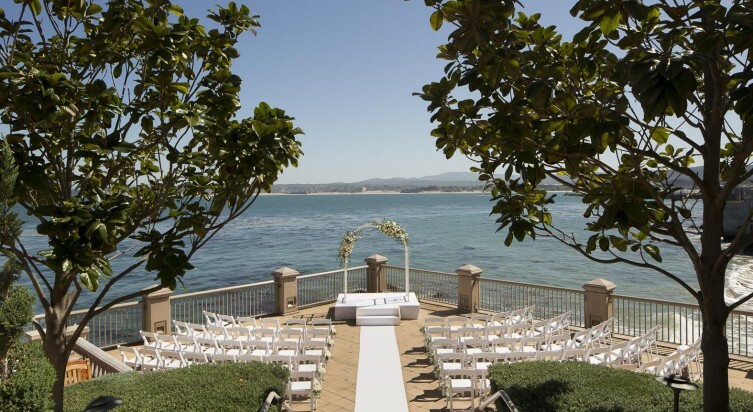 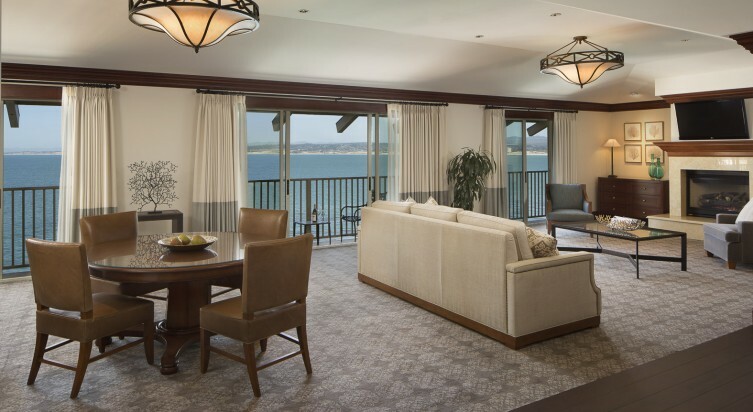 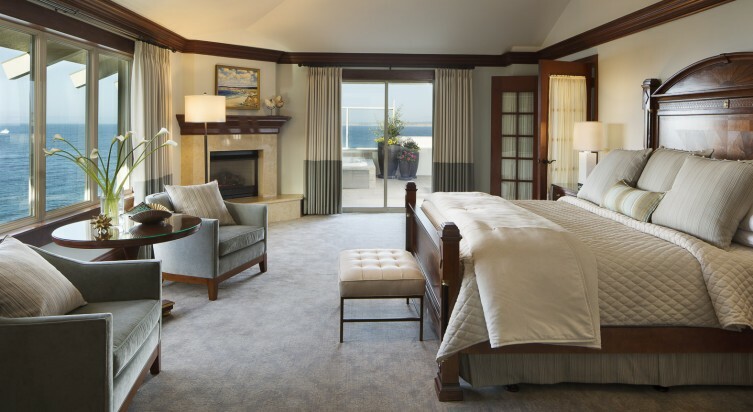 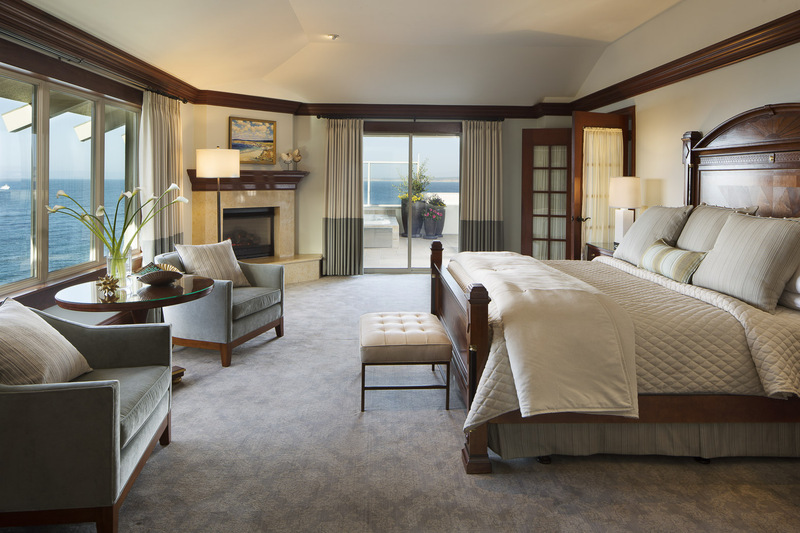 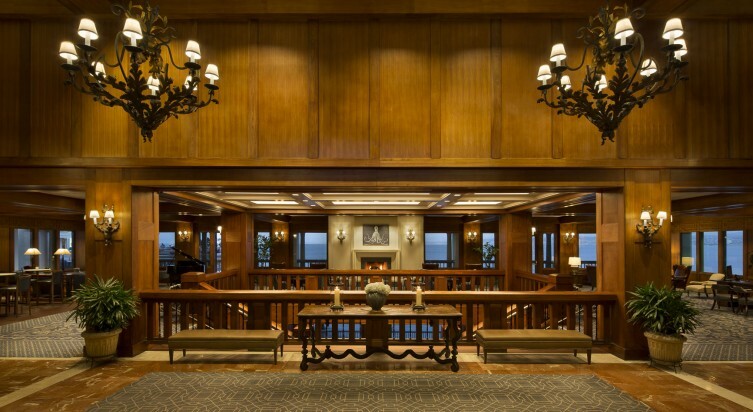 Perched dramatically over Monterey Bay, the Monterey Plaza Hotel & Spa invites you to indulge in the magic of a seaside estate. Kayak among playful otters. 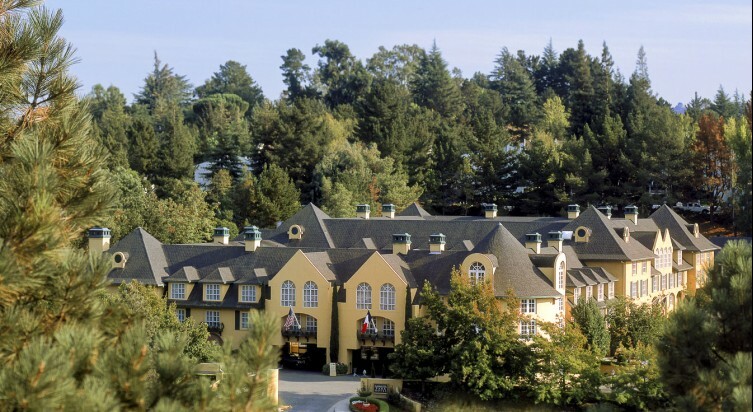 Tour the cypress-lined splendor of 17-Mile Drive. 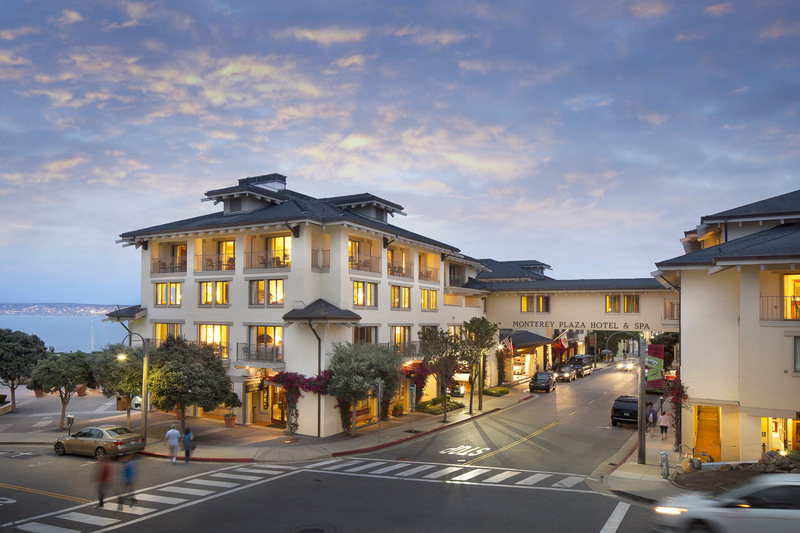 Stroll historic Cannery Row to Lovers Point. 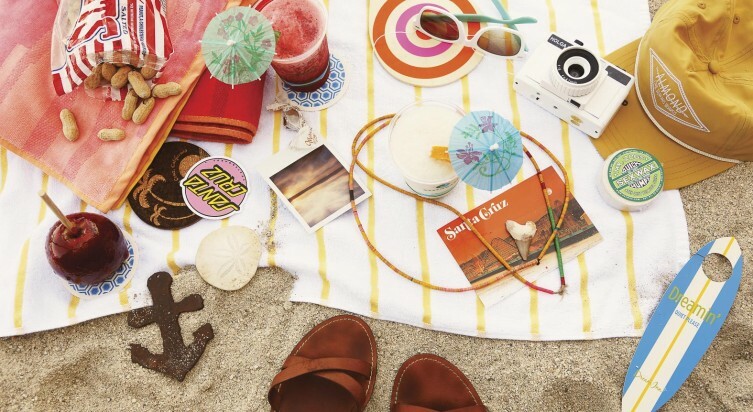 Beat a barefoot path to the beach for surfing, paddle boarding and kicking back in the sand. 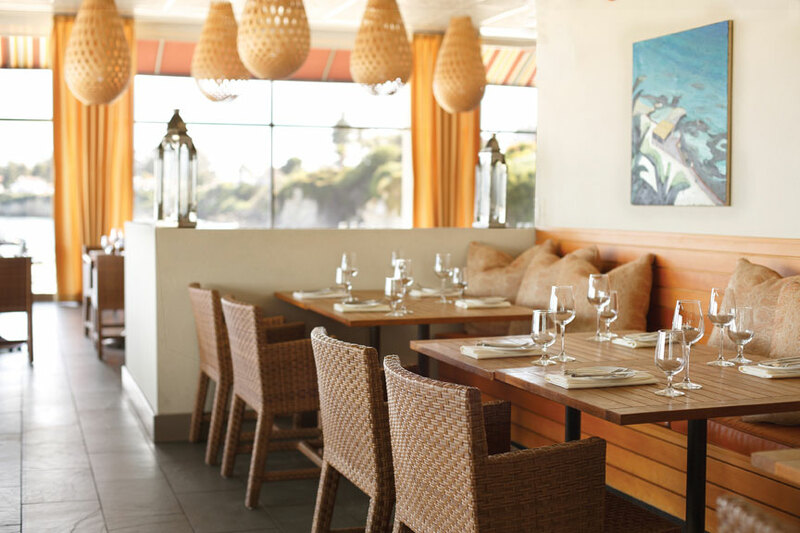 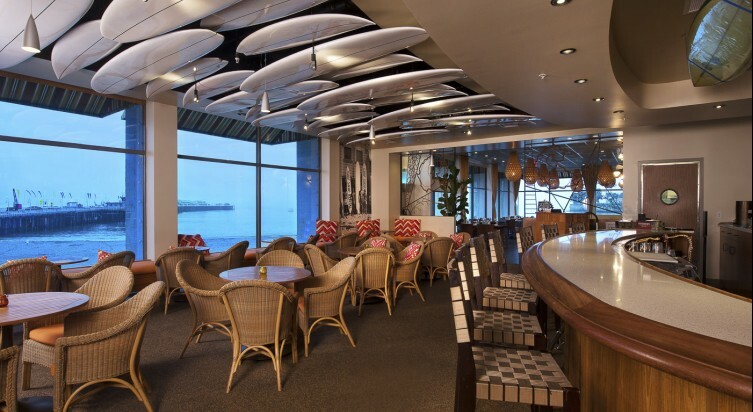 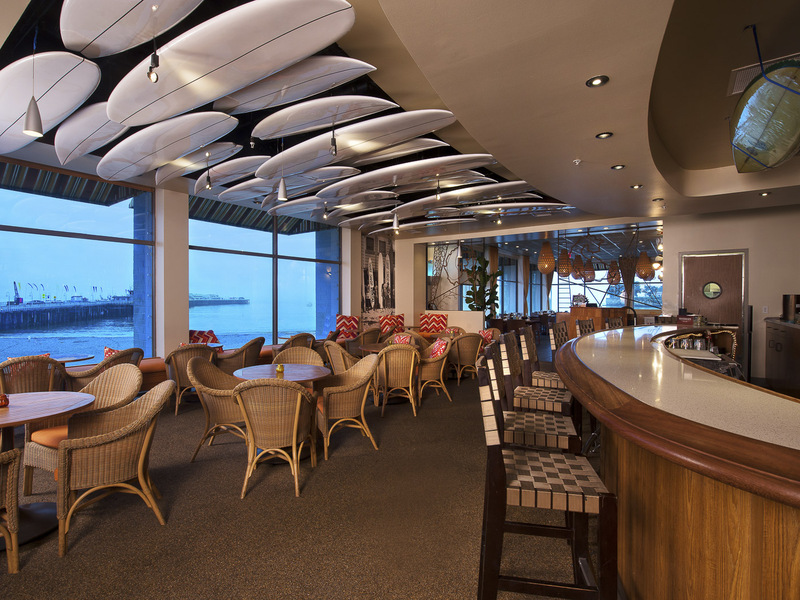 Simply indulge in sumptuous cuisine at the hotel’s own Schooners Coastal Kitchen & Bar, or retreat to the Vista Blue Spa or your private balcony and soak in the drama of crashing waves. 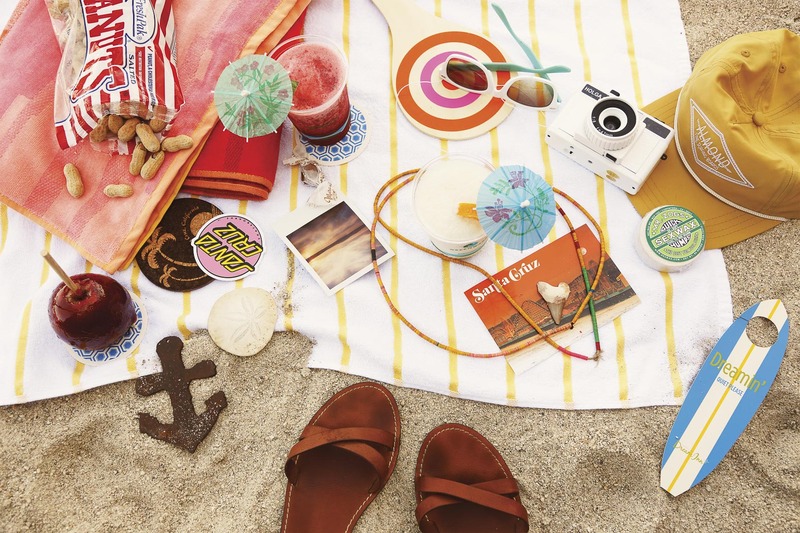 Bring your flair for adventure and your love of all things California coastal. 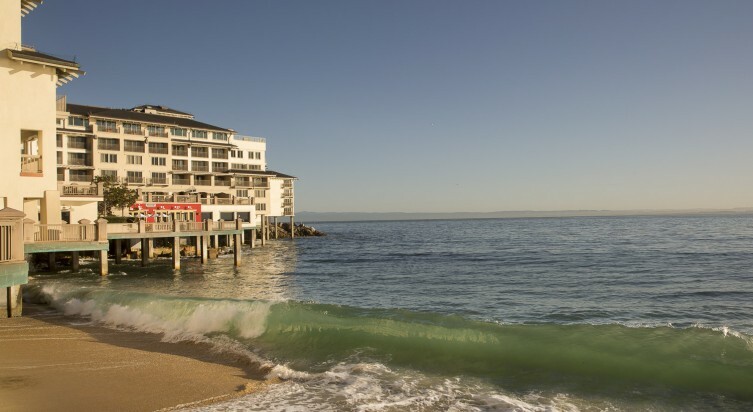 Let our coastal curators lead you on an unforgettable quest to Monterey’s myriad treasures – many known only to locals. 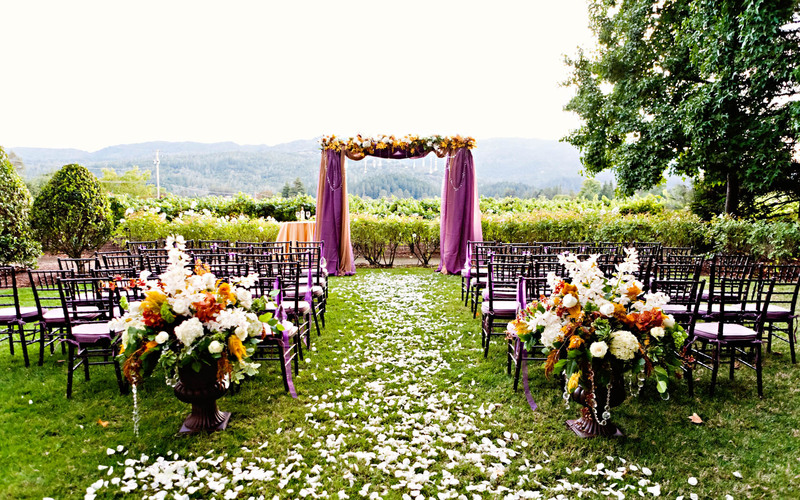 Romantic, majestic, pastoral and artistic. 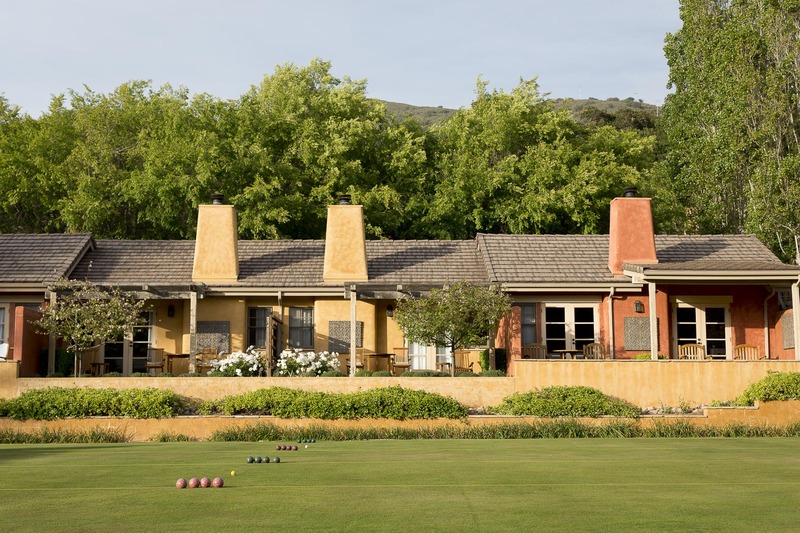 With its year-round sunshine and warm climate, there’s no place like Carmel Valley. 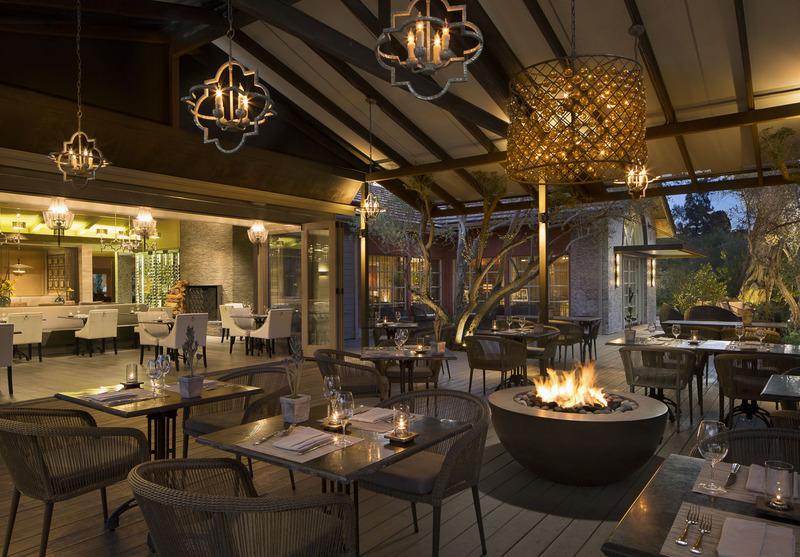 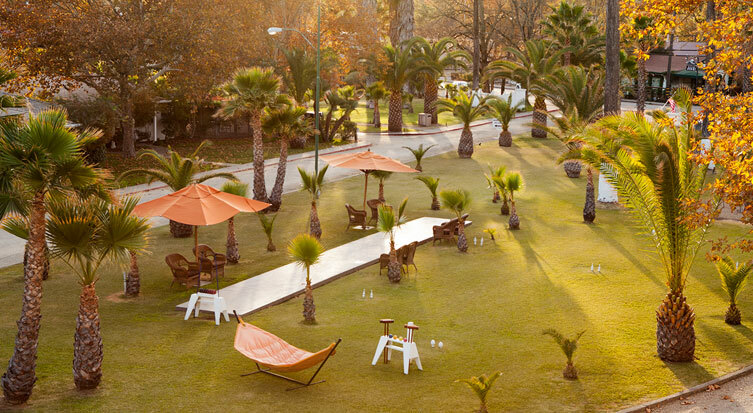 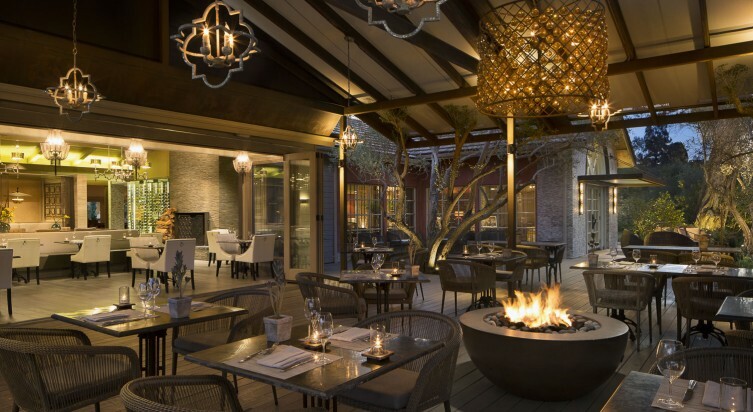 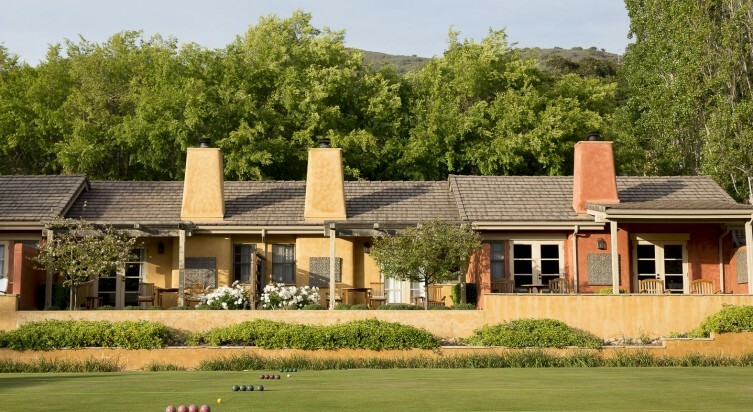 And there’s no better way to tap into its small-town charms than at Bernardus Lodge & Spa. 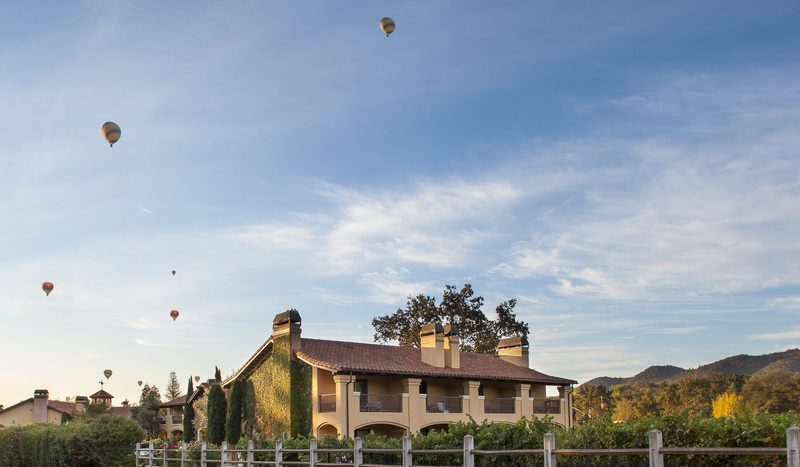 Tucked away among rolling hills, vineyards and gardens, Bernardus invites you to savor the intimacy of a luxury retreat with an epicurean soul. 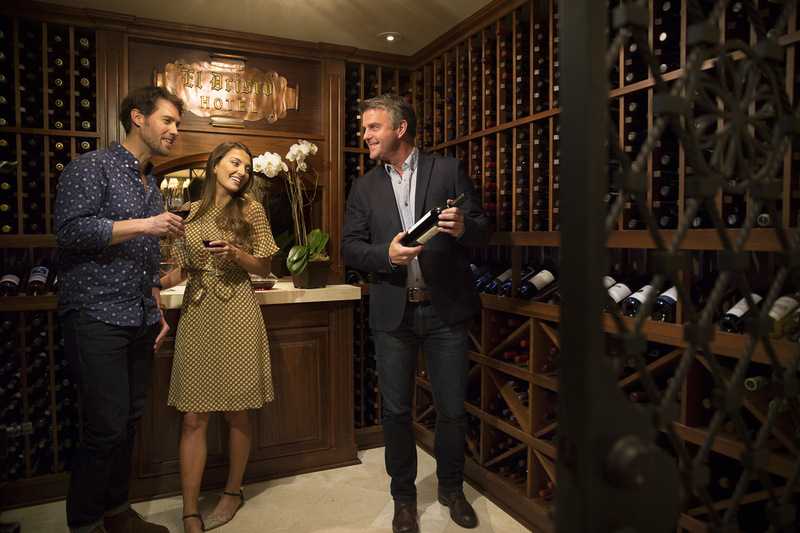 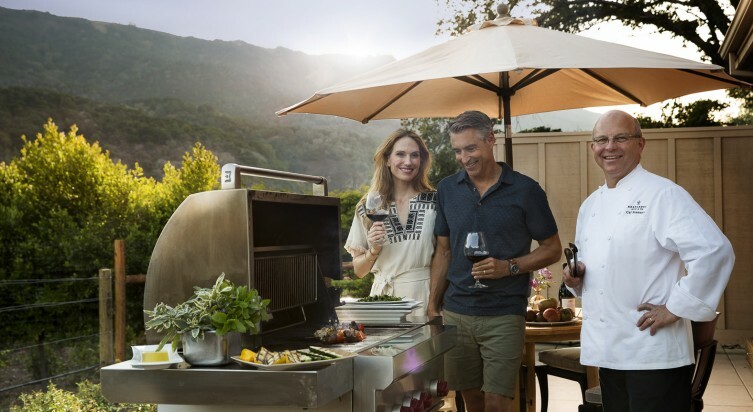 Escape to the warmth of an old friend’s country estate to share in Carmel’s cultural and recreational pursuits, all curated by our local staff for the ultimate insider’s experience. 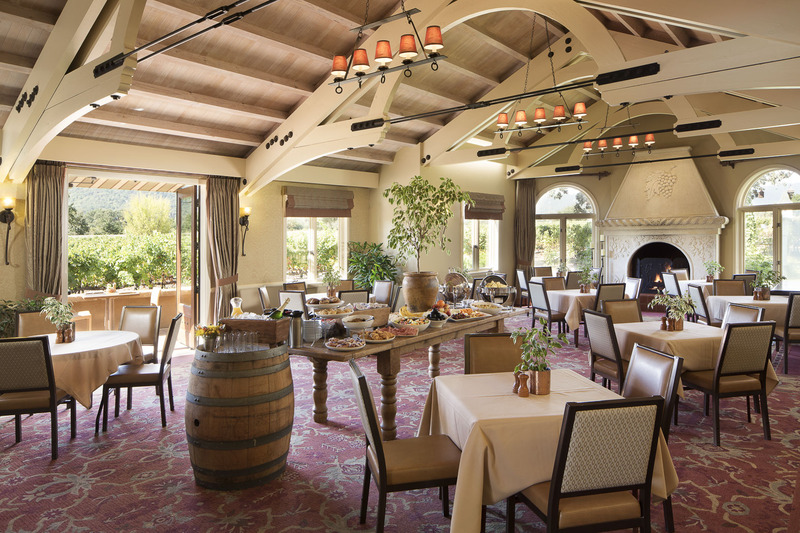 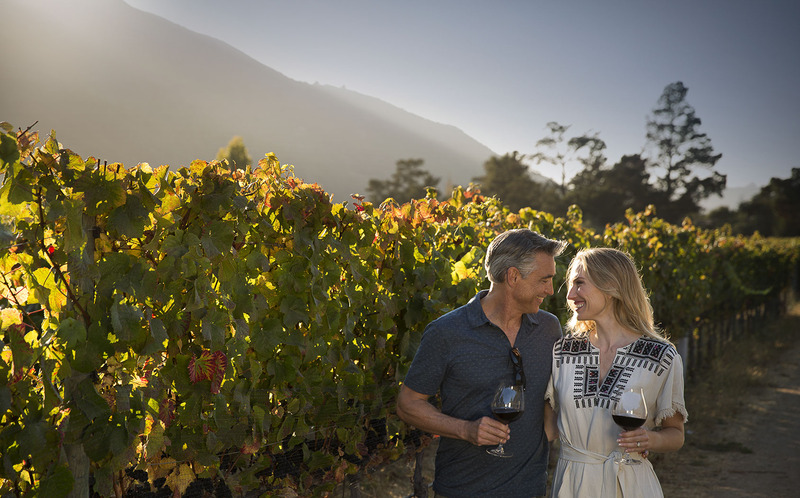 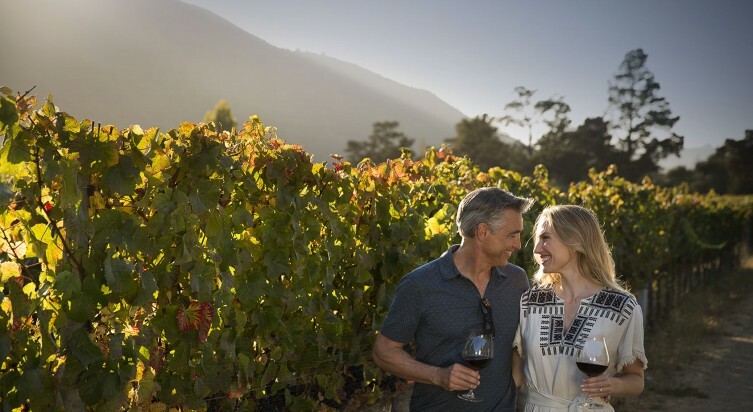 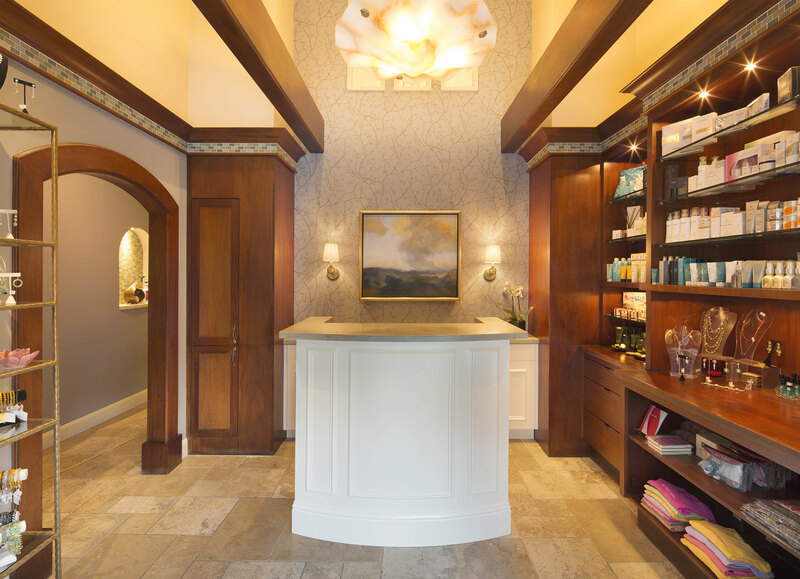 From winery tours and garden-to-table cuisine at our signature restaurant and bar, Lucia, to an extensive array of spa treatments and mountain hikes, Bernardus captures the magic of the Carmel Valley – and the memories that matter most. 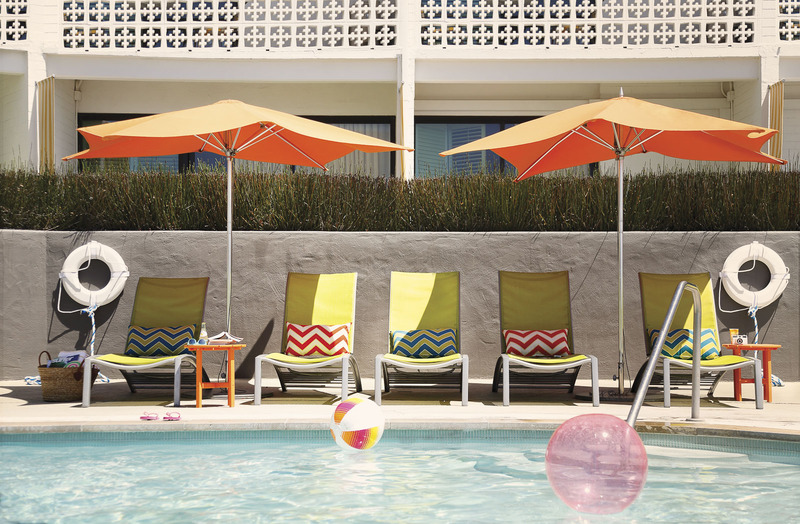 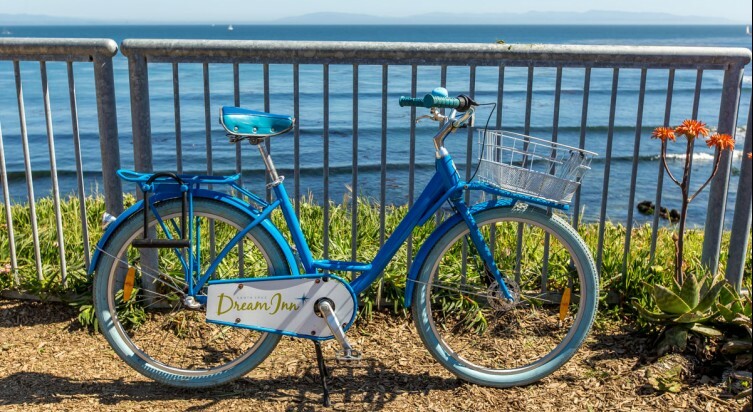 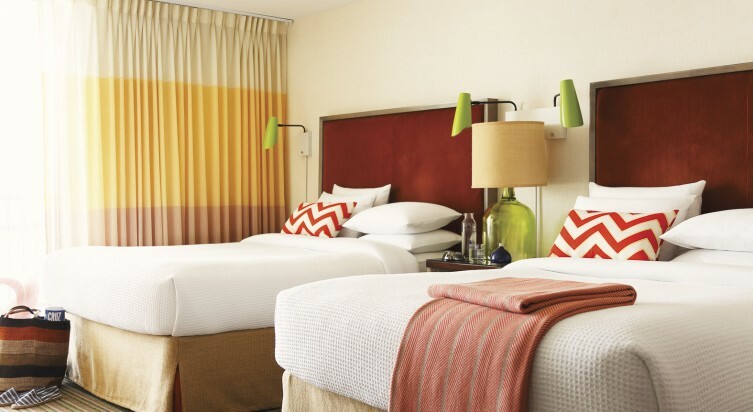 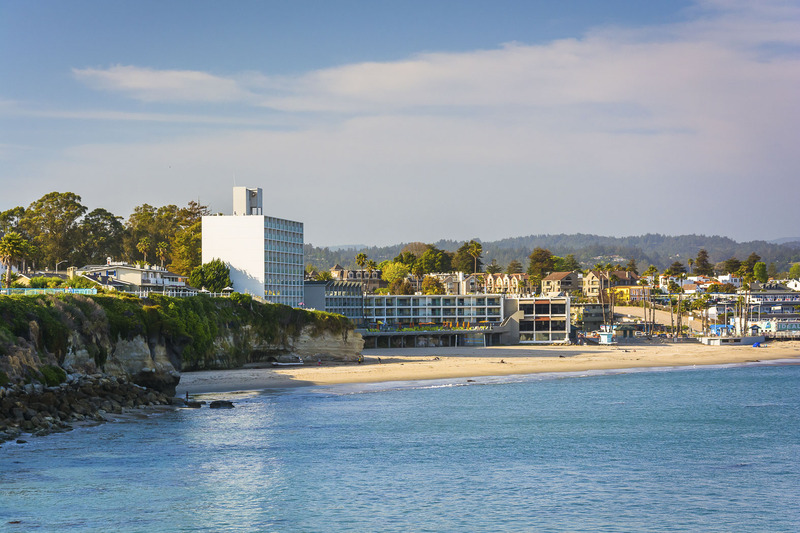 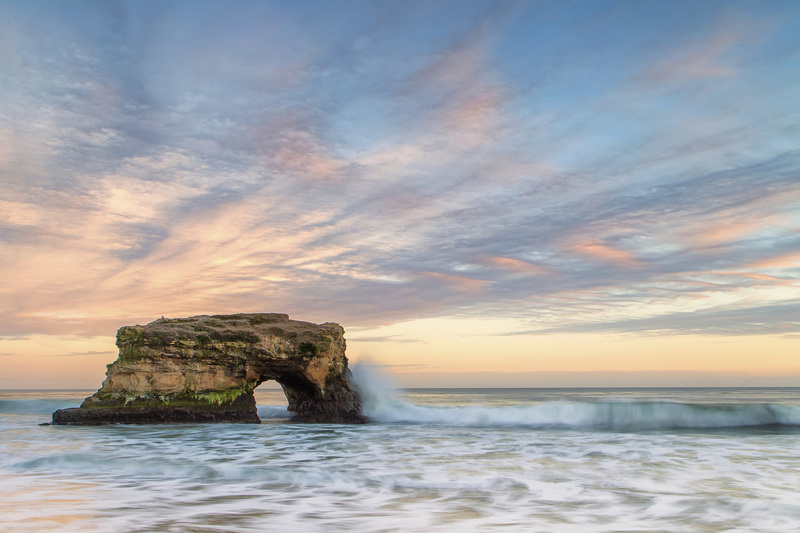 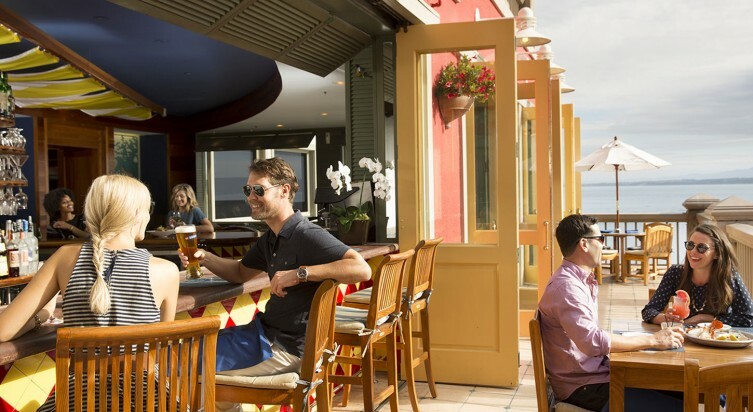 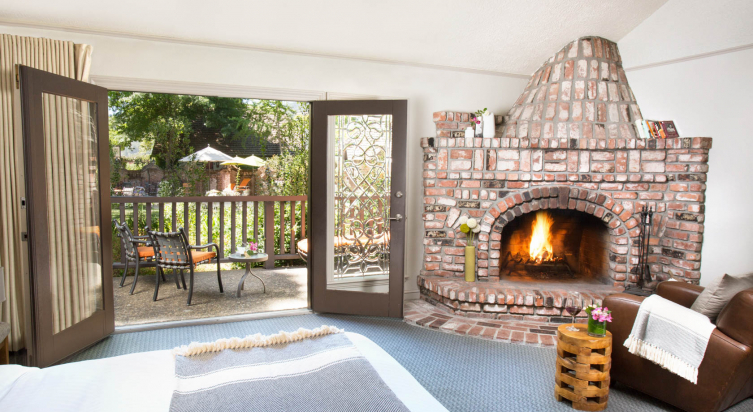 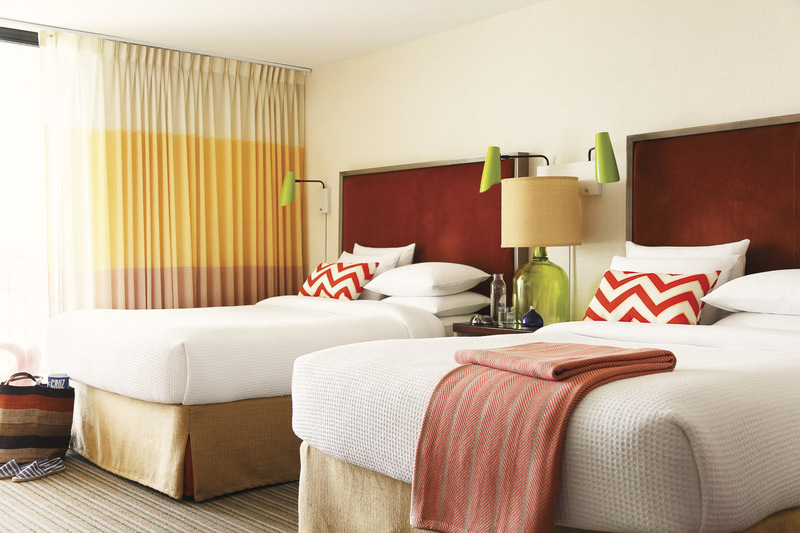 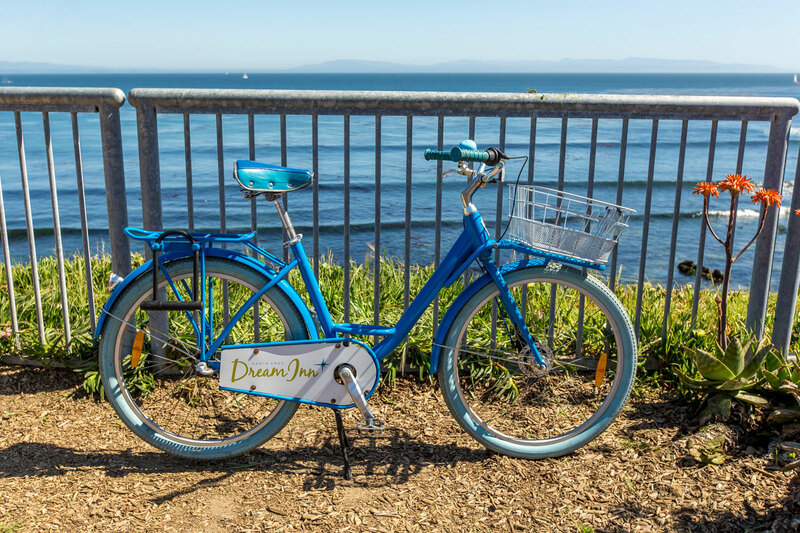 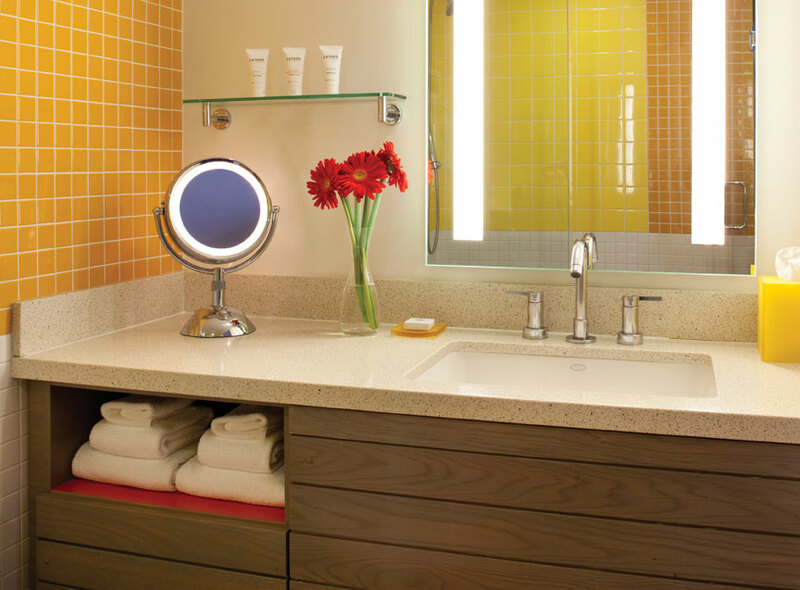 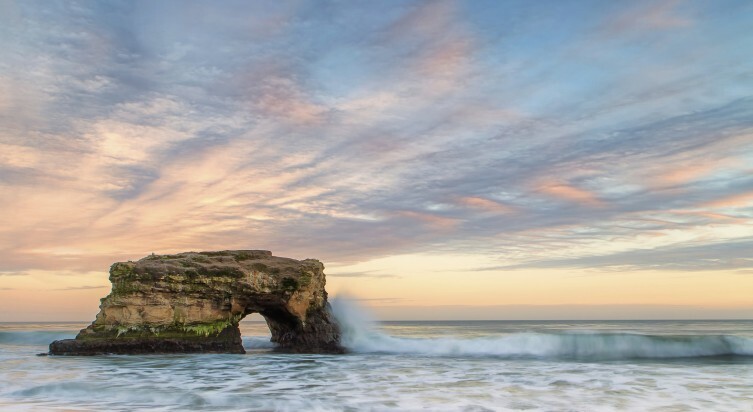 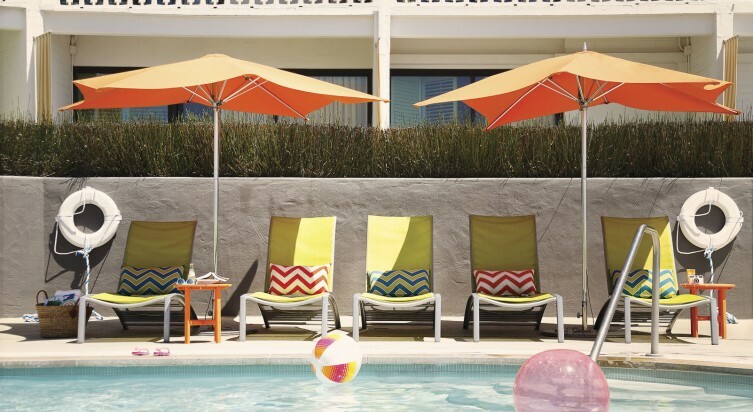 An iconic landmark embodying the soul of this colorful beach town, the Dream Inn Santa Cruz is a quintessential Northern California destination. 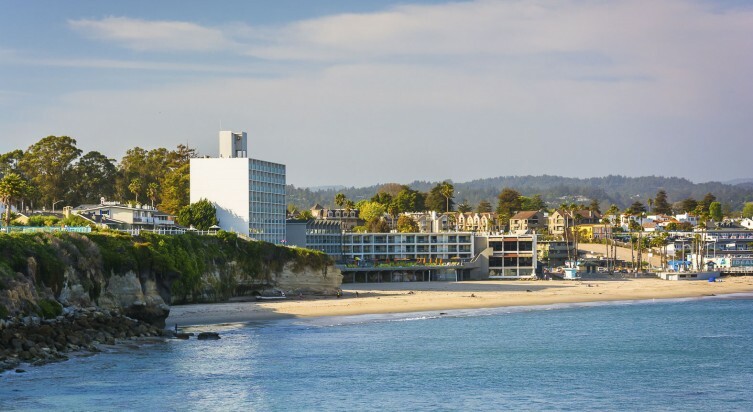 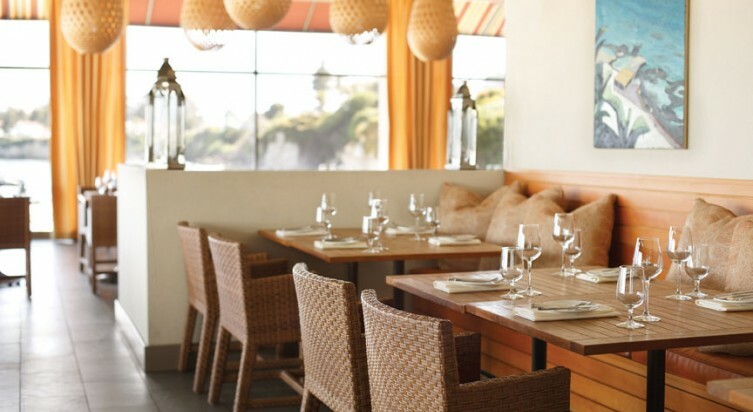 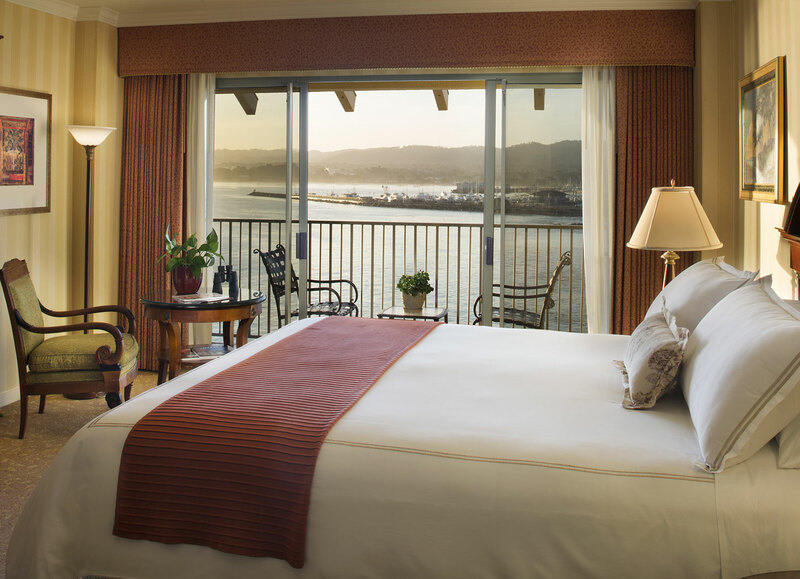 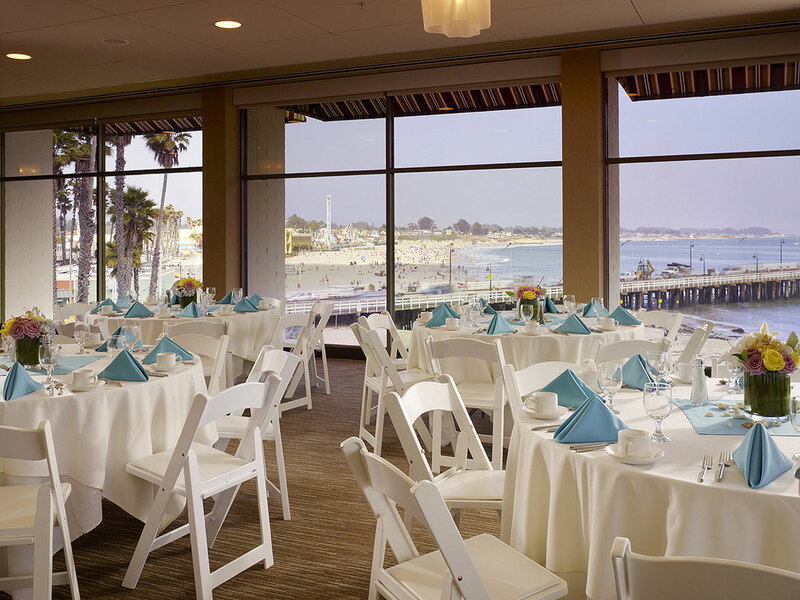 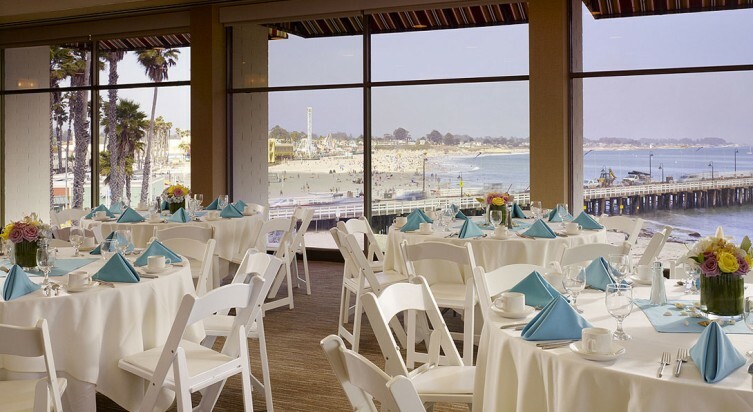 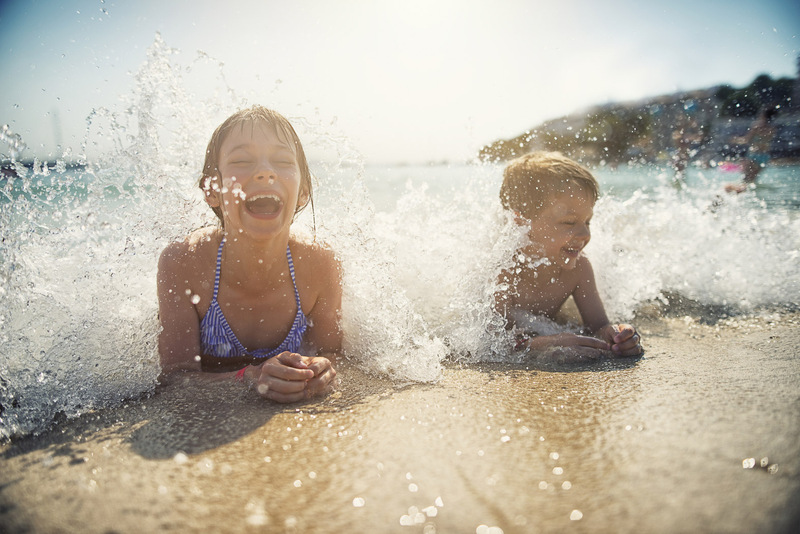 Located on the site of Jack O’Neill’s first surf shop, on Cowell’s Beach, the hotel is adjacent to the wharf and historic Santa Cruz Beach Boardwalk, and a short walk to local shops, restaurants and Downtown Santa Cruz. 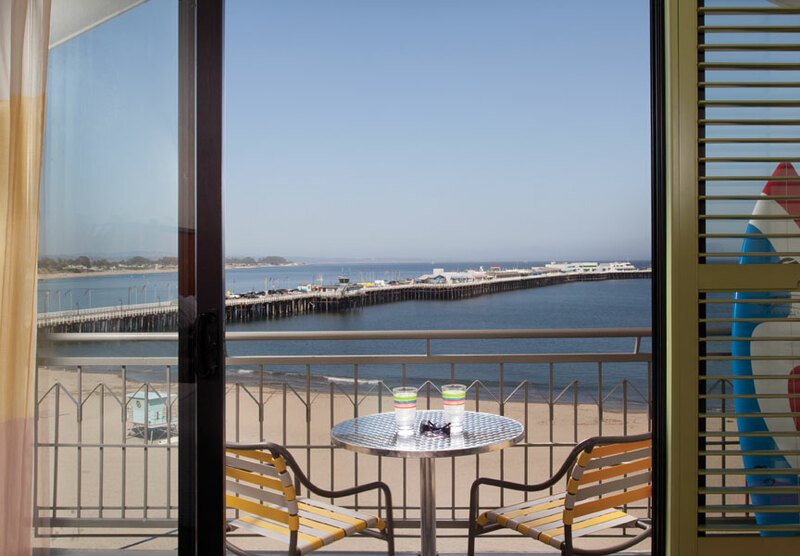 Enjoy beautiful ocean views from every room, savor delicious food at our beach-front restaurant Aquarius + Jack O’Neil Lounge or relax around the pool-side fire pits and hot tub. 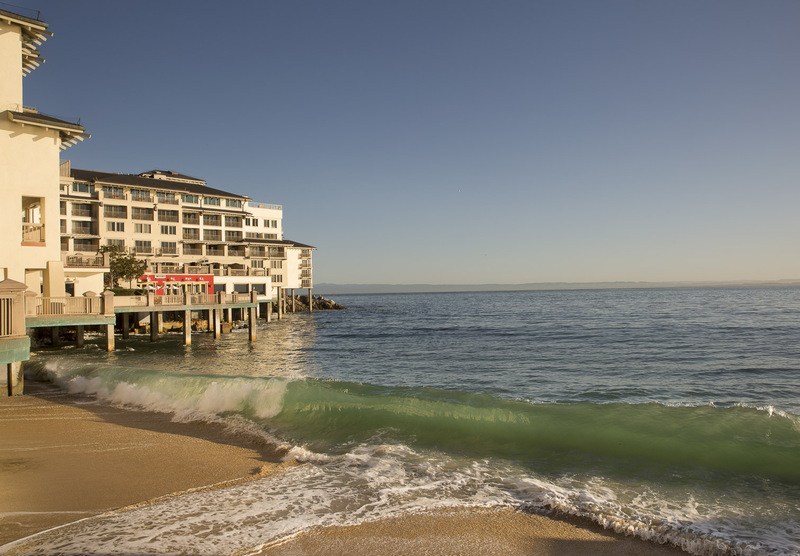 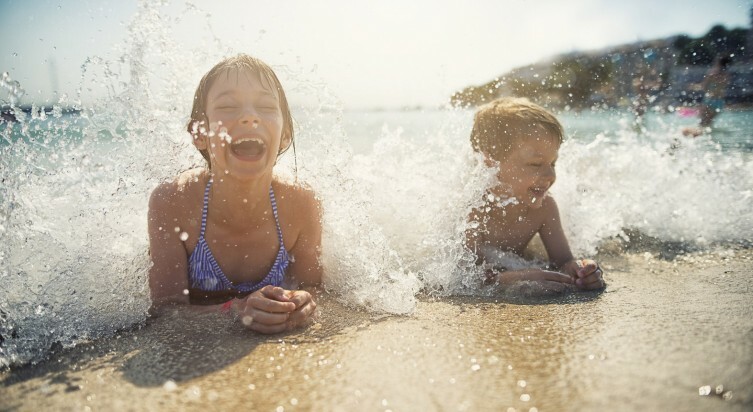 Bond with friends and family on the beach, at the boardwalk, in the waves or just dreaming on your beach view balcony. 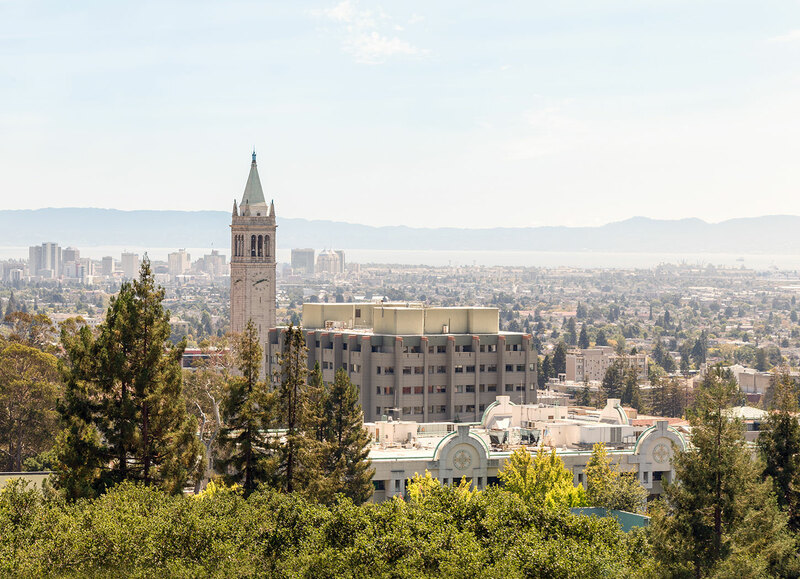 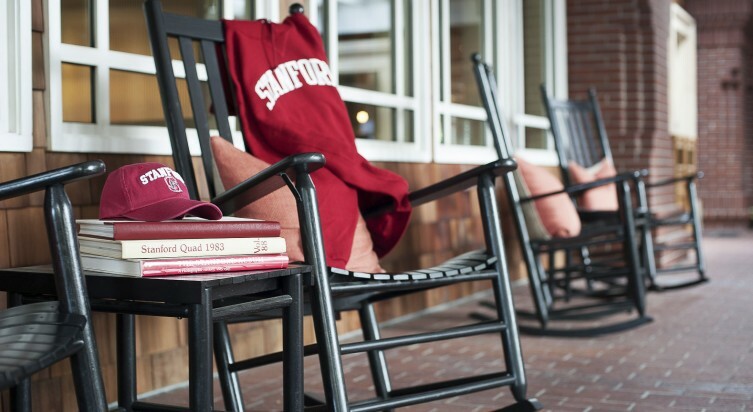 Steps from the hallowed grounds of Stanford University, innovation meets inspiration for a stay that lives up to its cutting-edge locale. 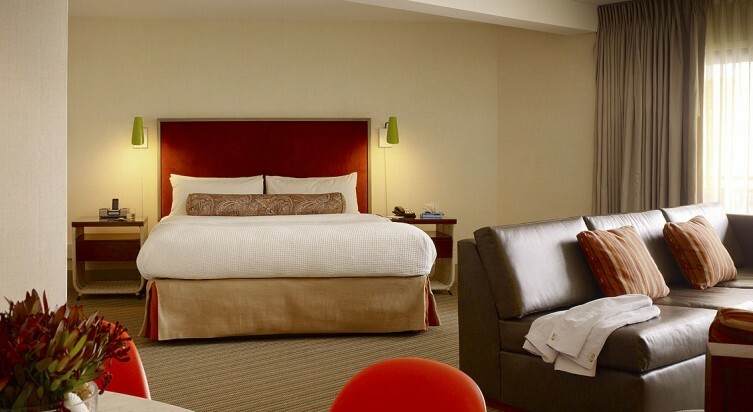 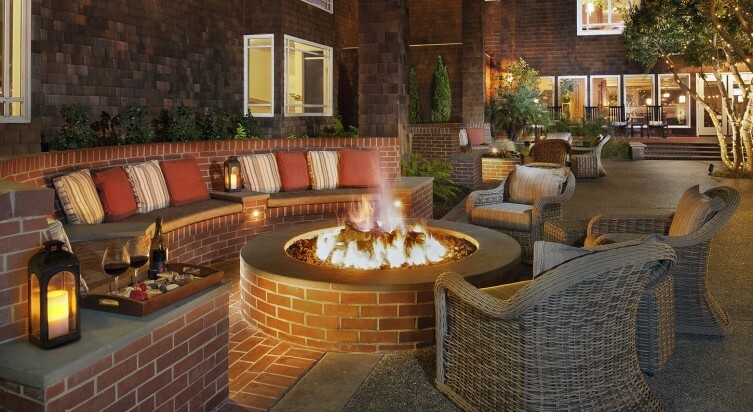 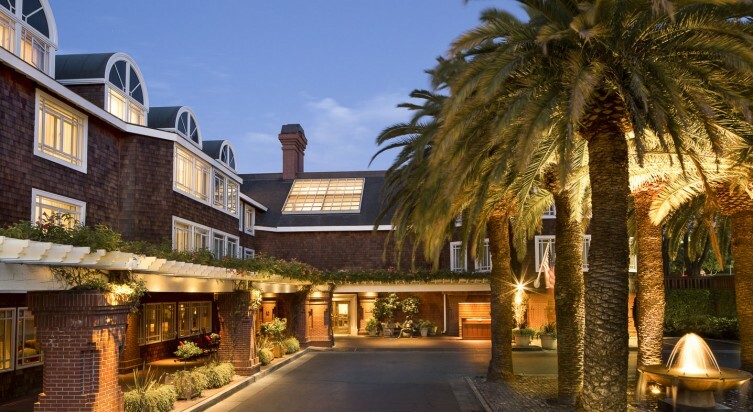 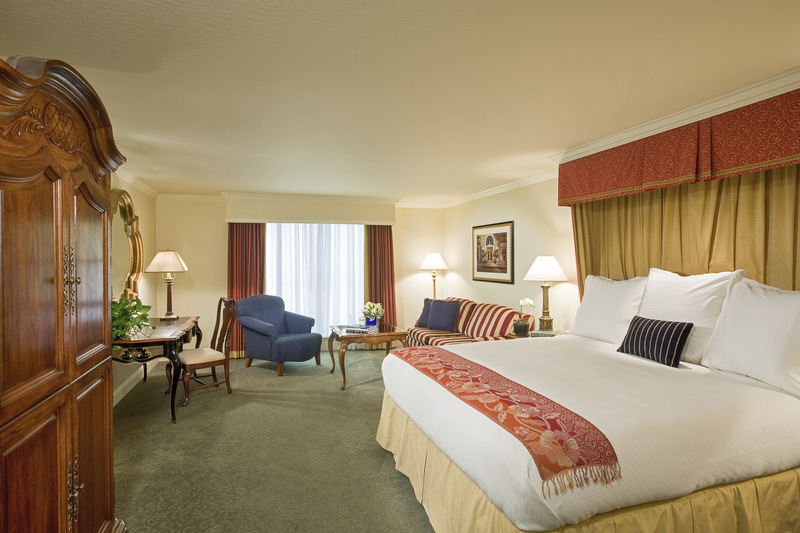 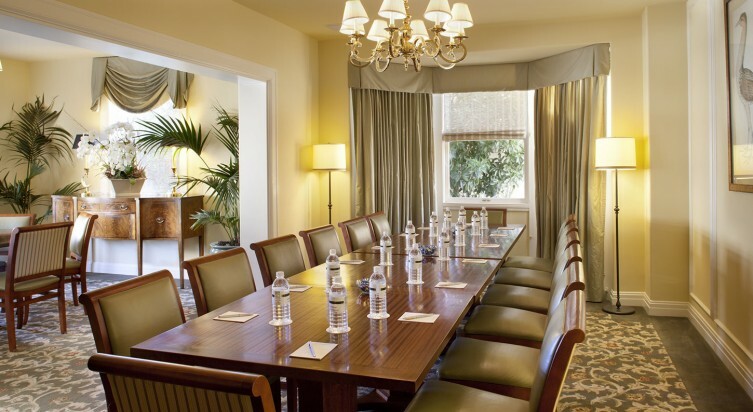 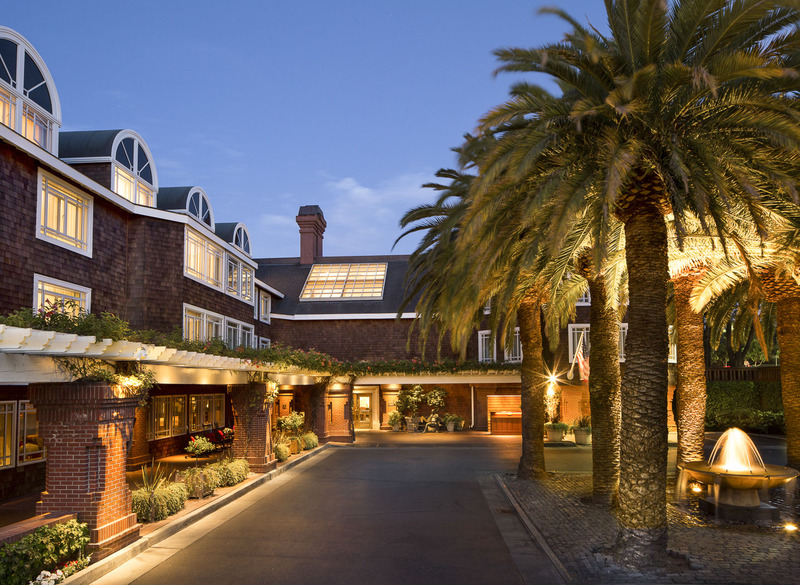 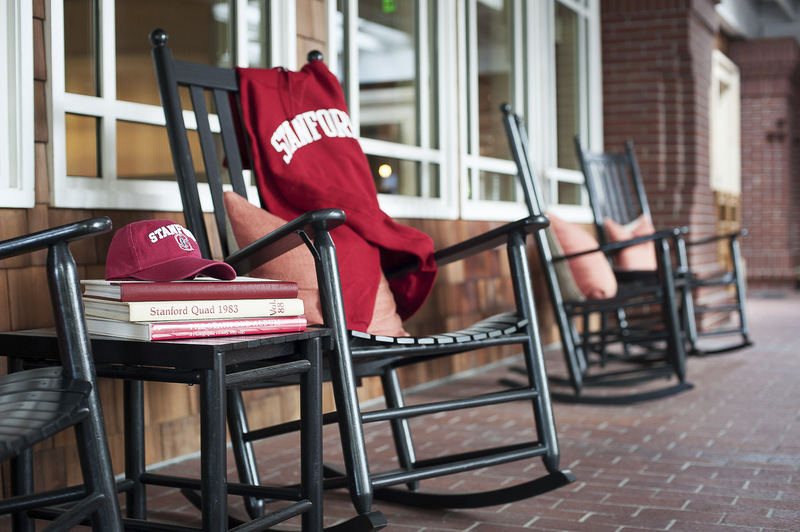 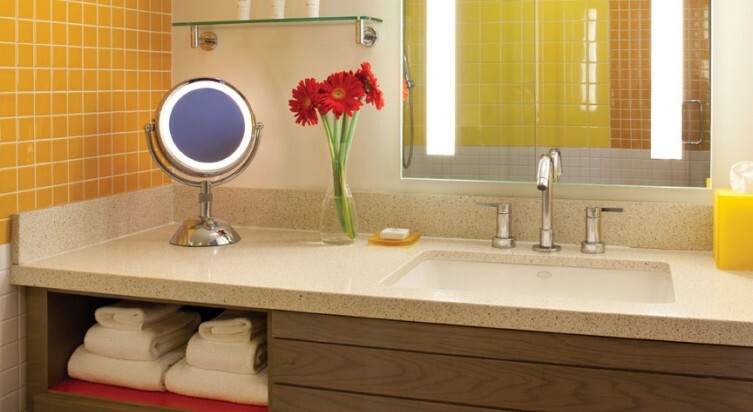 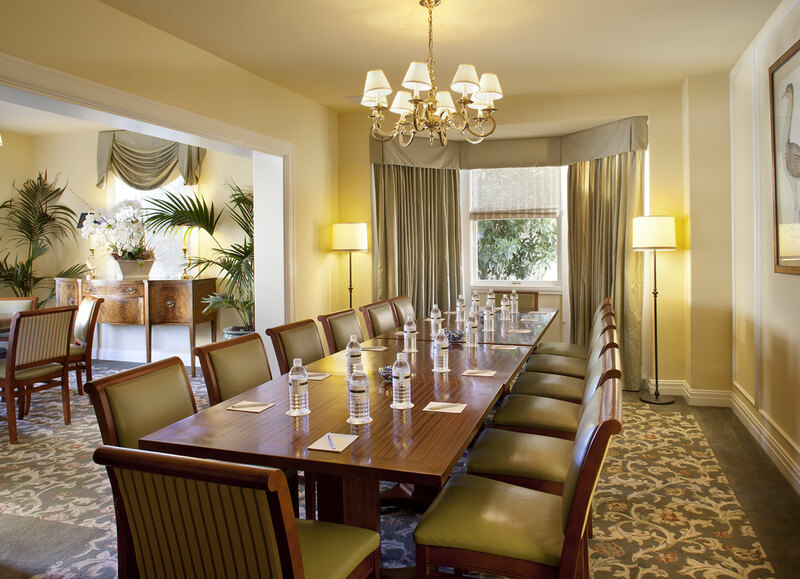 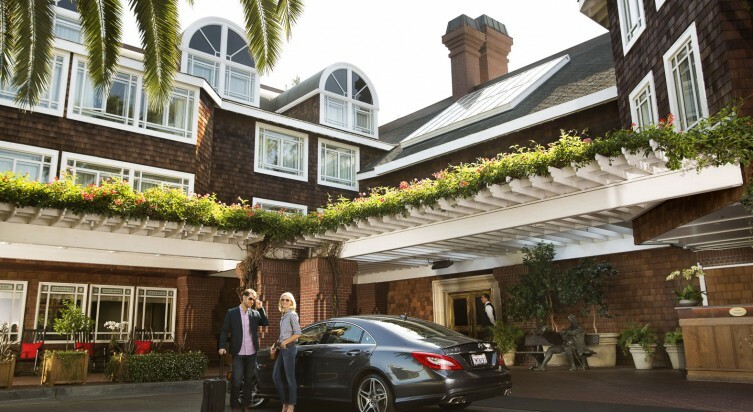 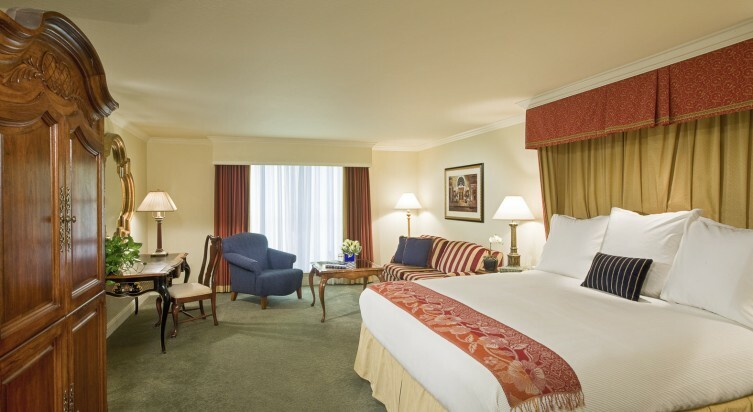 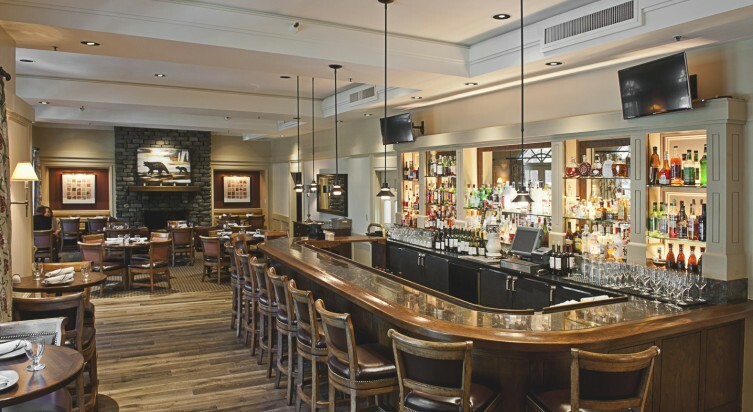 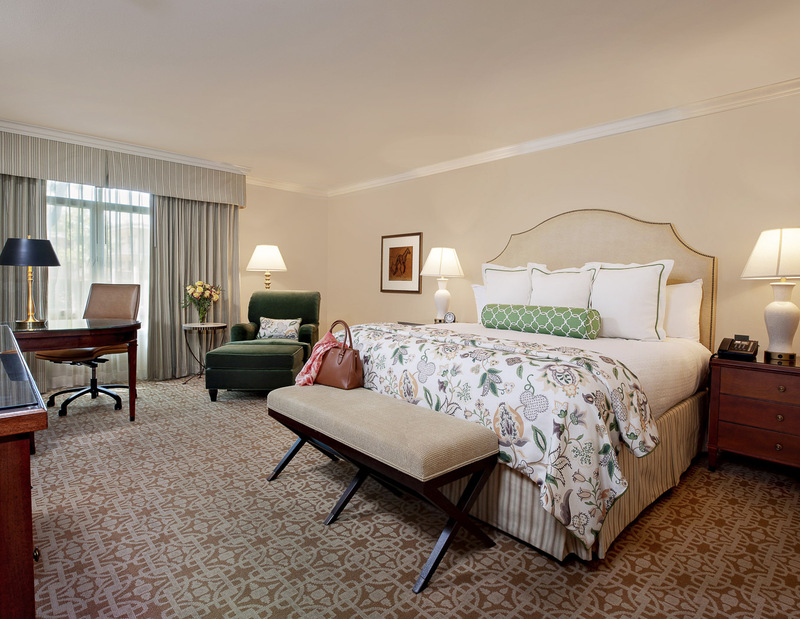 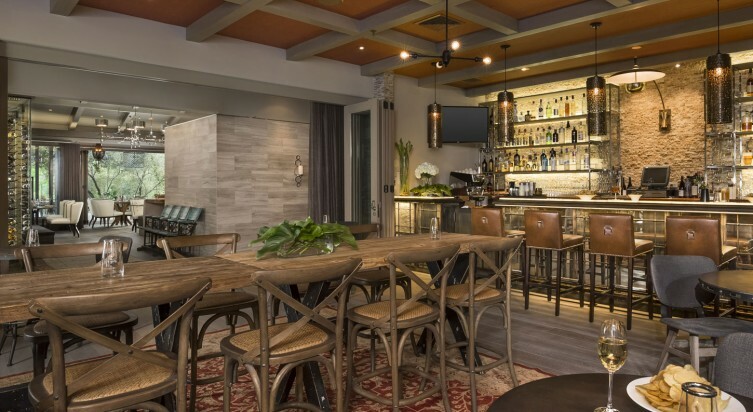 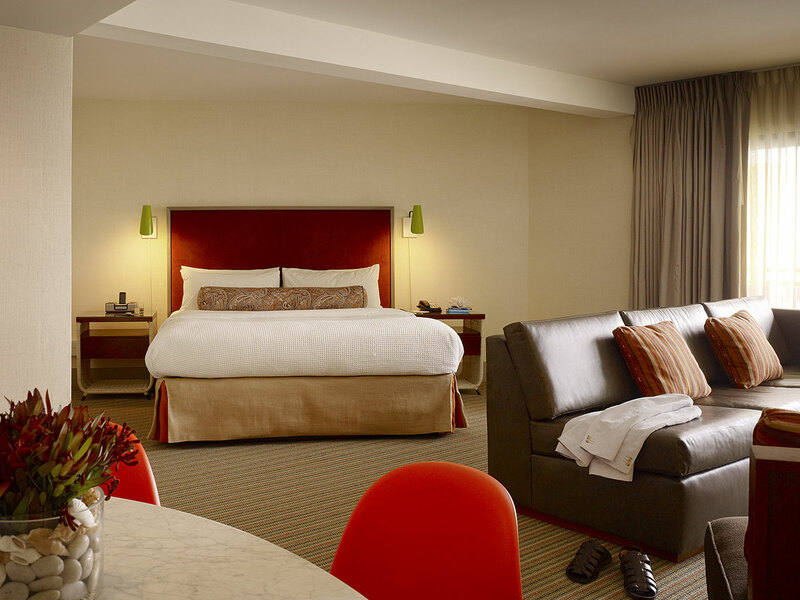 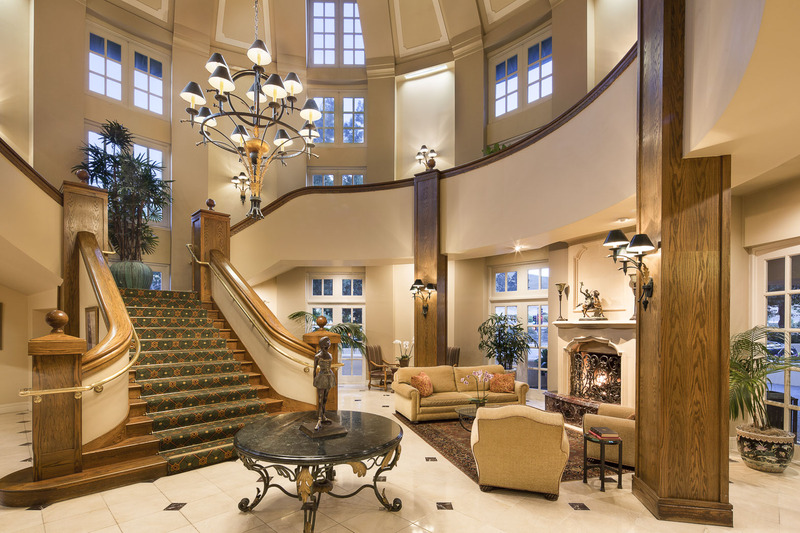 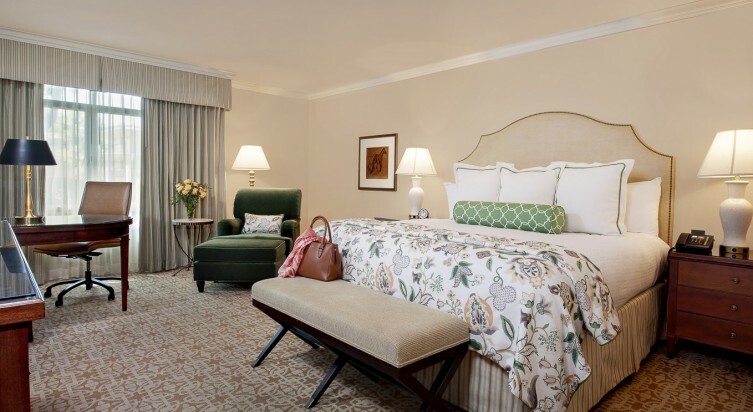 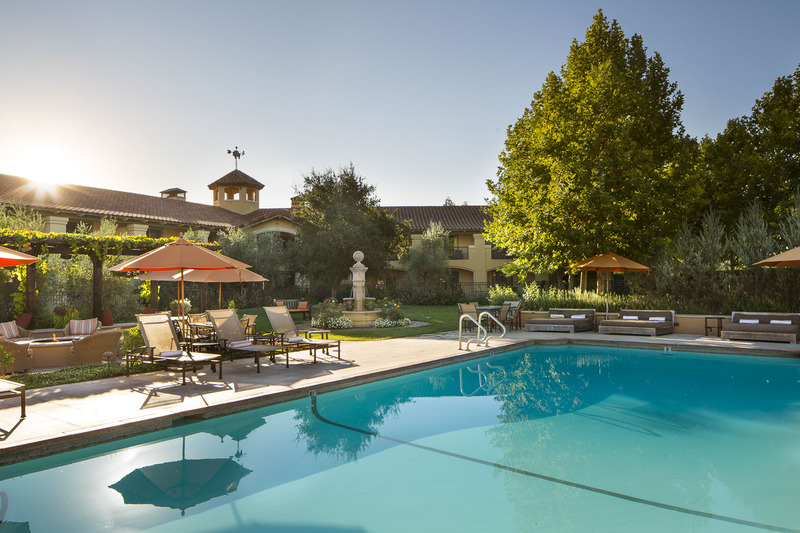 Classic and comfortable in every way, the Stanford Park Hotel surrounds you in residential warmth, while connecting you to the pulse of Silicon Valley. 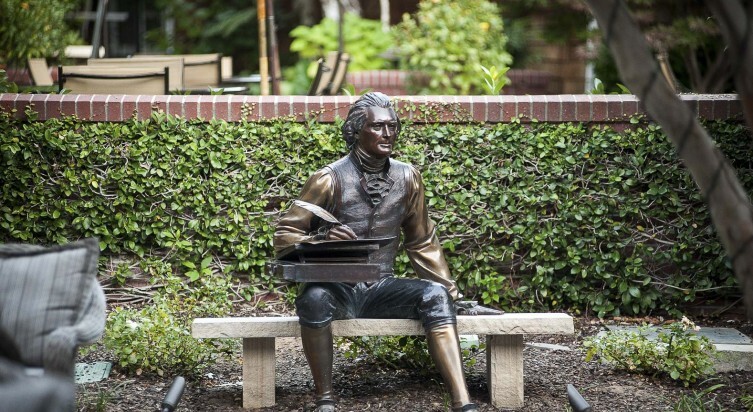 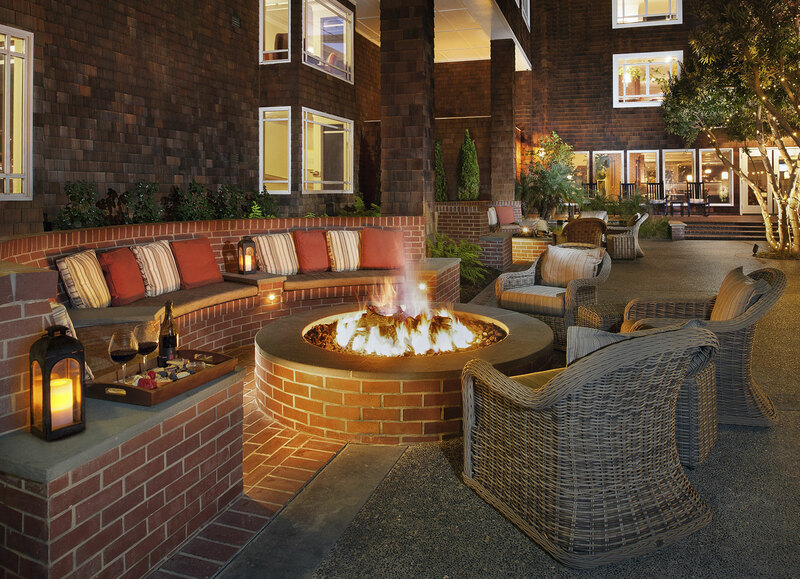 Unwind among lush gardens and courtyards. 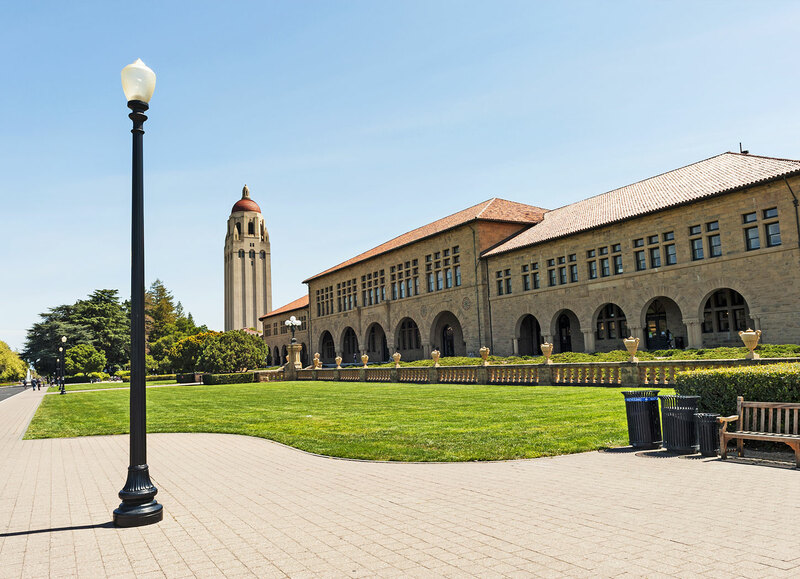 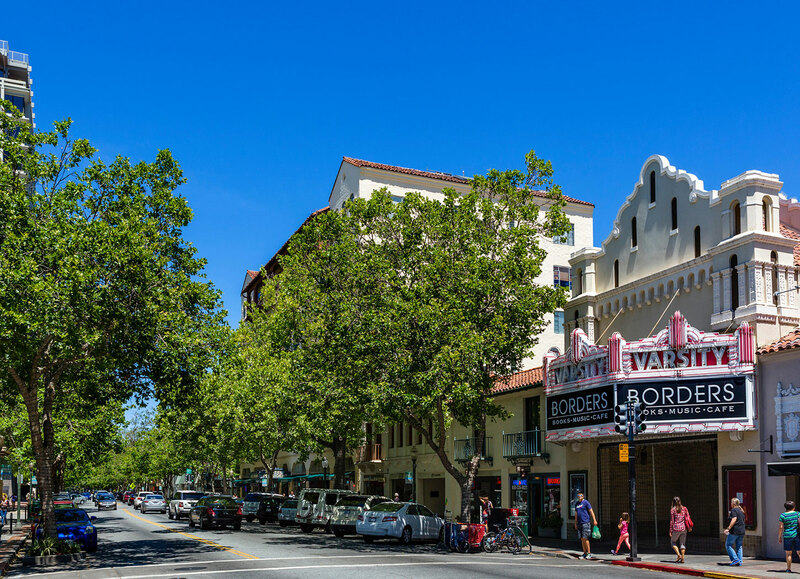 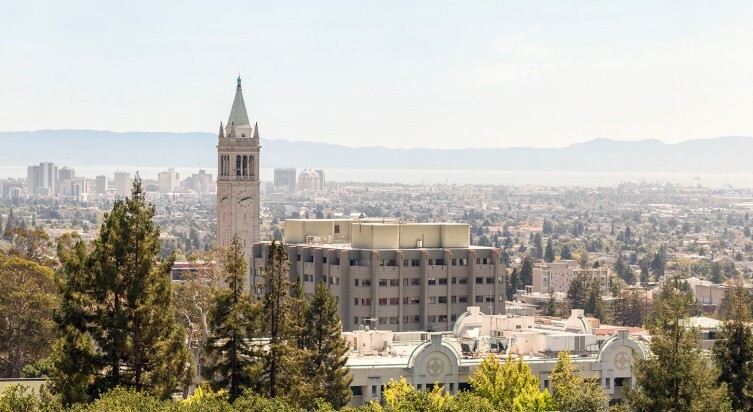 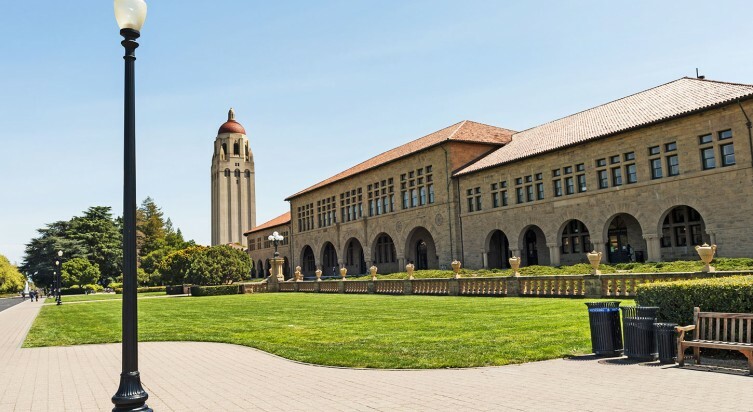 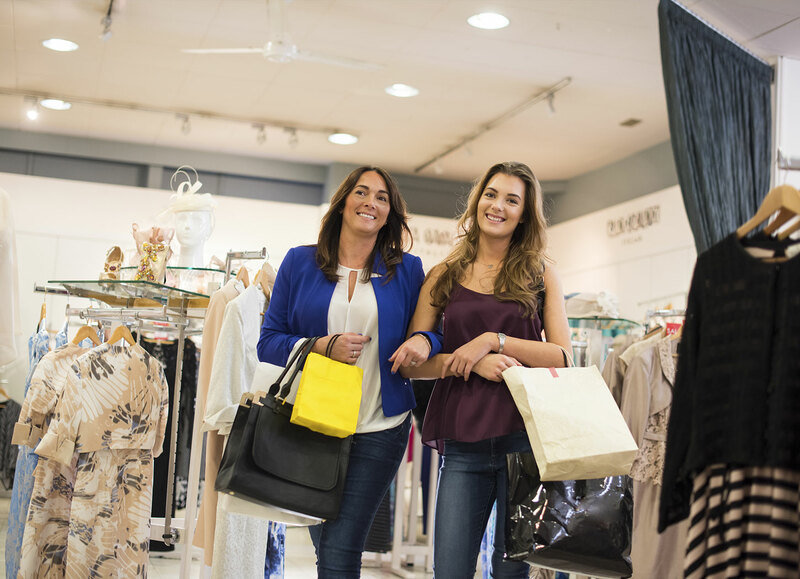 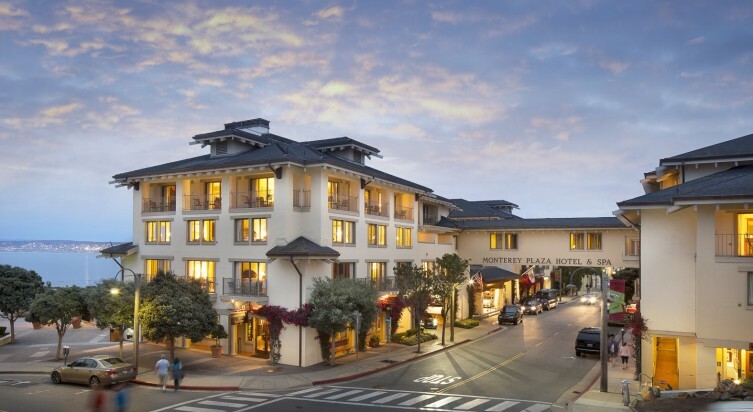 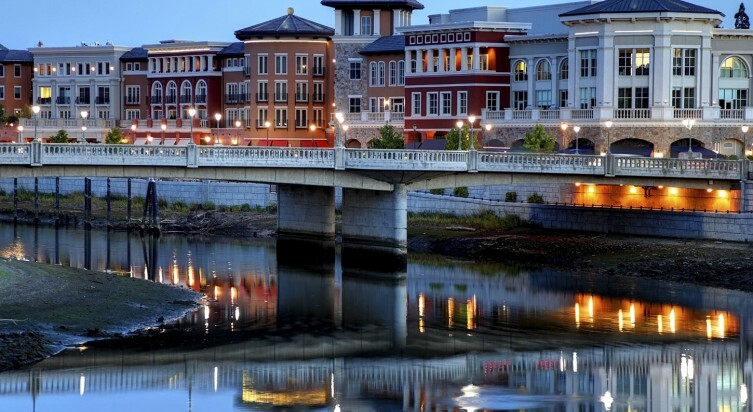 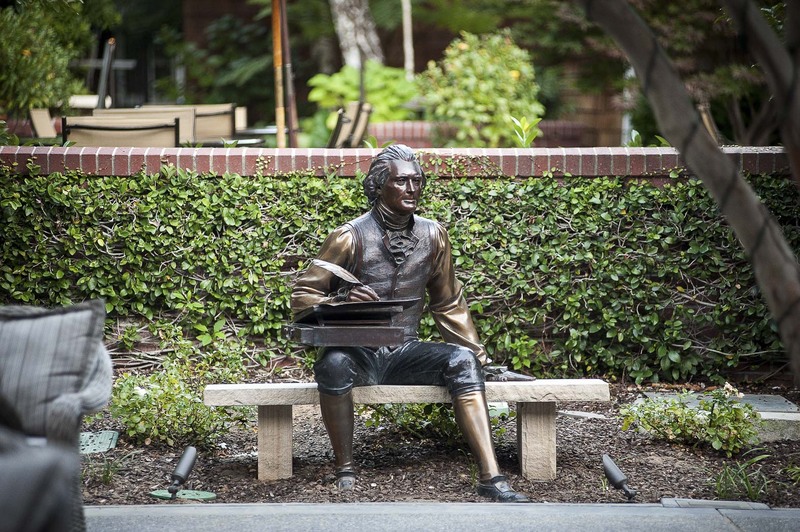 Explore the charming streets of Palo Alto or shop at the famed Stanford Shopping Center. 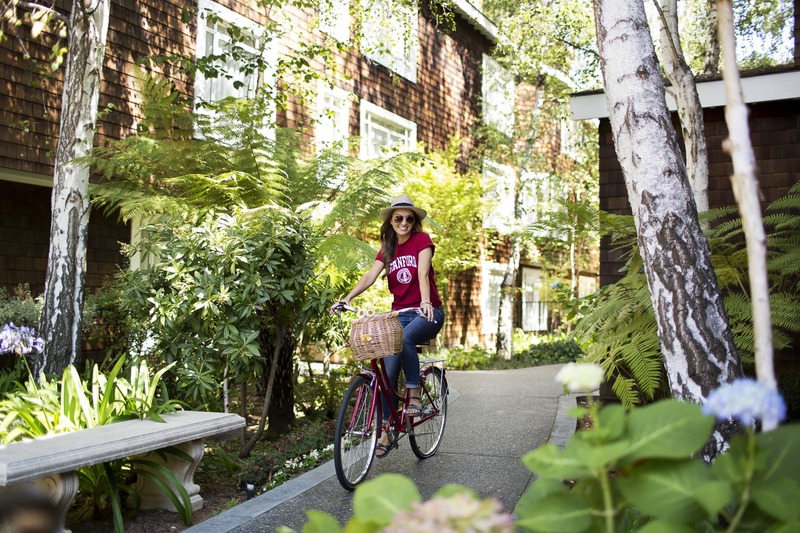 Borrow a bike and cruise the Stanford campus. 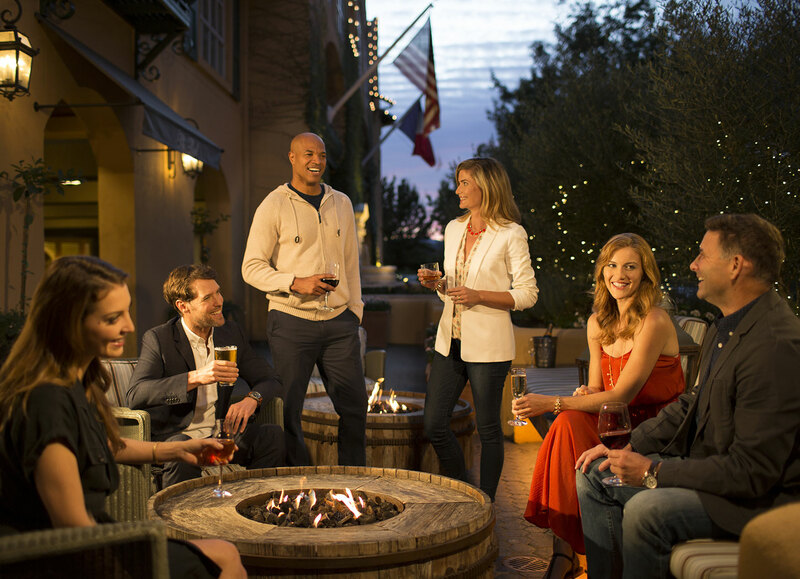 Socialize with scholars and innovators in our firelit living room. 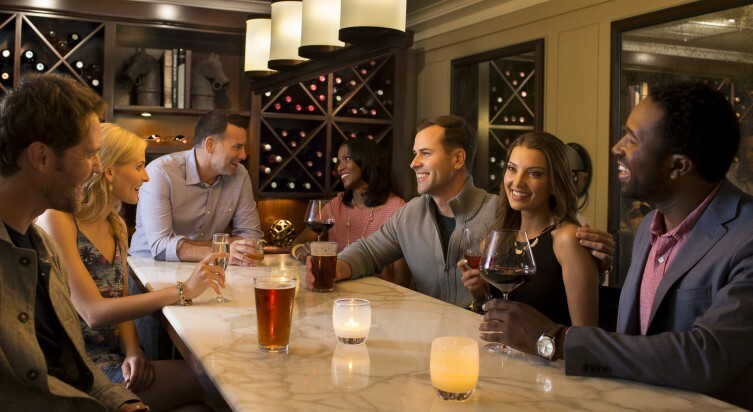 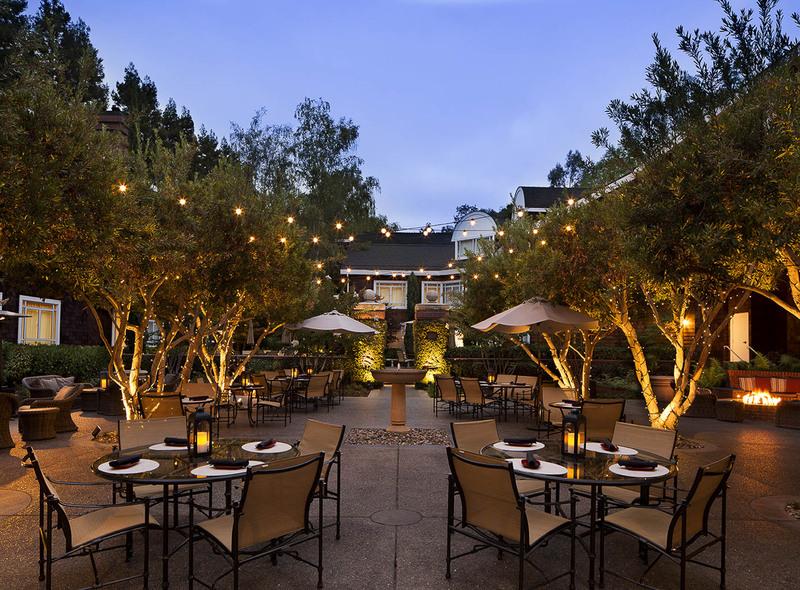 Or grab a seat at our neighborhood grill, where Silicon Valley luminaries gather for power lunches and late-night brainstorming sessions. 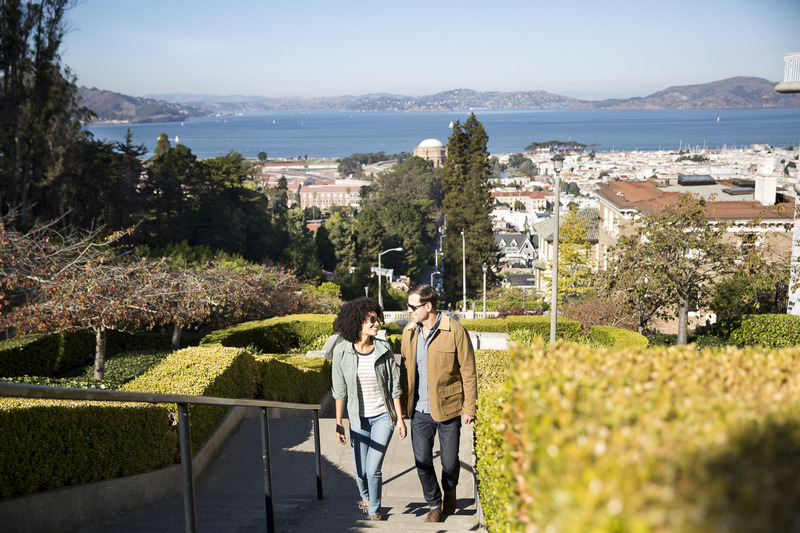 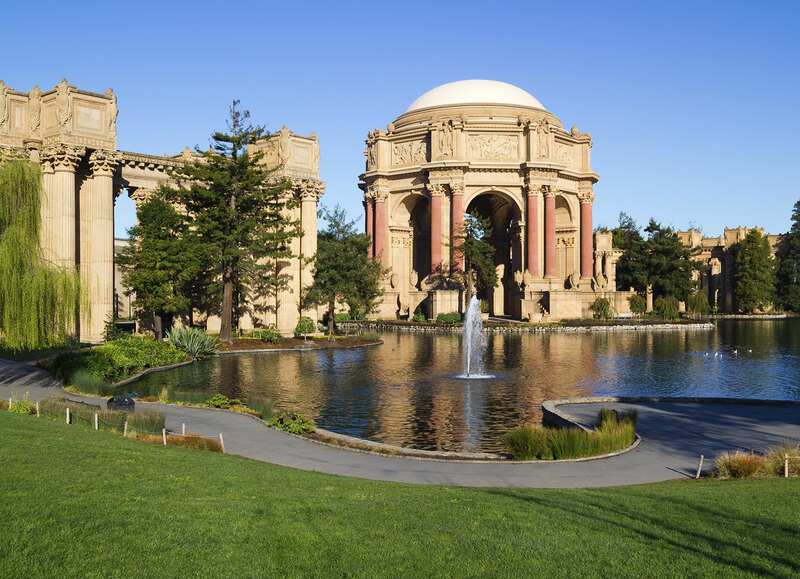 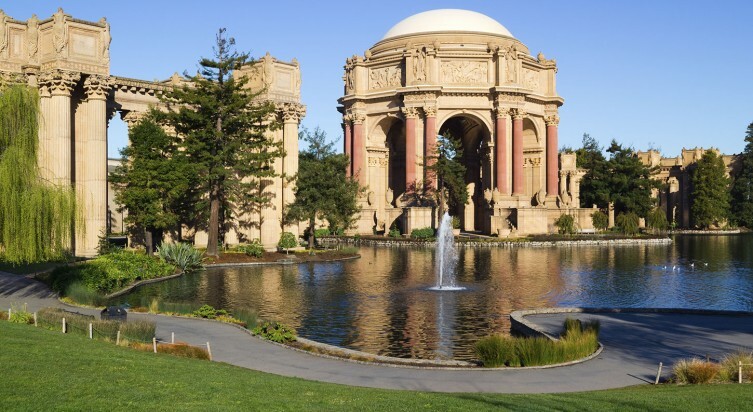 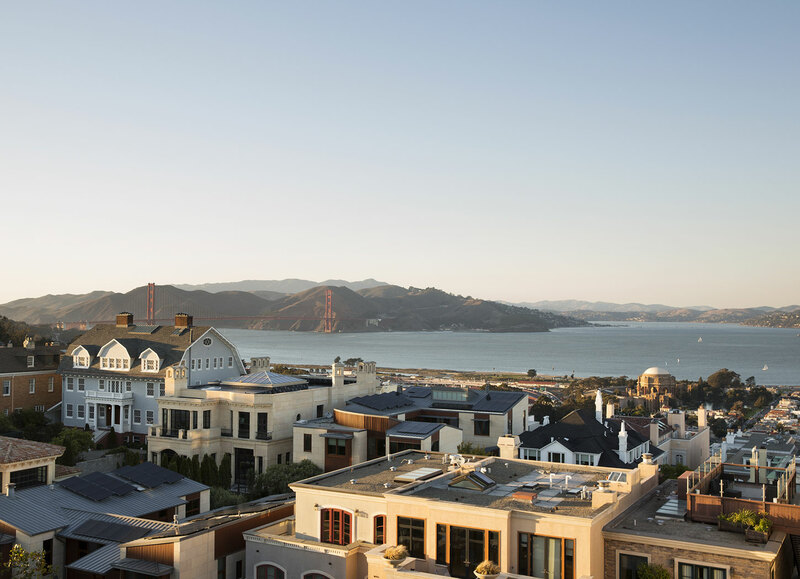 Welcome to the charm of a historic haven many consider their home away from home in the City by the Bay. 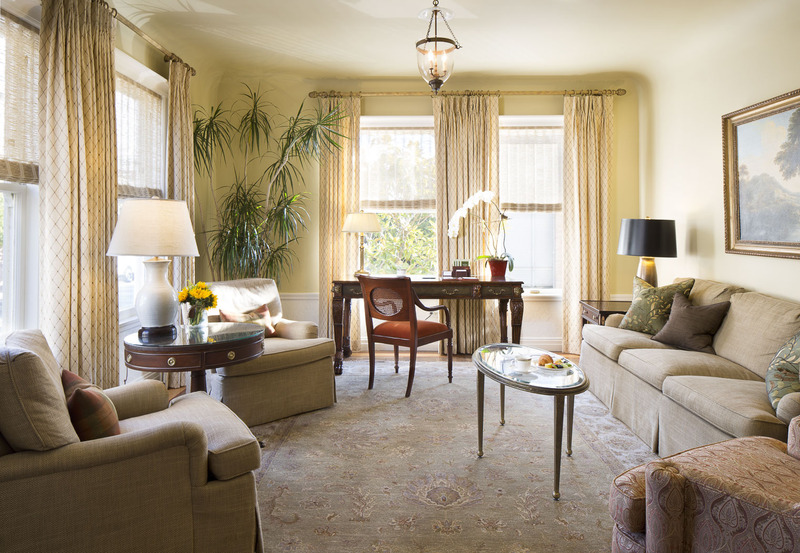 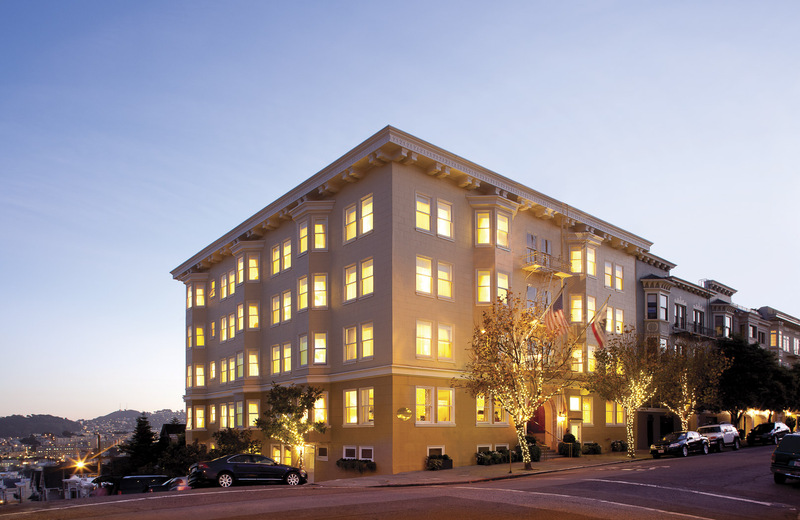 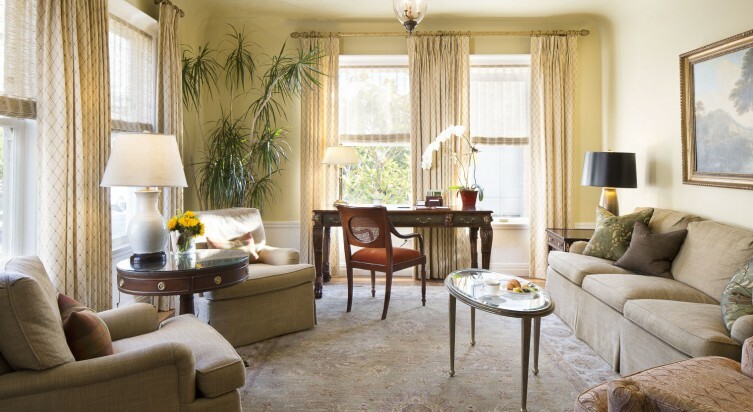 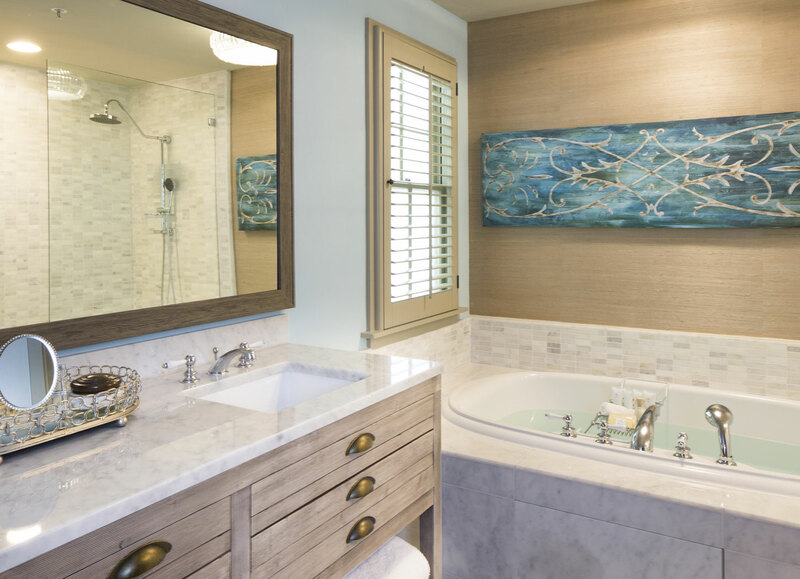 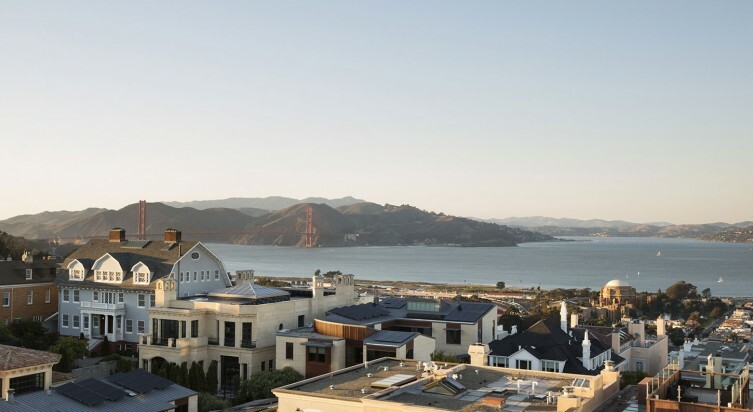 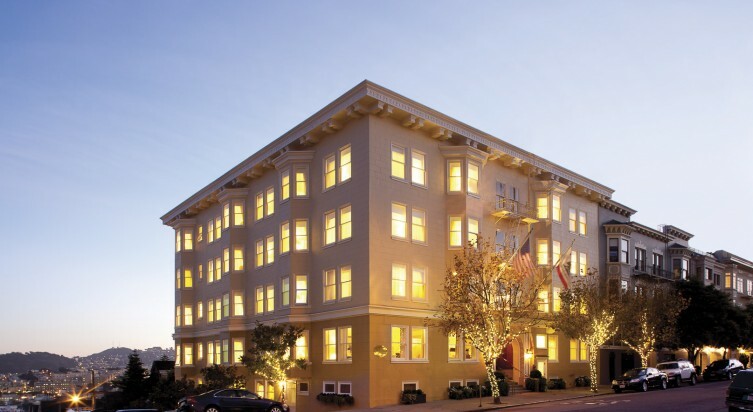 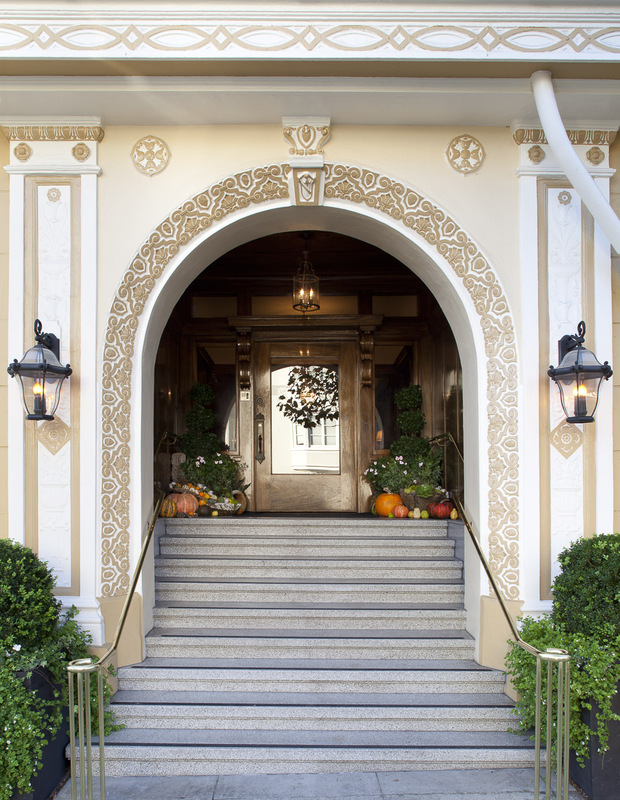 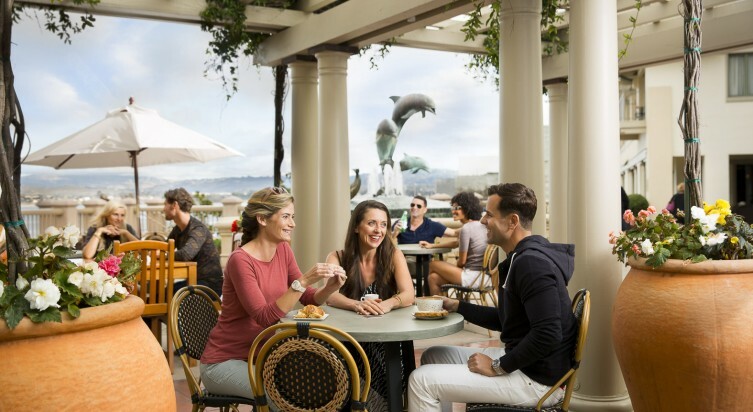 Perched atop San Francisco’s finest neighborhood – just a stone’s throw from the legendary estates of dignitaries, consulates, politicos and celebrities – the Hotel Drisco resides in prestigious Pacific Heights. 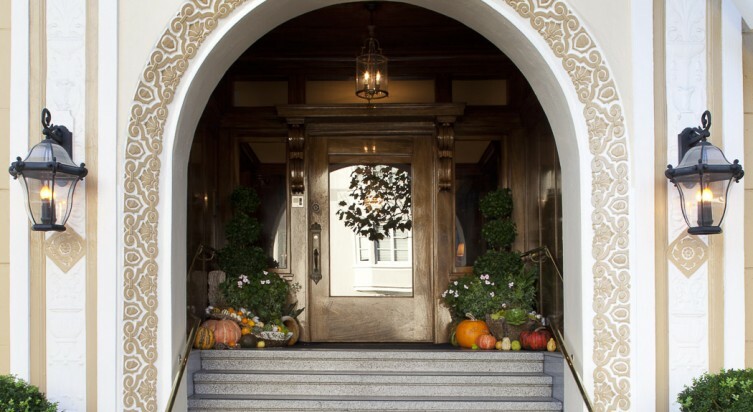 Step into our fabled 1903 Edwardian hotel for traditional elegance with a neighborly vibe. 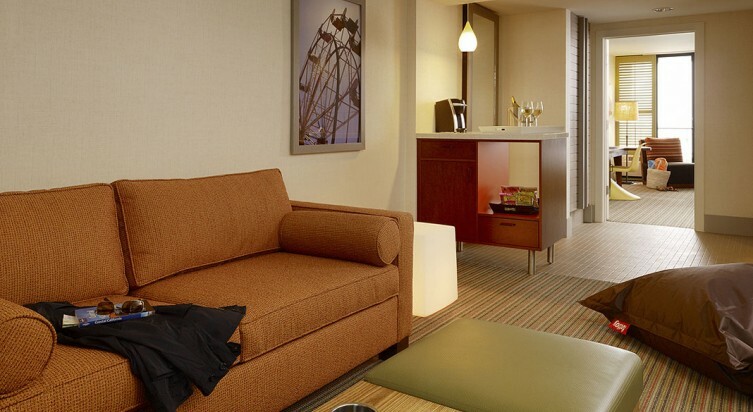 Take in a sweeping view of the City. 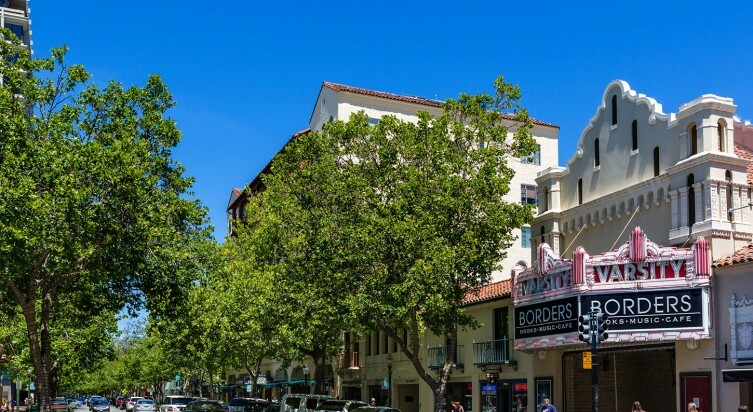 Stroll Fillmore Street’s eclectic restaurants and boutiques. 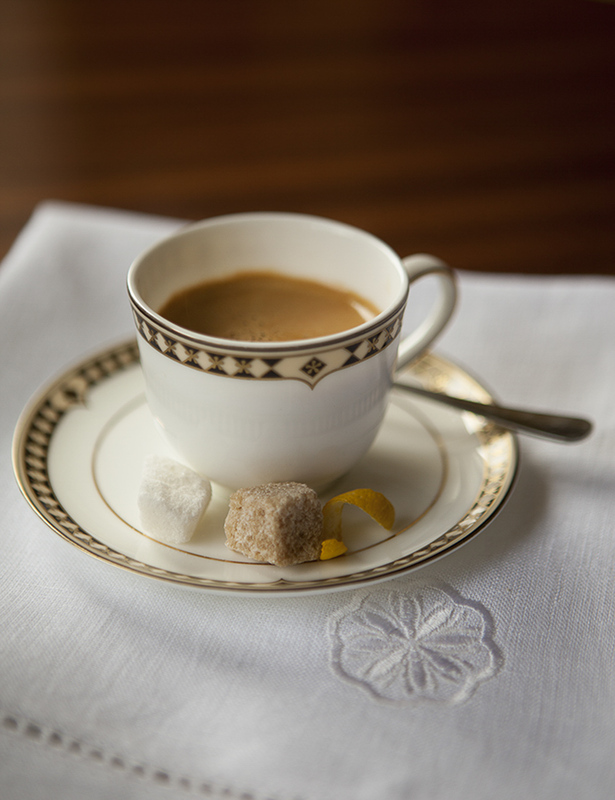 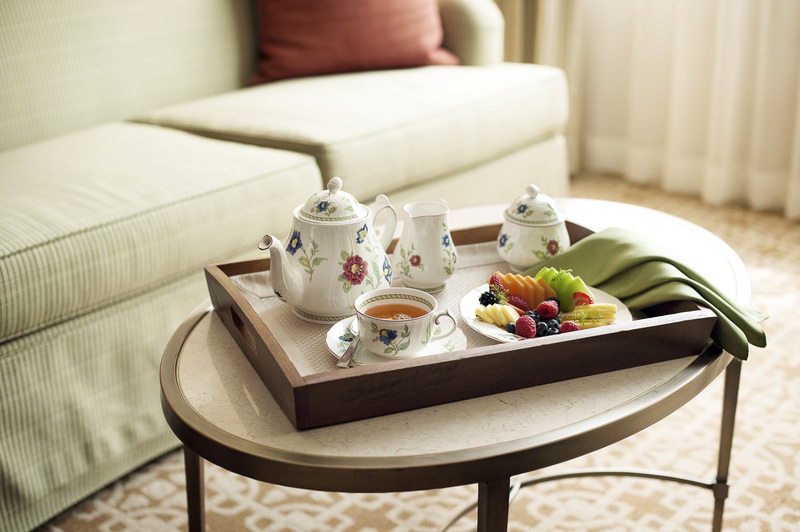 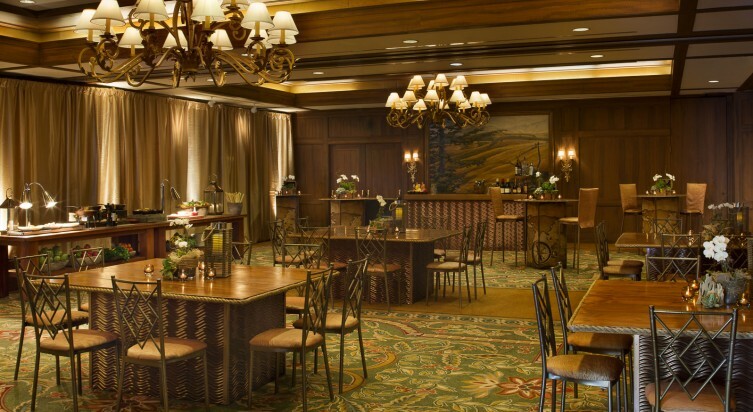 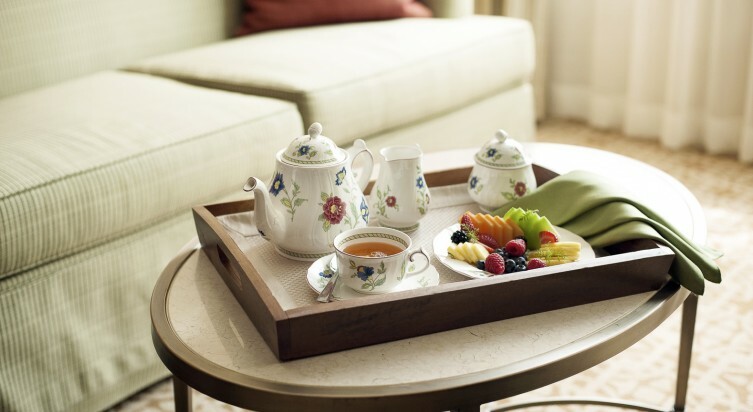 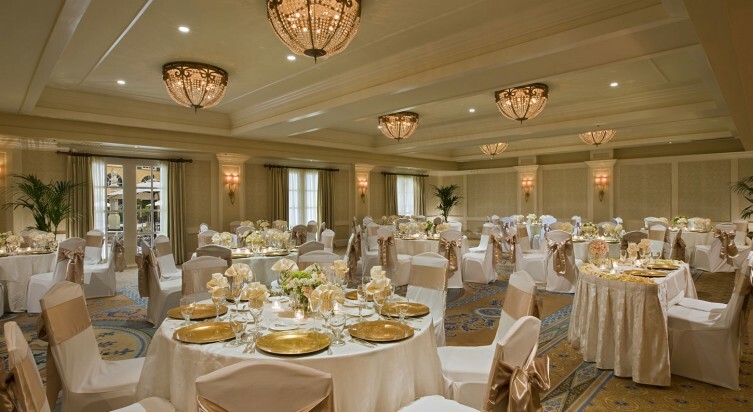 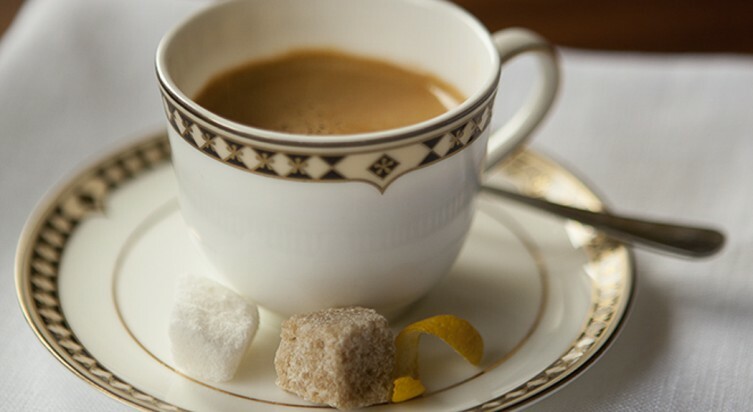 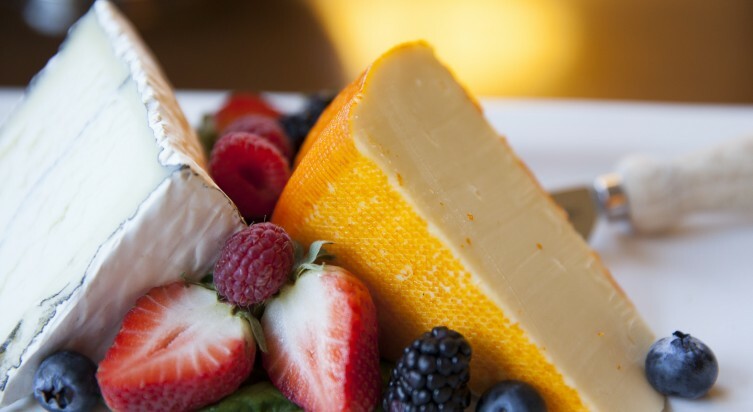 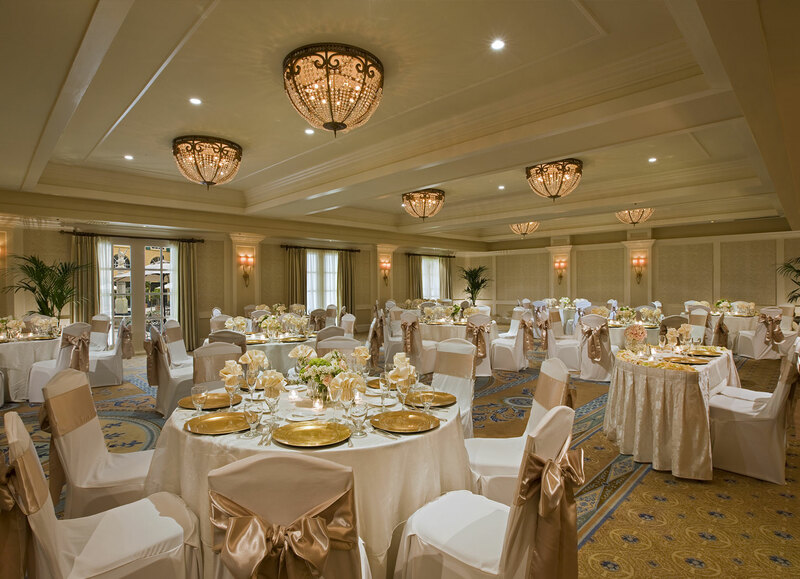 Enjoy our complimentary gourmet continental breakfast and evening wine reception. 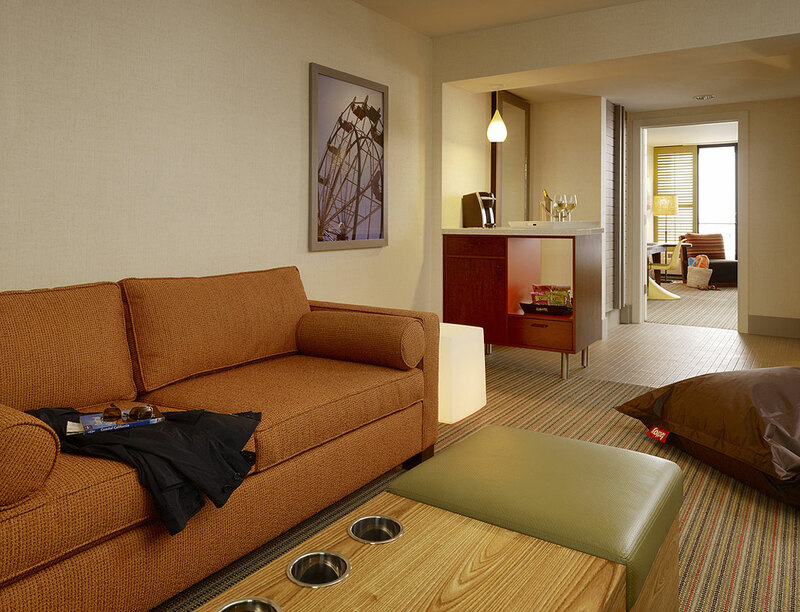 Explore one of the world’s greatest cities from a residential hideaway where our hosts treat you like family. 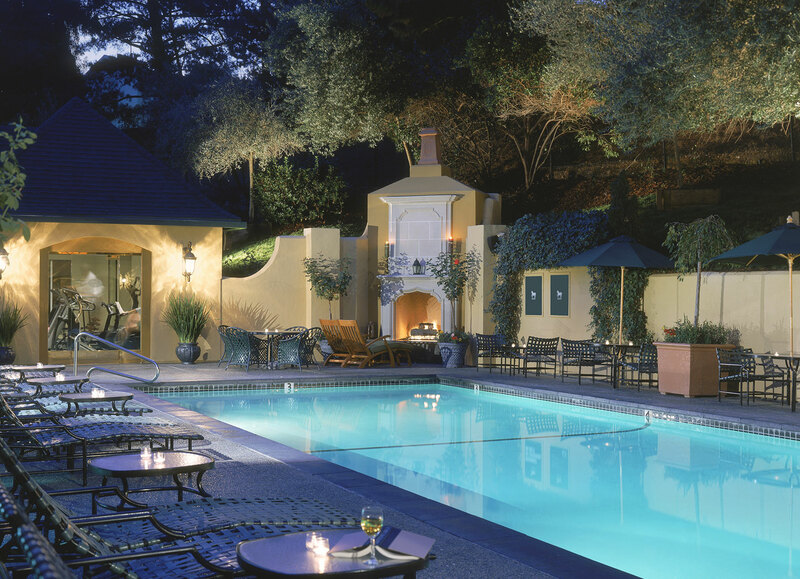 Imagine the storied charms of a French chateau with the casual air of a California wellness getaway. 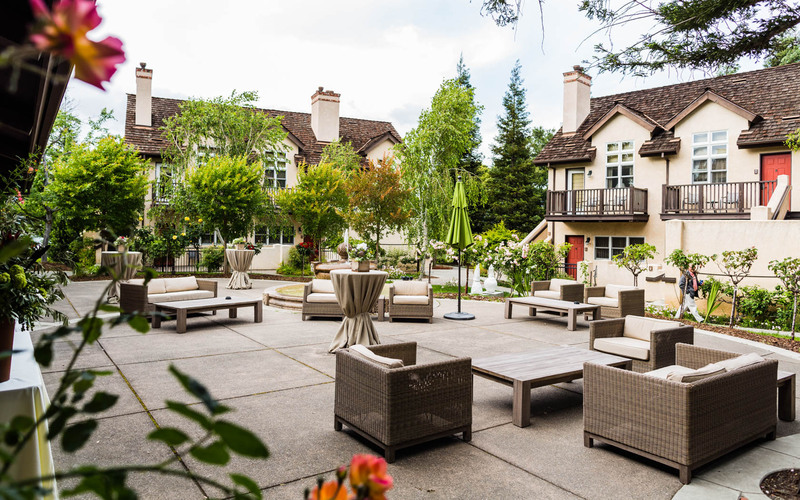 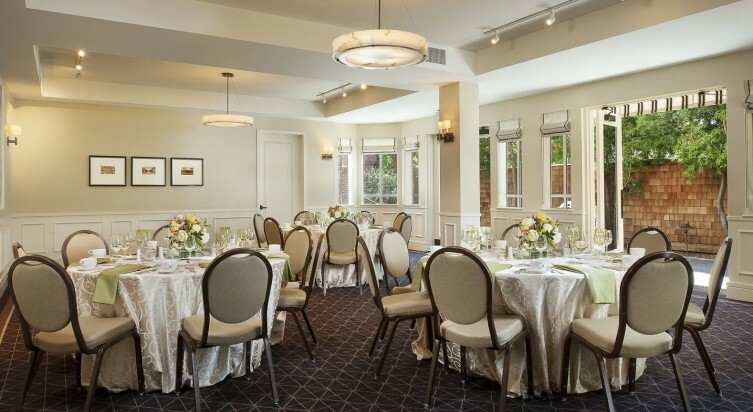 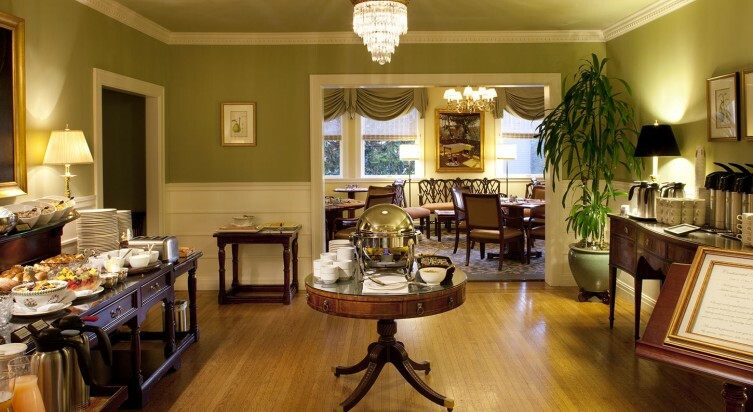 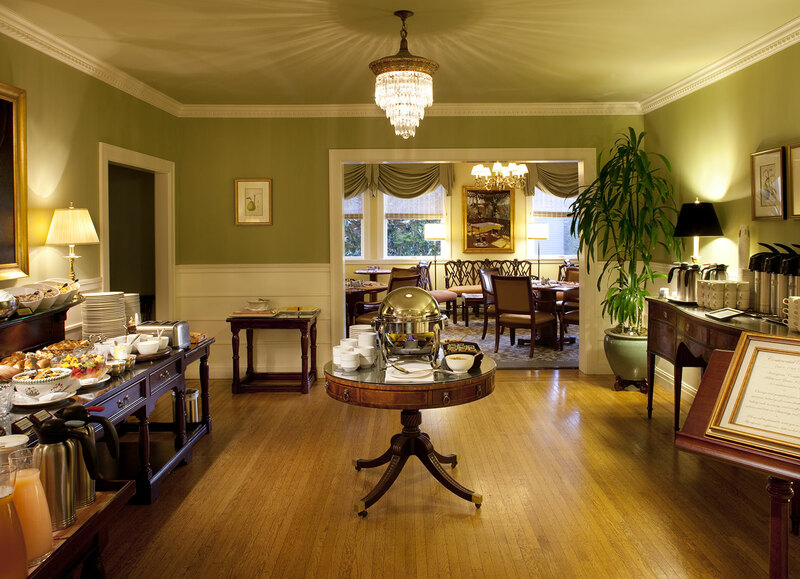 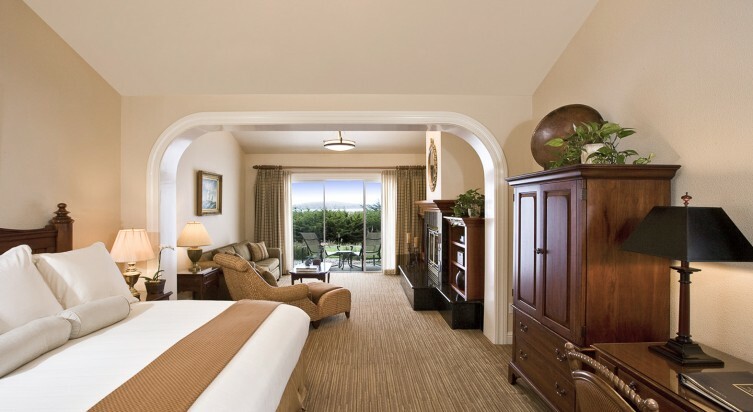 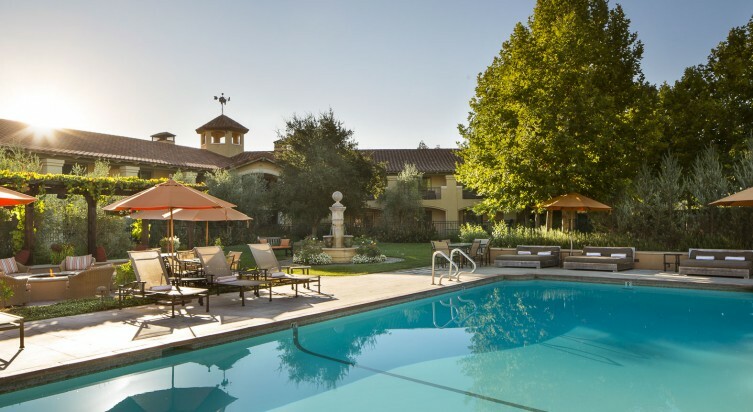 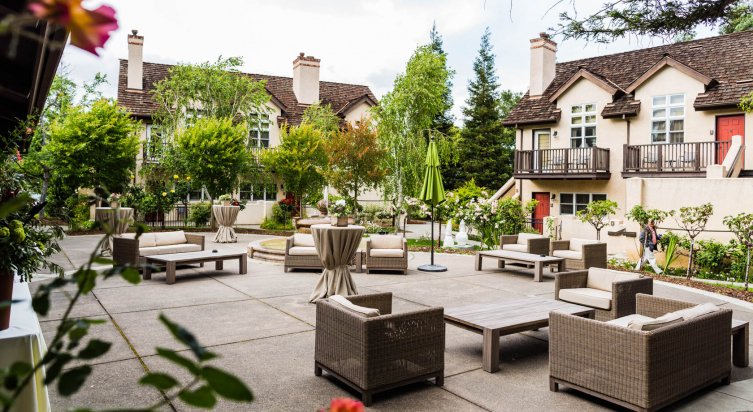 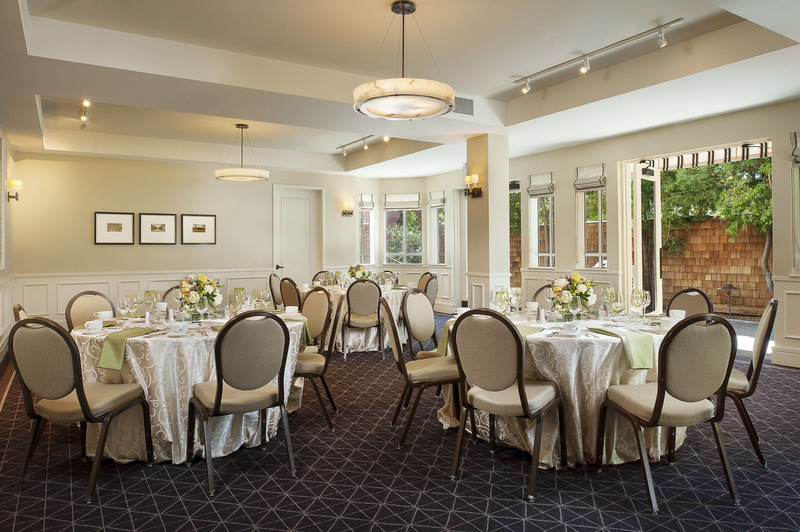 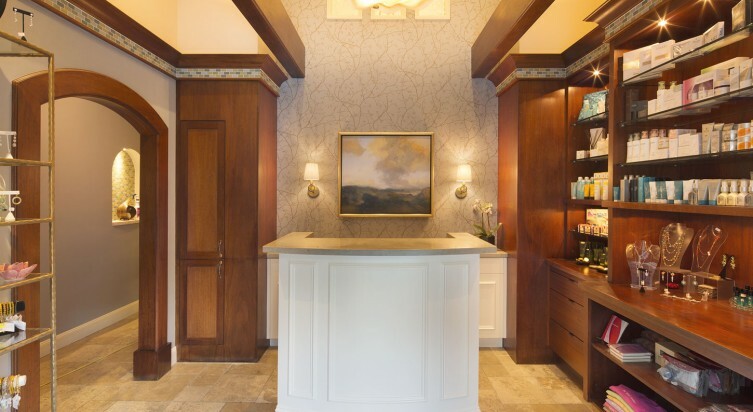 Nestled near Walnut Creek and the East Bay’s upscale neighborhoods, the Lafayette Park Hotel & Spa blends the sensibilities of European hospitality with the splendor of the rolling California countryside. 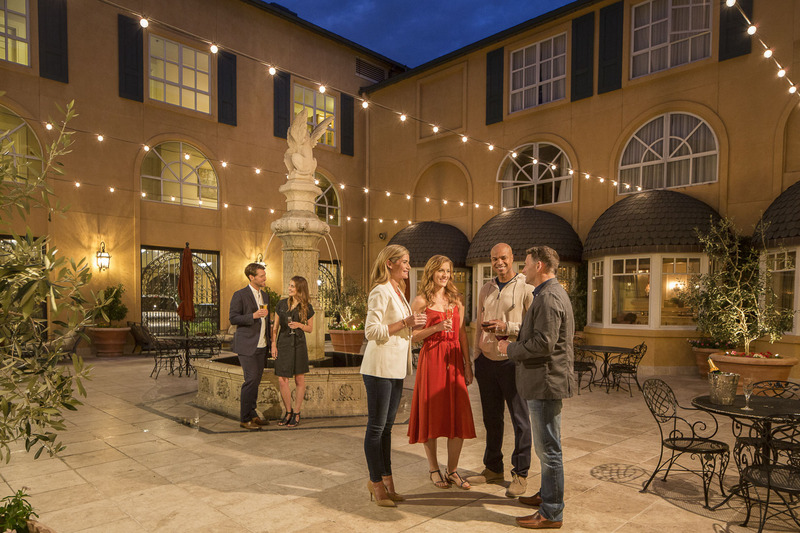 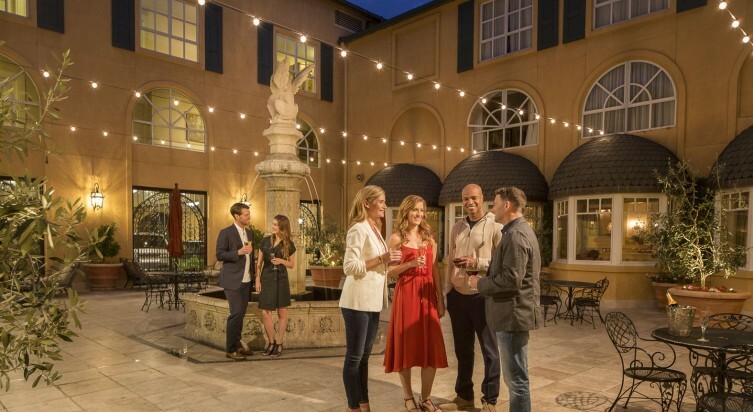 French chateau architecture and charming courtyards create the backdrop for unforgettable moments among our award-winning Park Bistro & Bar, our relaxing poolside spa and our numerous outdoor fireplaces. 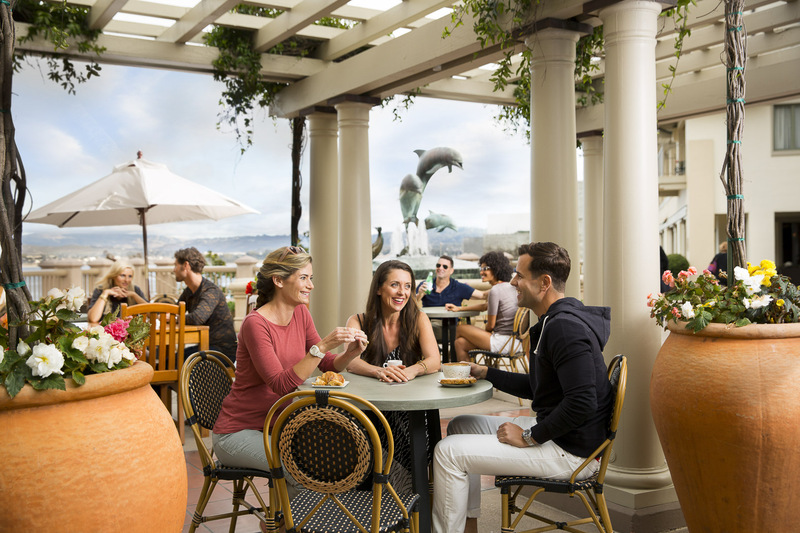 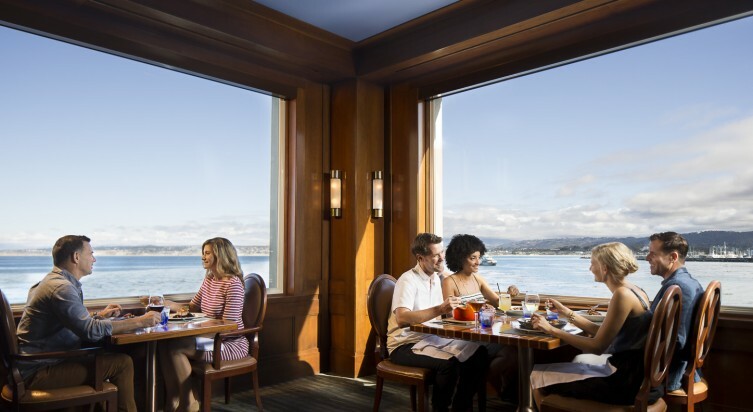 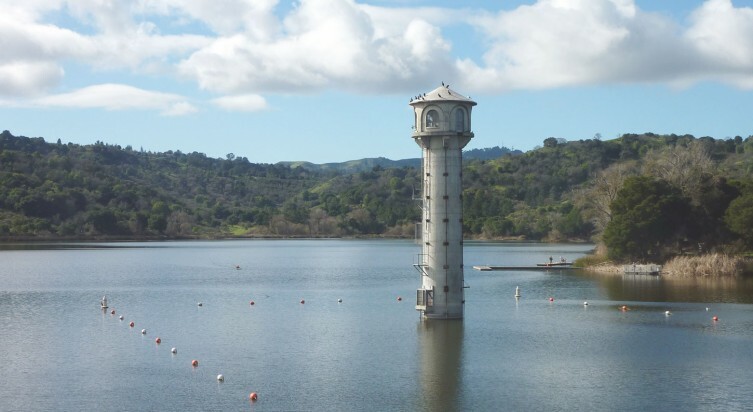 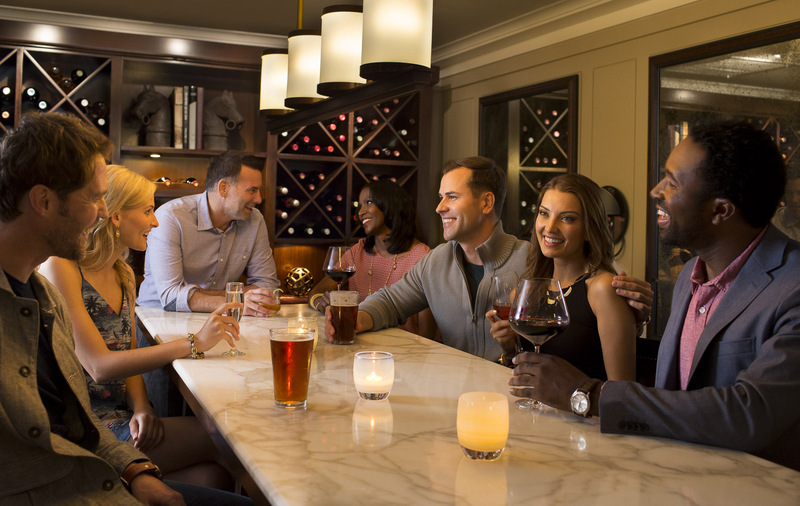 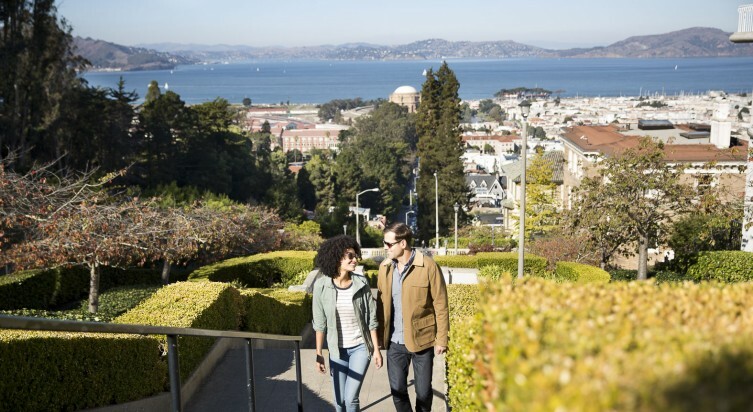 Join us for a carefully-tailored experience into the vibrant spirit of the East Bay’s thriving art, shopping and culinary scene. 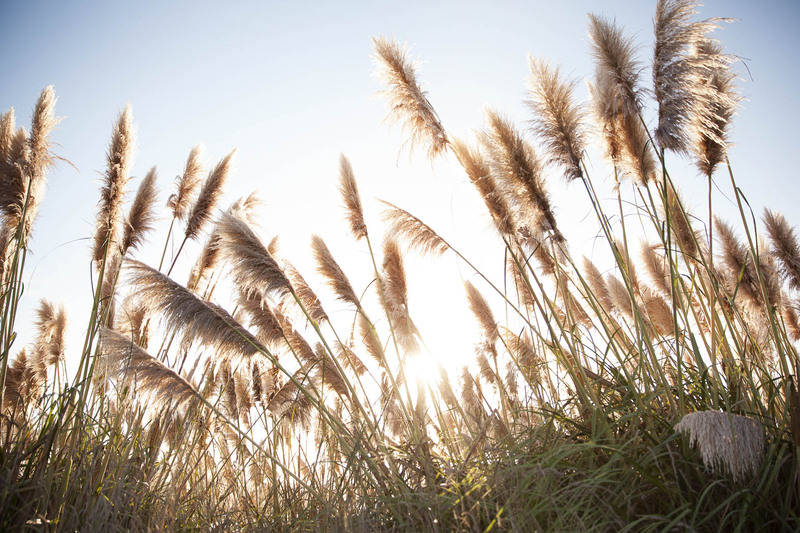 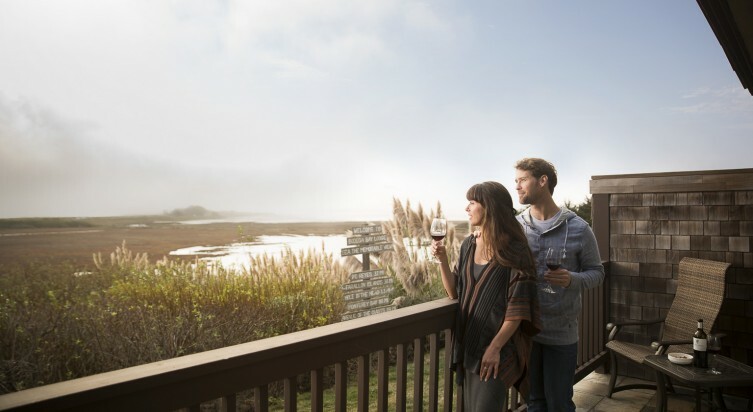 With its rugged coastline and rolling vineyards, the Sonoma Coast has its roots firmly planted in the soil. 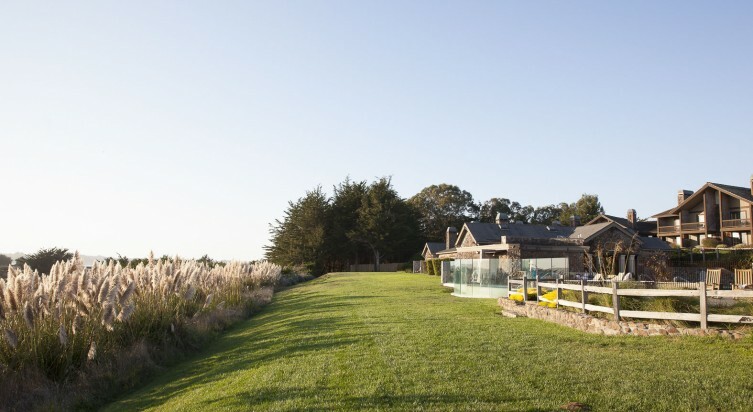 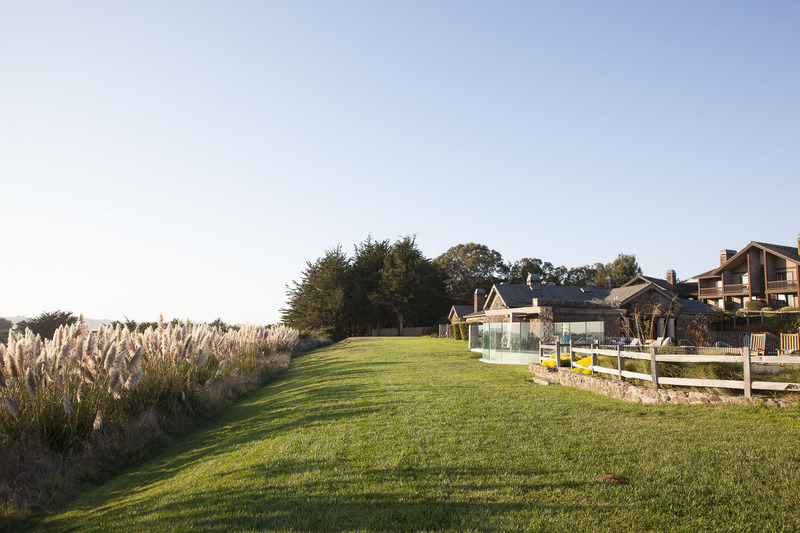 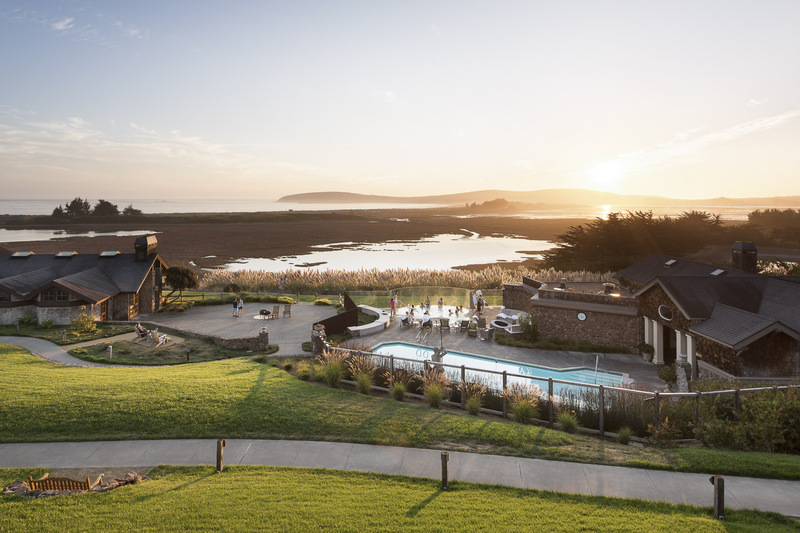 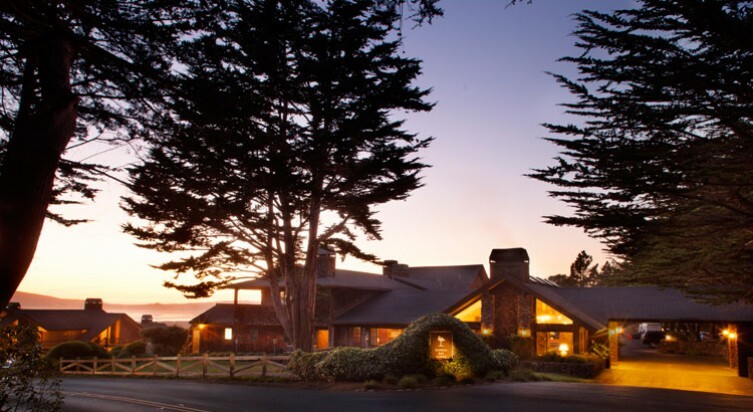 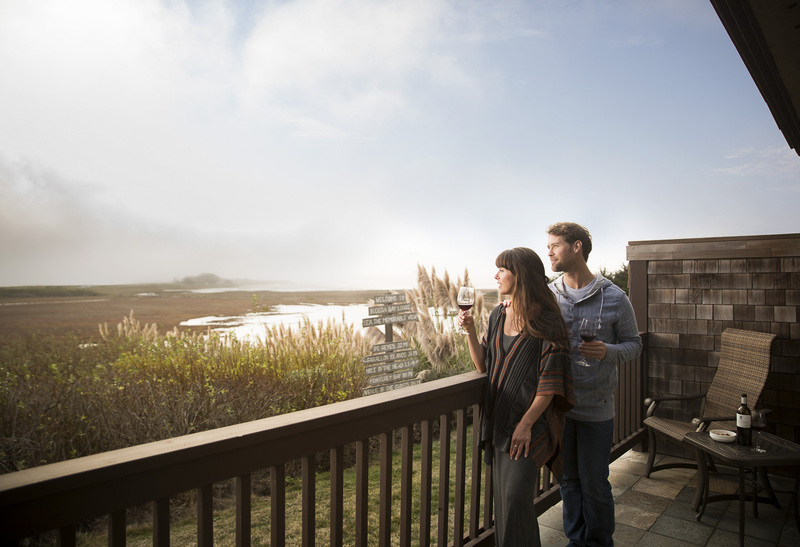 The Bodega Bay Lodge, poised atop a tranquil bluff, reflects the wild beauty of this romantic region. 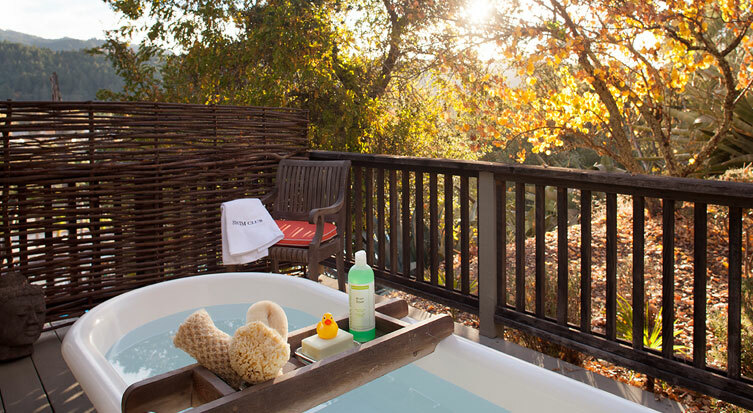 A stay at our soulful retreat is a taste of life in tune with nature. 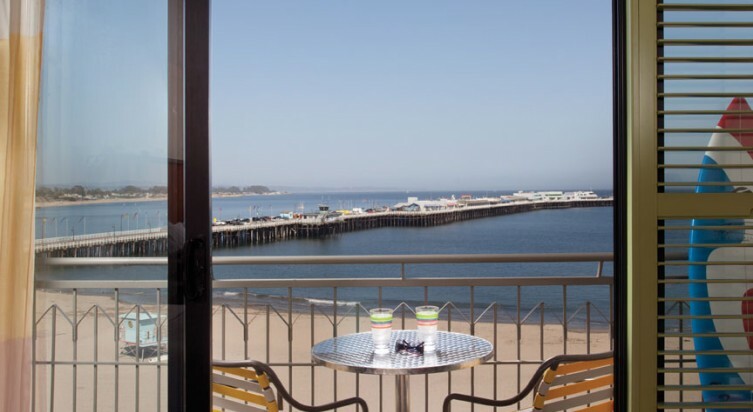 Watch the fishermen ply the bay. 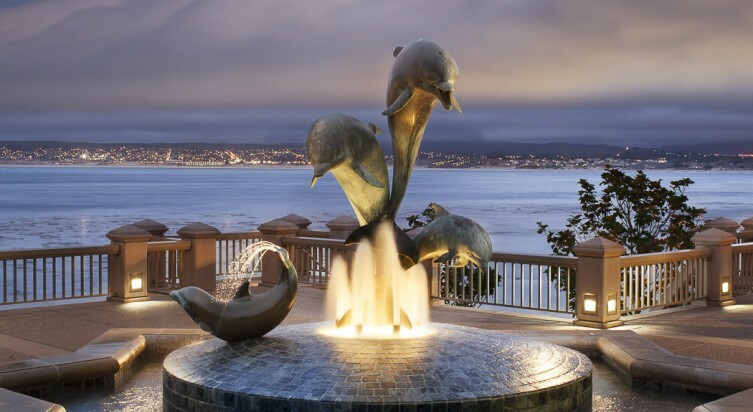 Spot migrating whales swim down the coast. 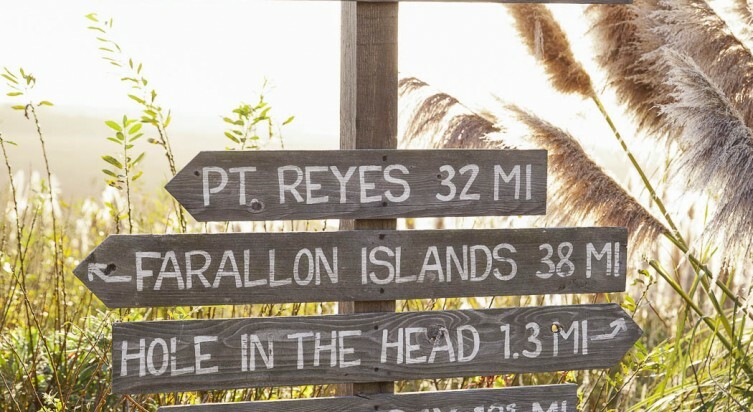 Scout for rare birds in a location prized by the National Audubon Society... and Alfred Hitchcock. 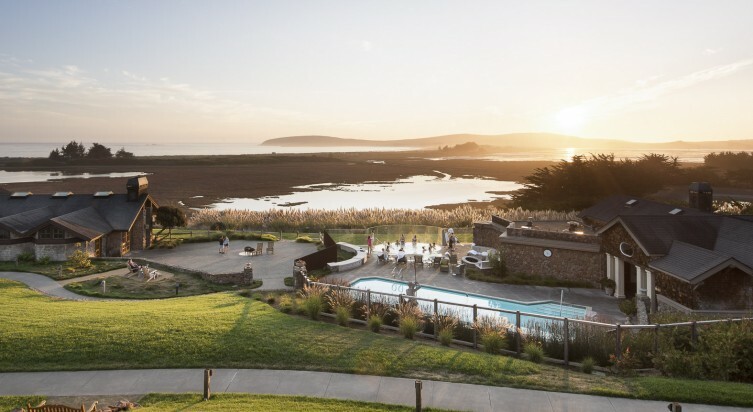 Enjoy horseback riding, kite flying, beach combing, wine tasting and farm-to-table eating like a locavore. 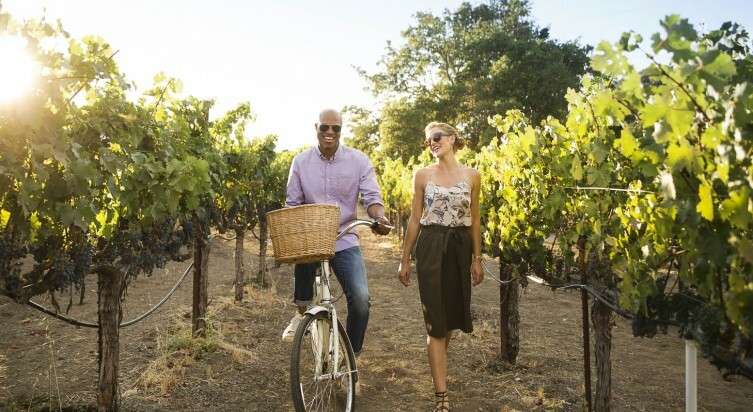 Escape life’s hectic pace and reconnect with it’s essential pleasures. 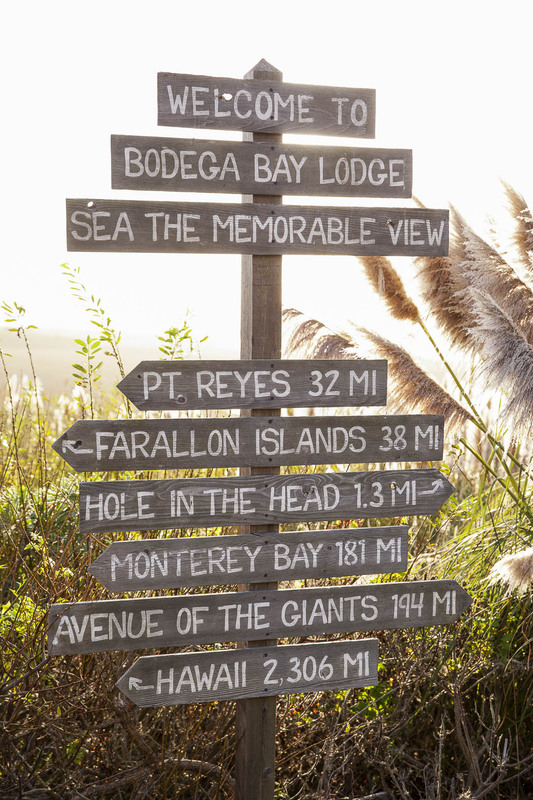 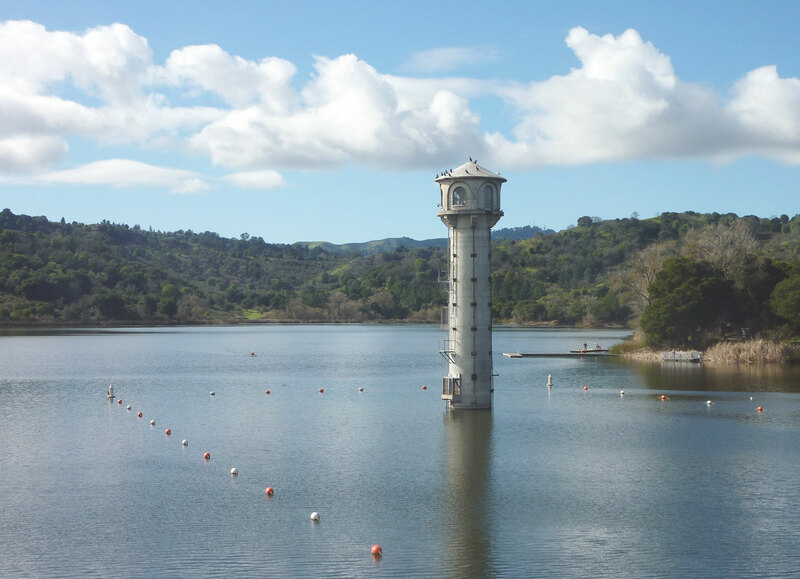 From Point Reyes to Tomales Bay, let us be your guide to the adventures of the Northern California coast. 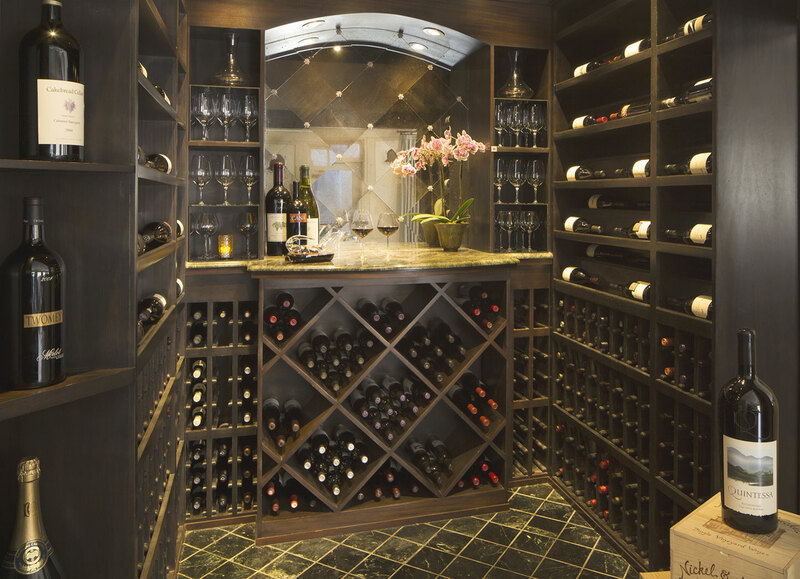 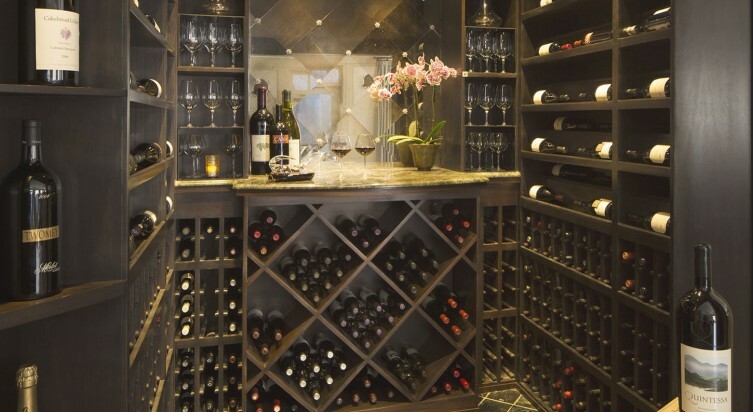 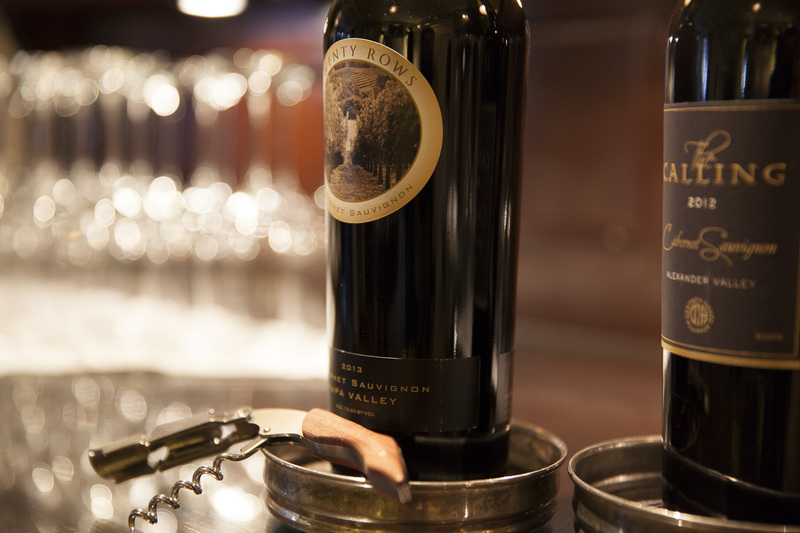 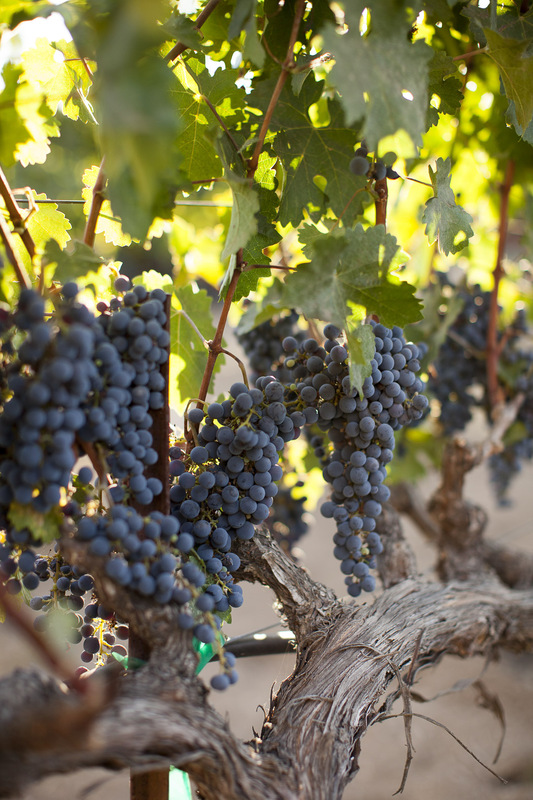 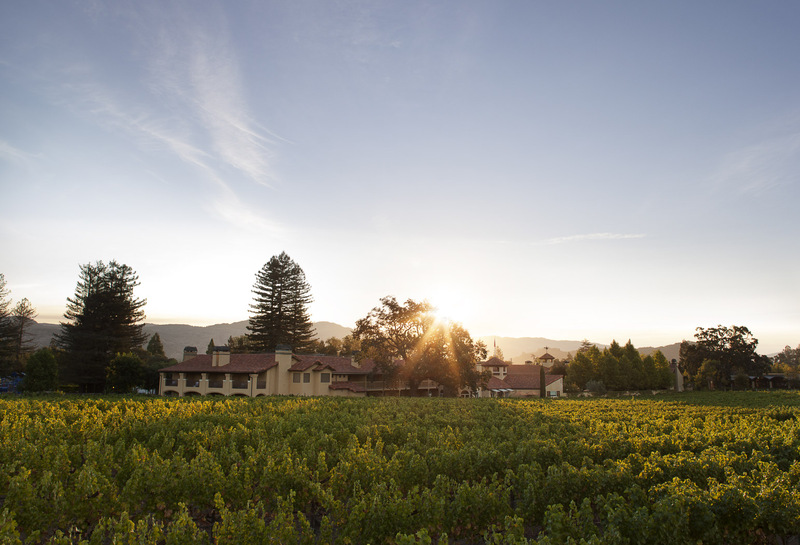 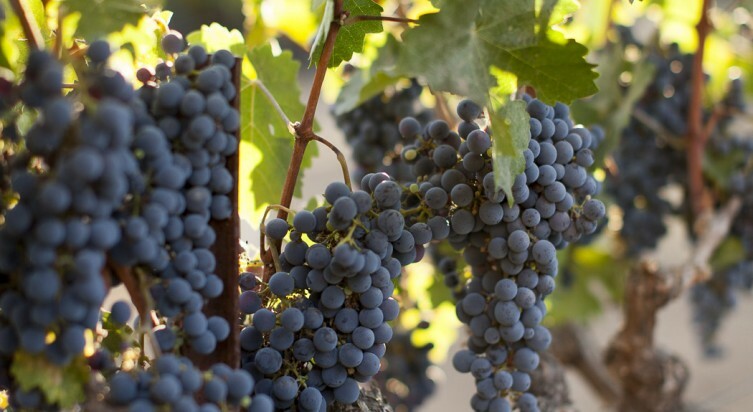 There’s a reason connoisseurs love Napa Valley. 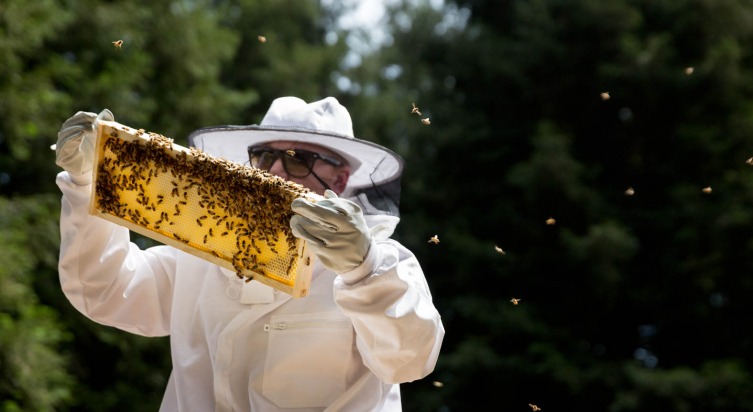 In fact, there are many. 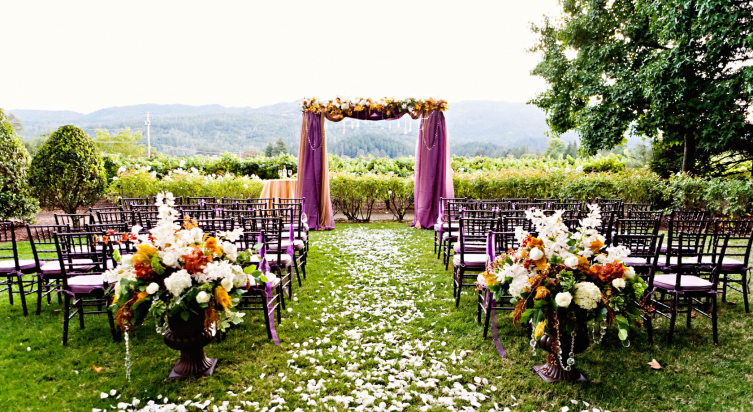 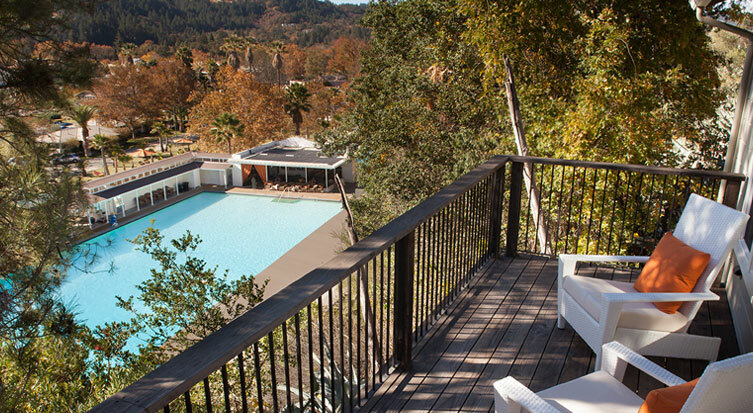 And they’re all beautifully captured at the Napa Valley Lodge. 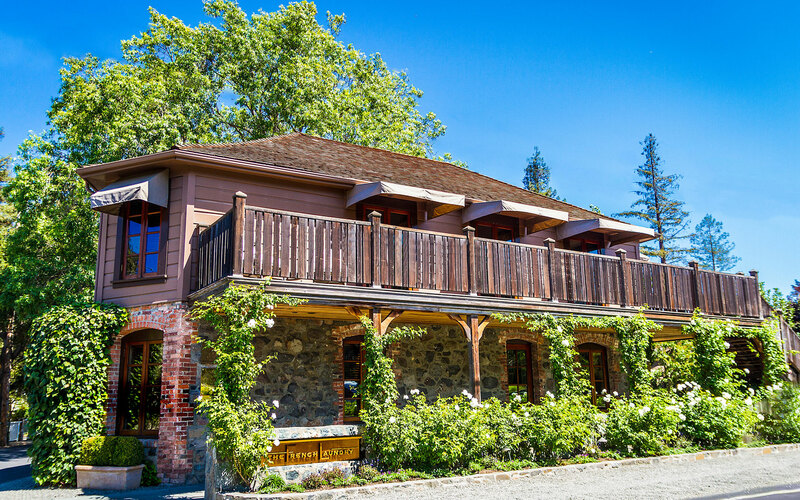 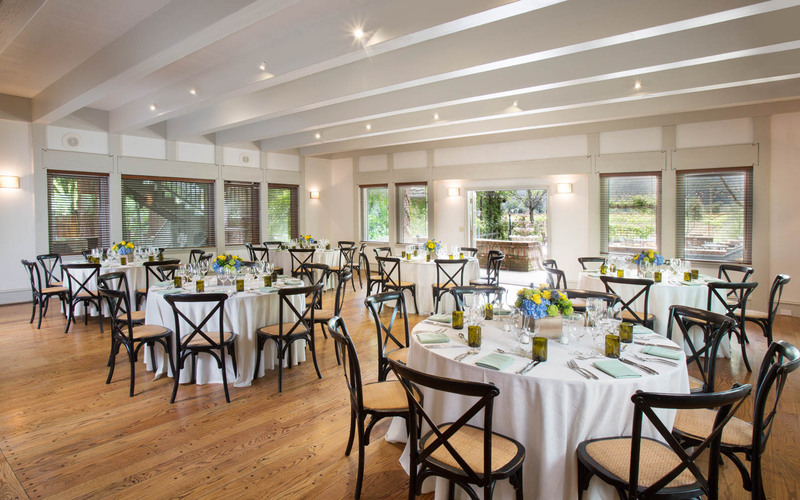 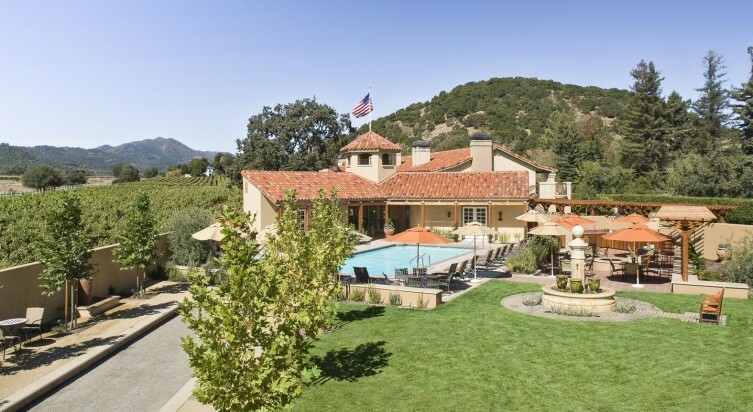 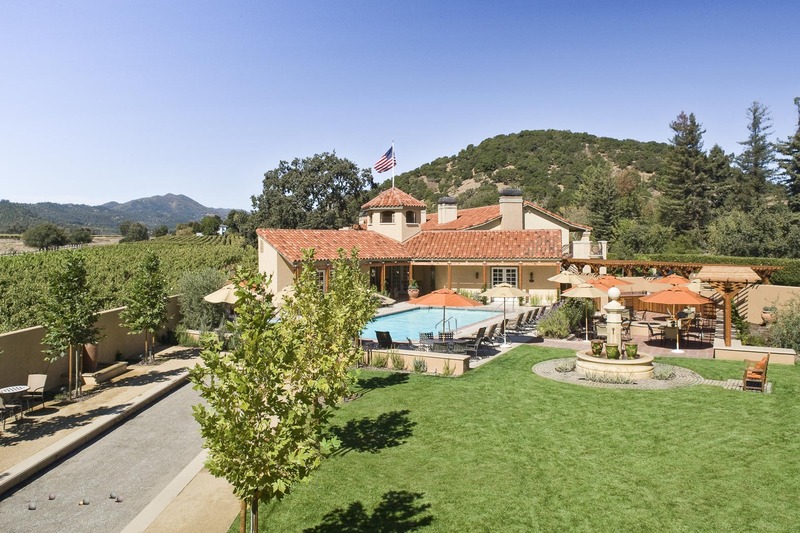 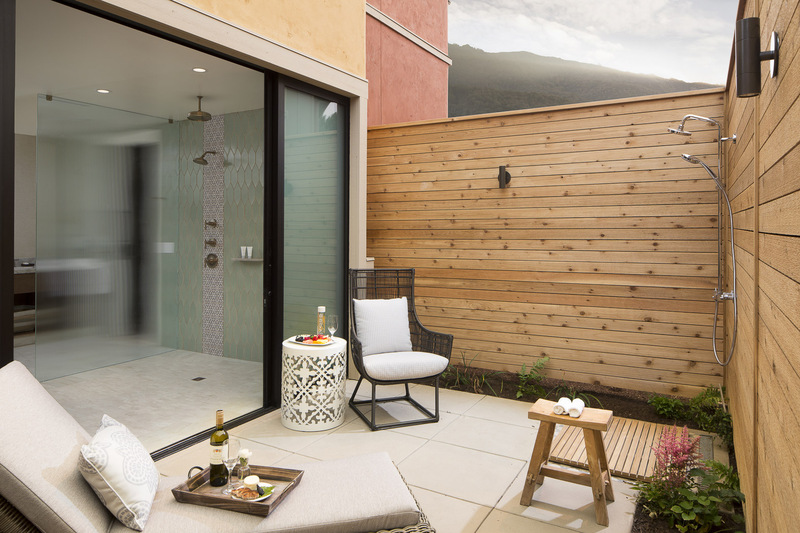 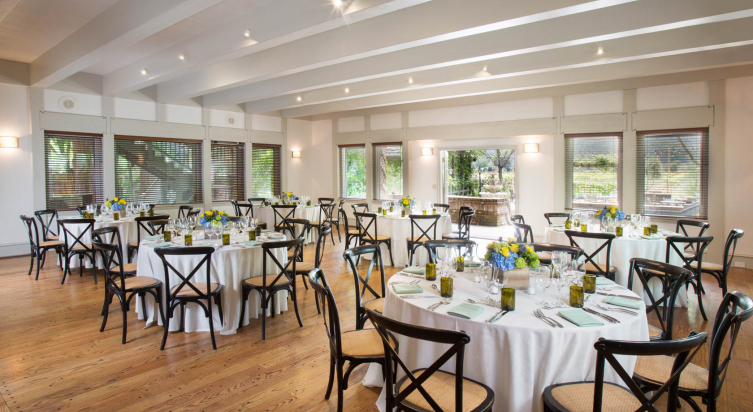 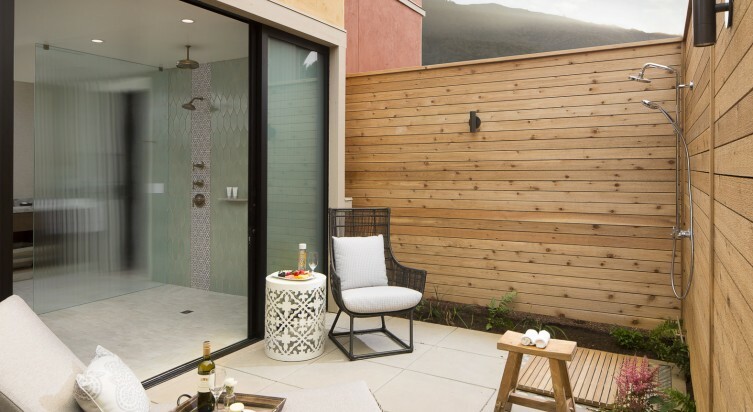 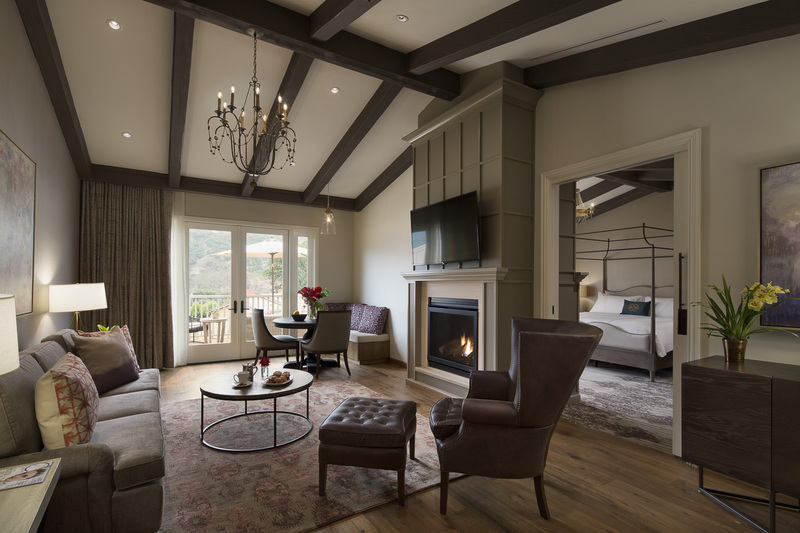 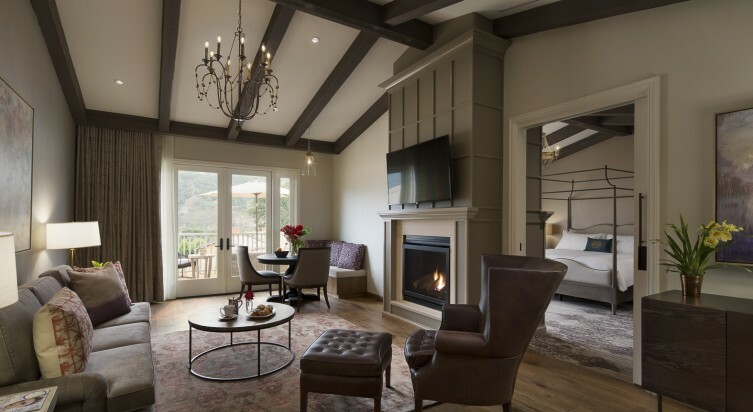 Set in a picturesque vineyard within the town of Yountville, our Tuscan-inspired, farmhouse-style lodge offers a pitch-perfect mix of pristine landscaping, panoramic views and Wine Country passions. 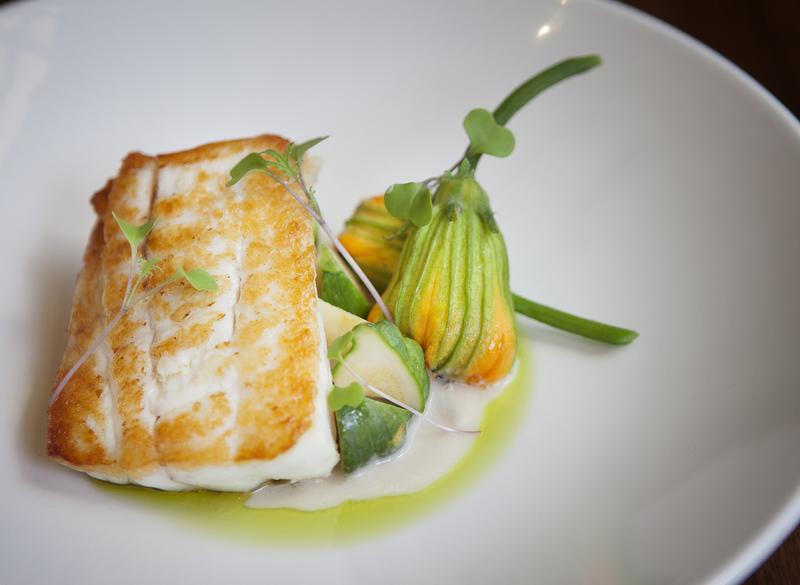 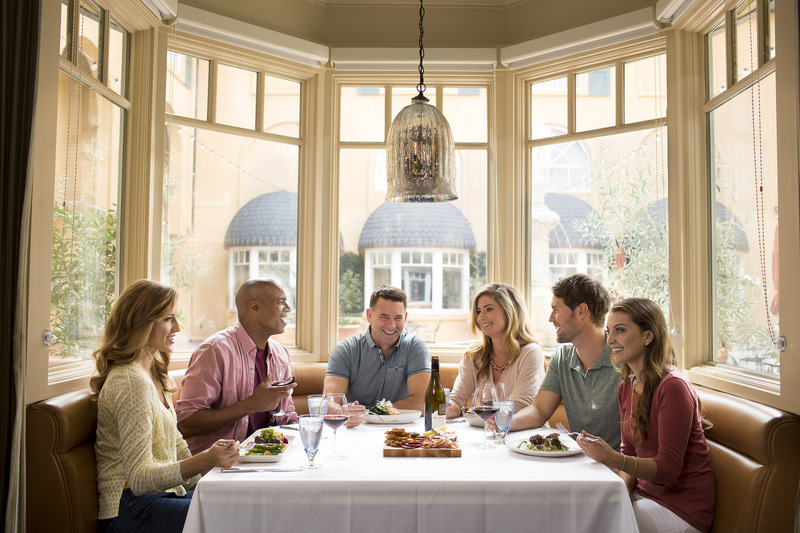 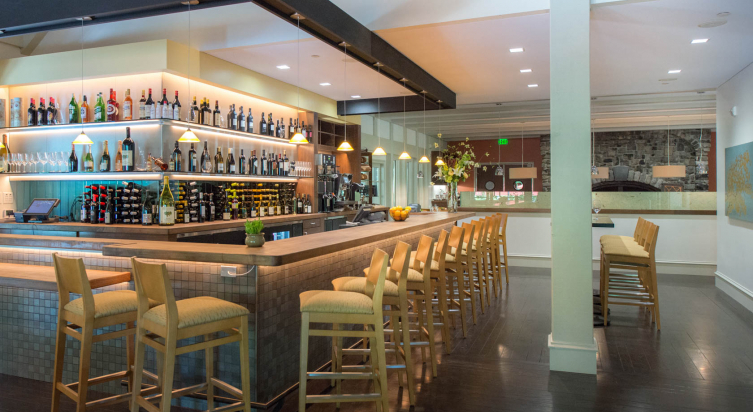 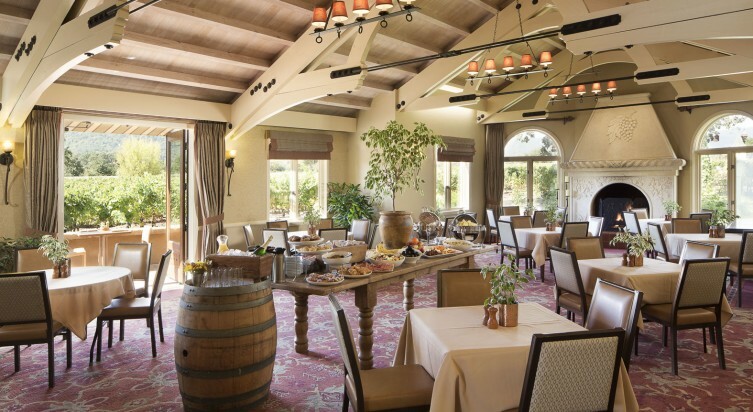 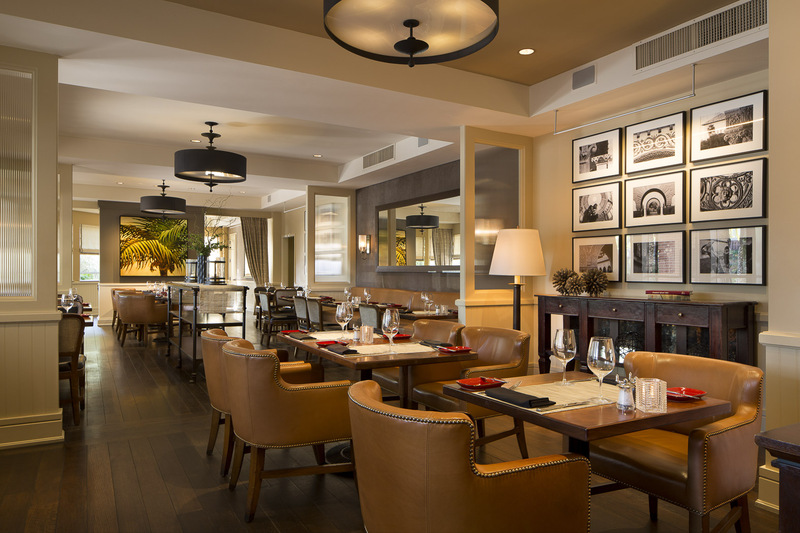 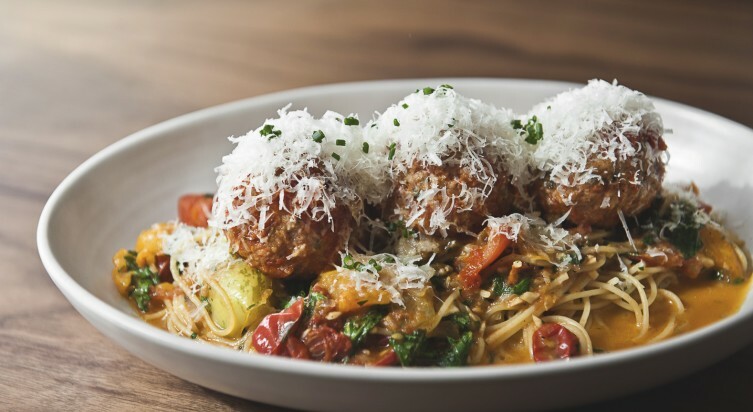 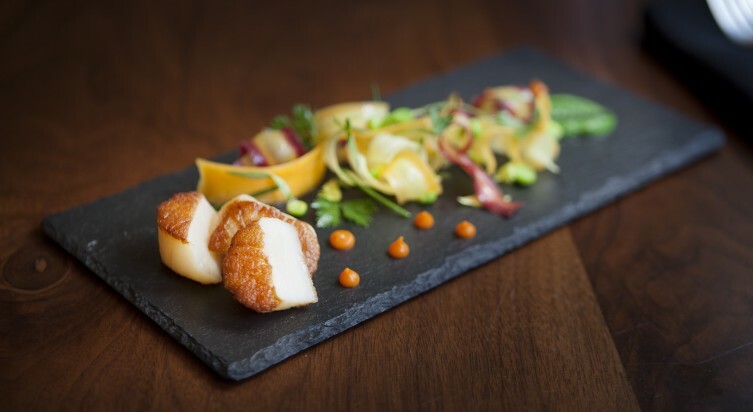 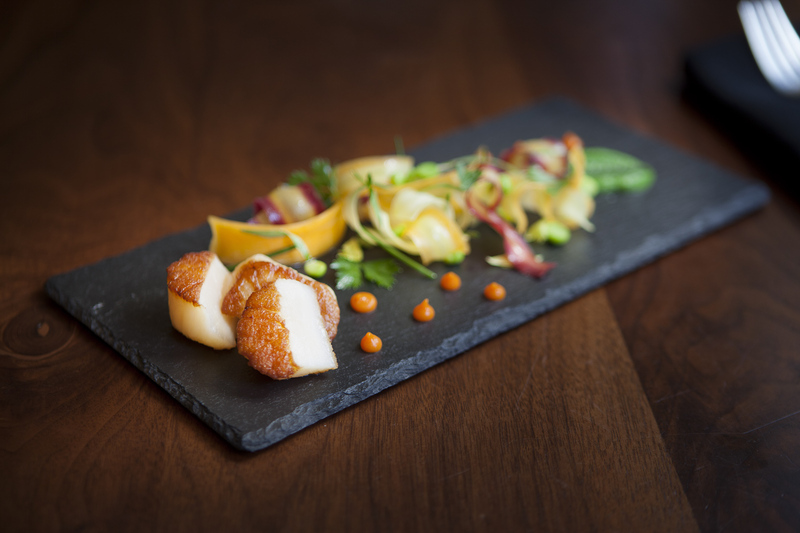 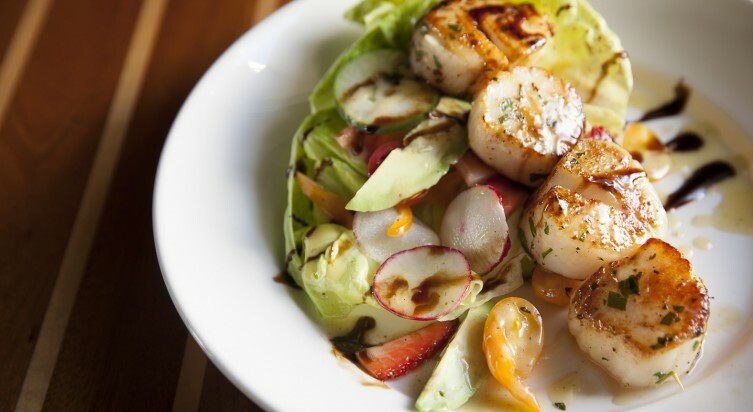 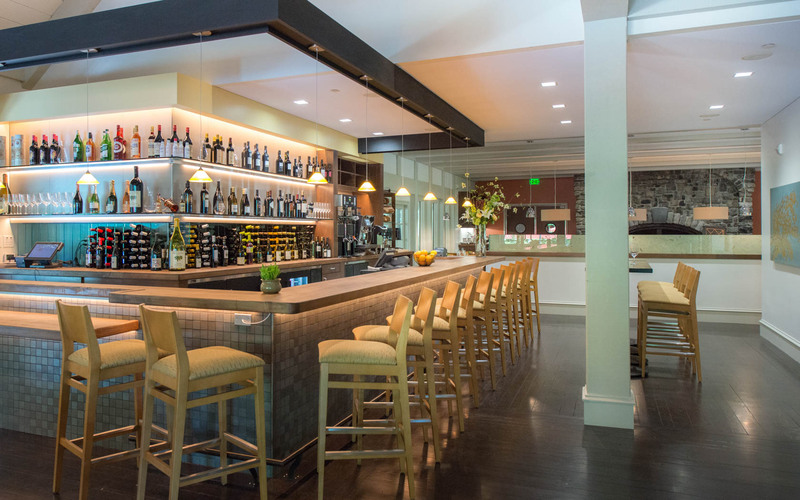 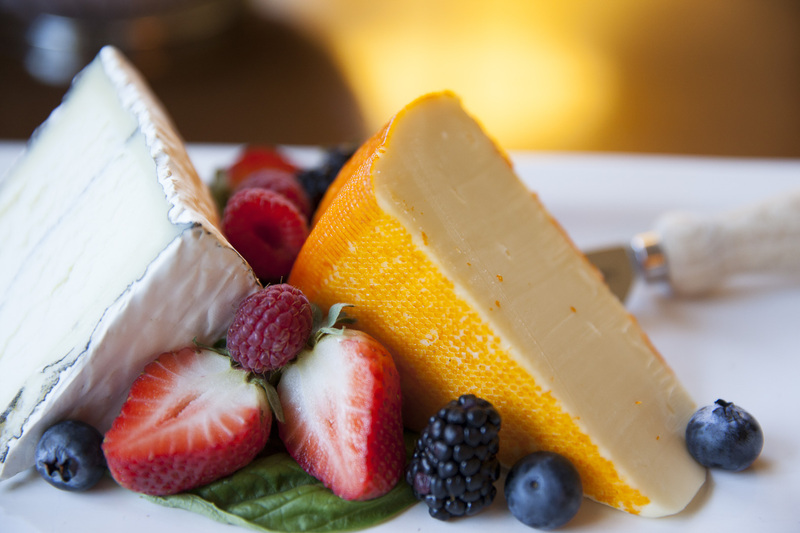 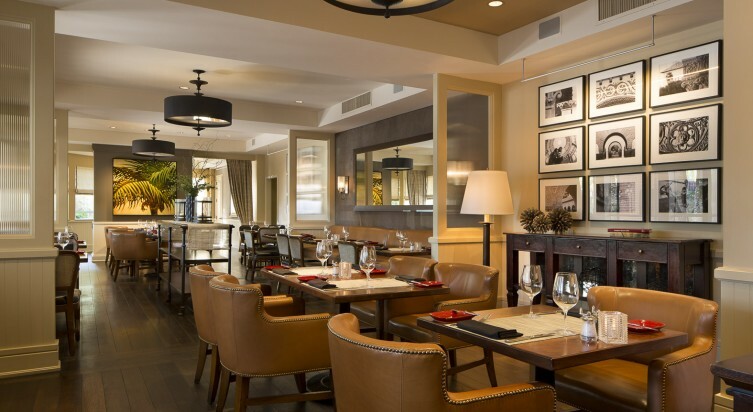 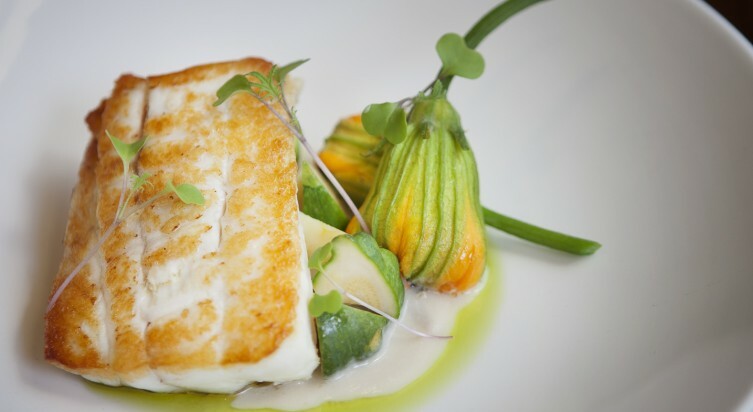 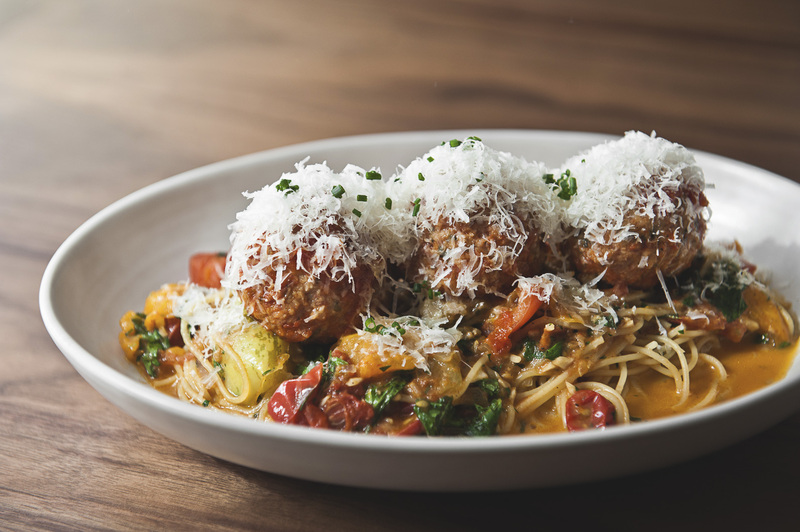 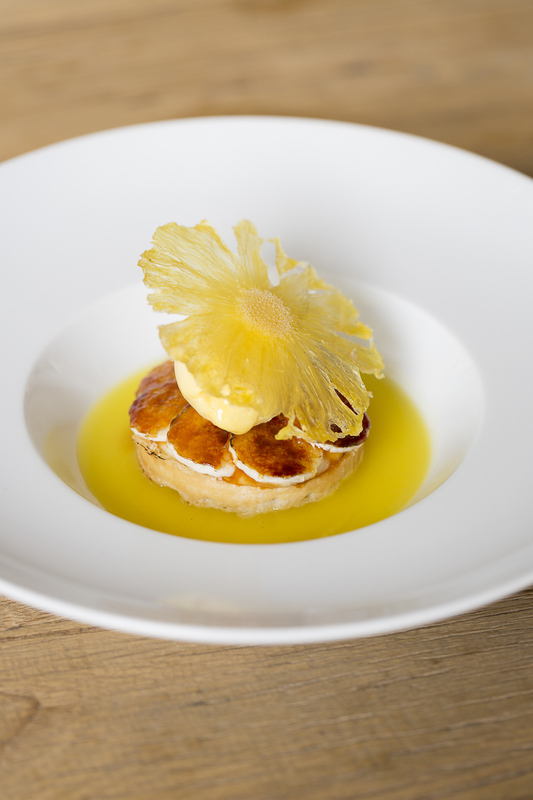 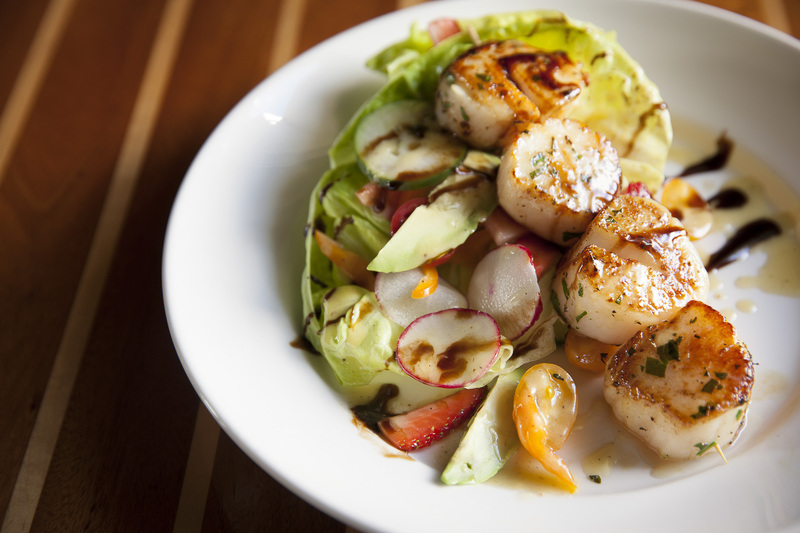 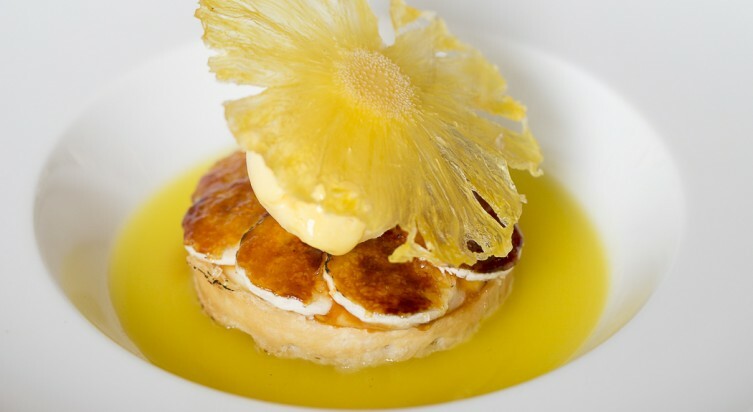 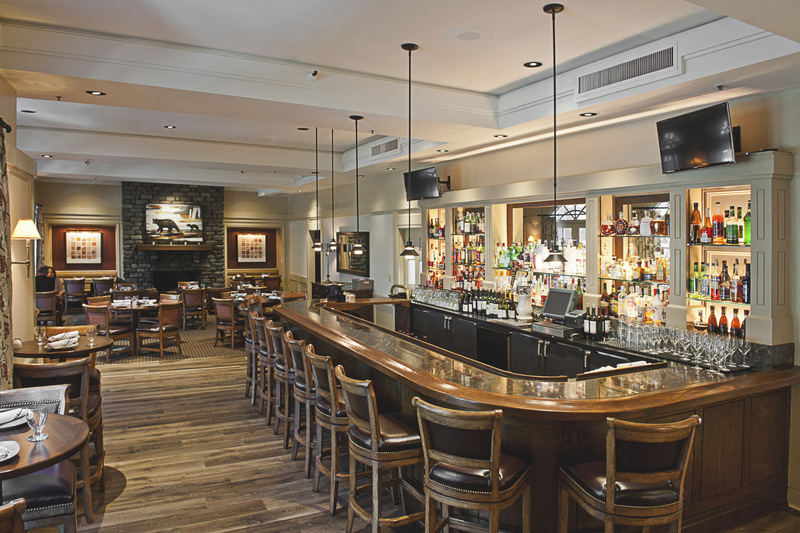 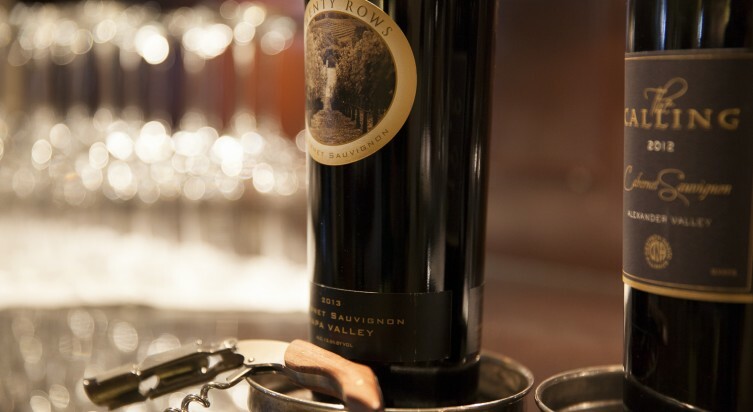 Steps away, indulge at Yountville’s renowned restaurants and tasting rooms. 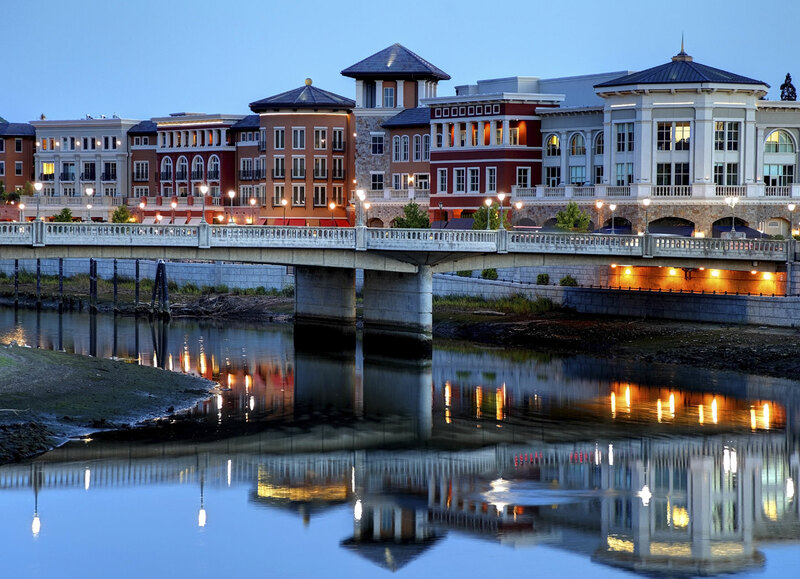 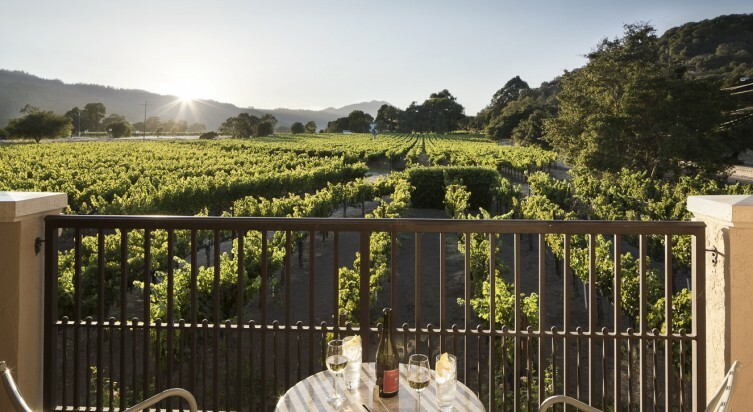 Savor a day of wine tasting, gastronomy and scenic drives. 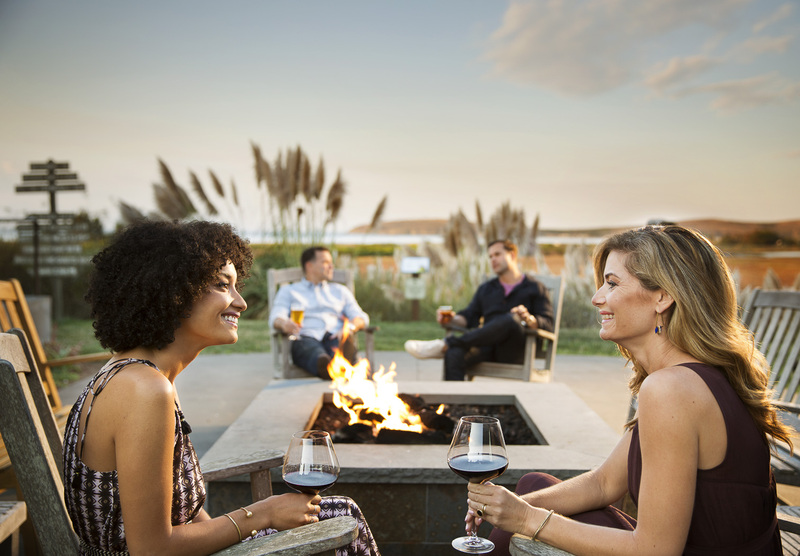 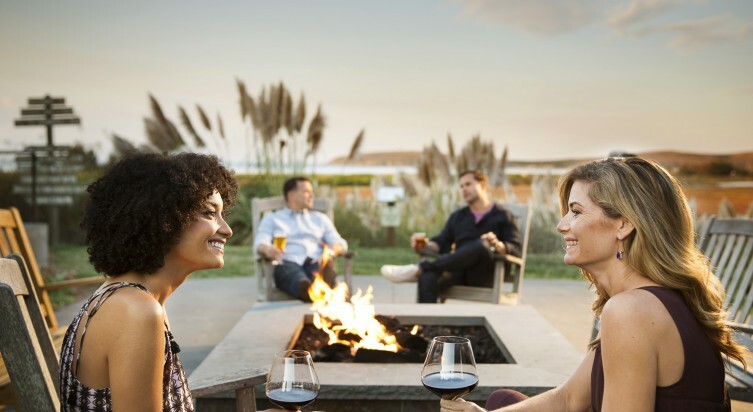 Then retreat to the comforts of home for a rousing game of bocce, a prized cabernet at the fire pit or a memorable sunset from your private balcony. 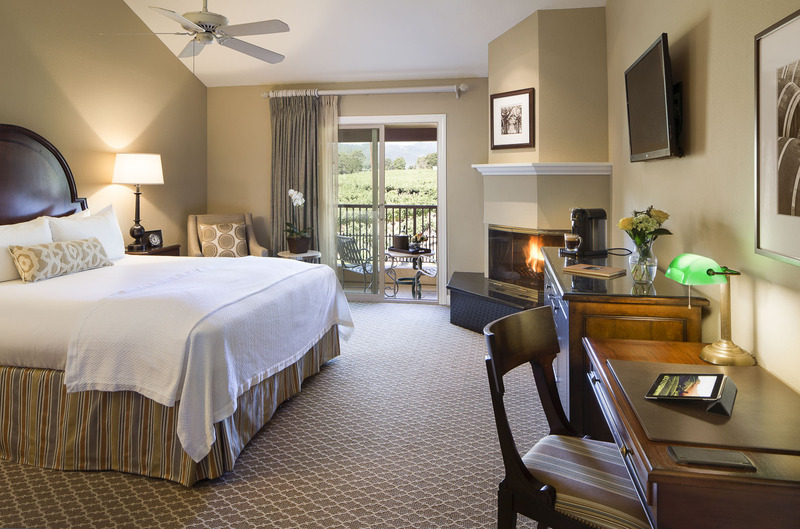 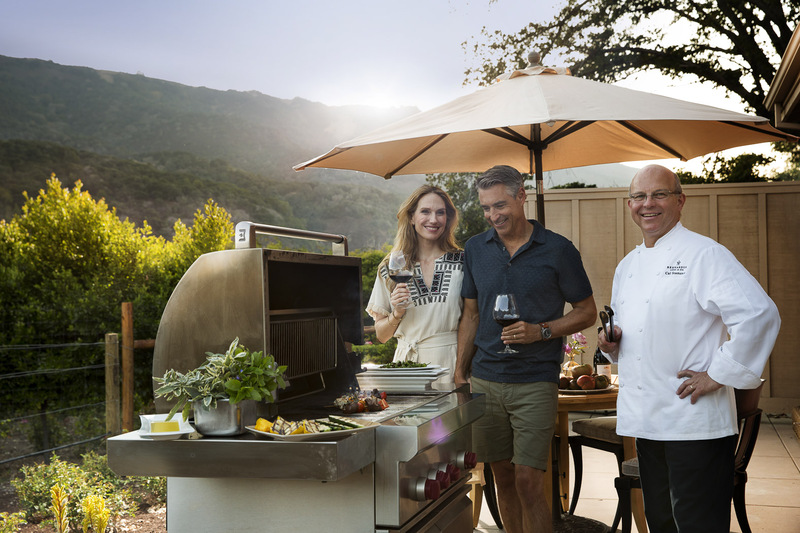 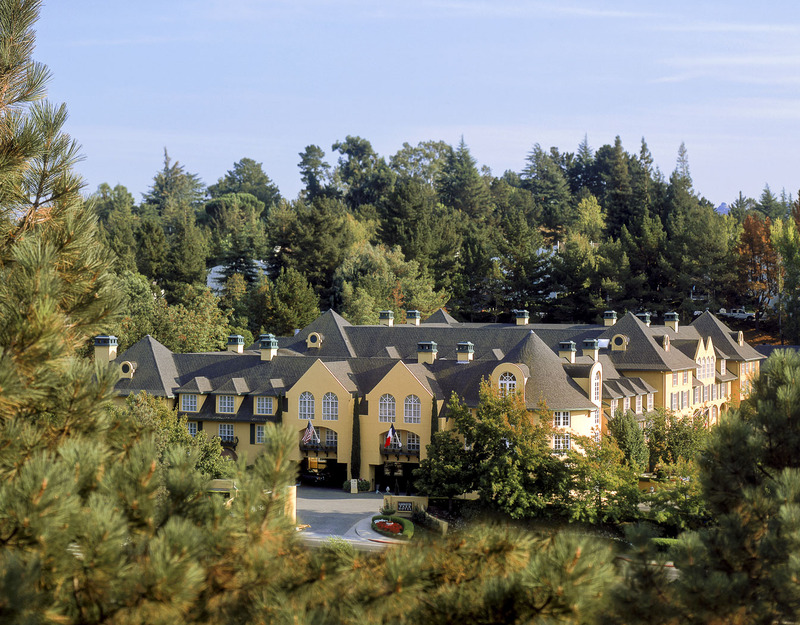 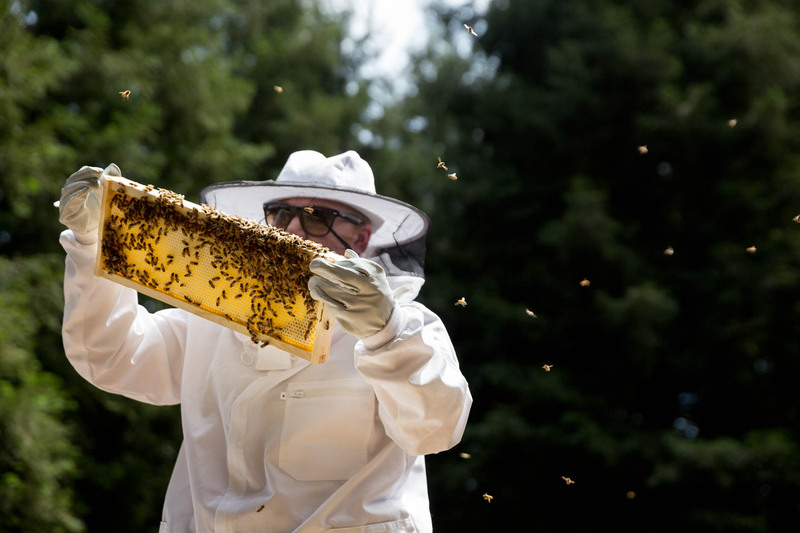 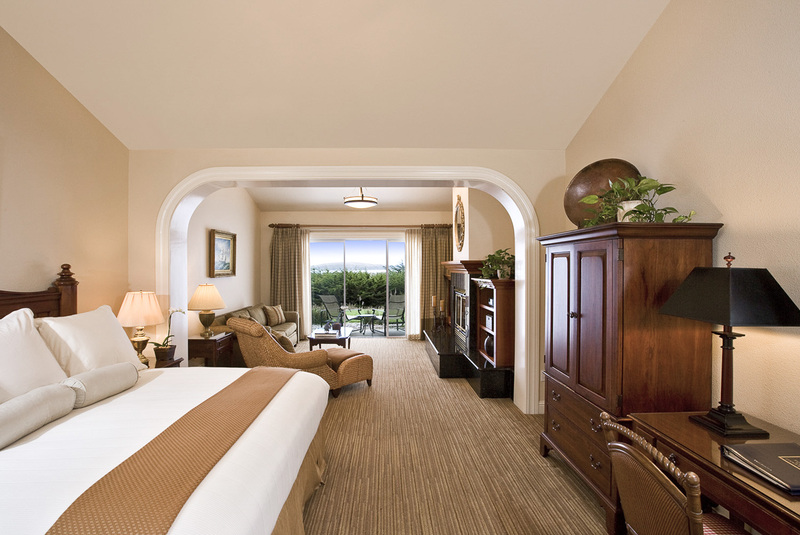 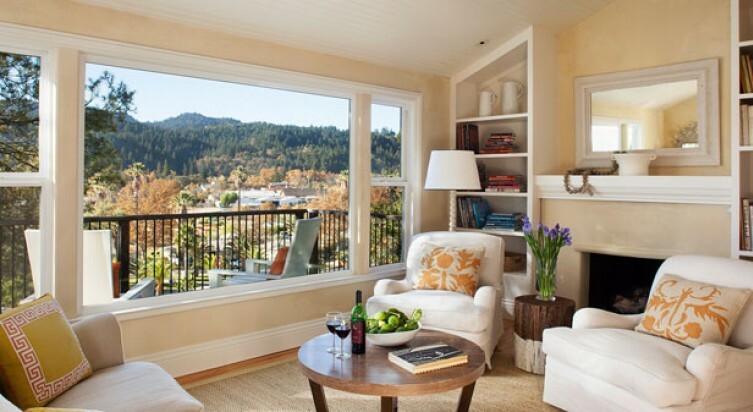 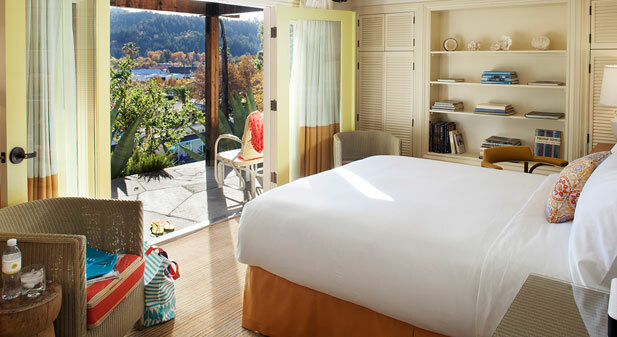 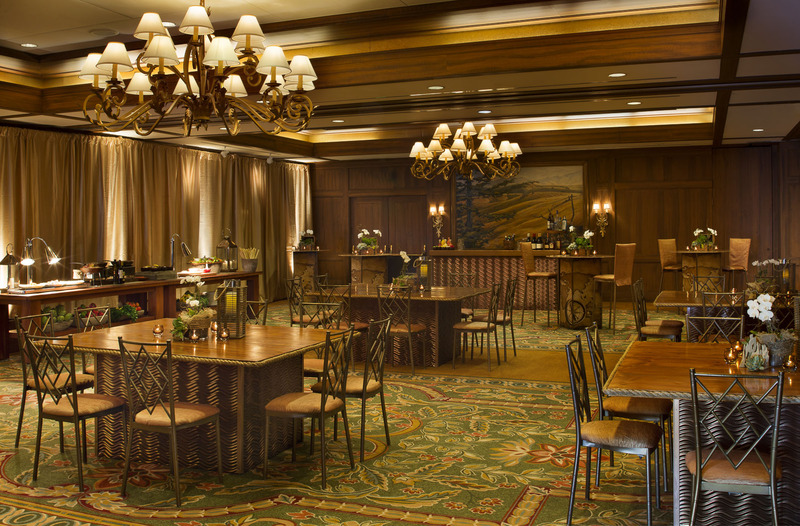 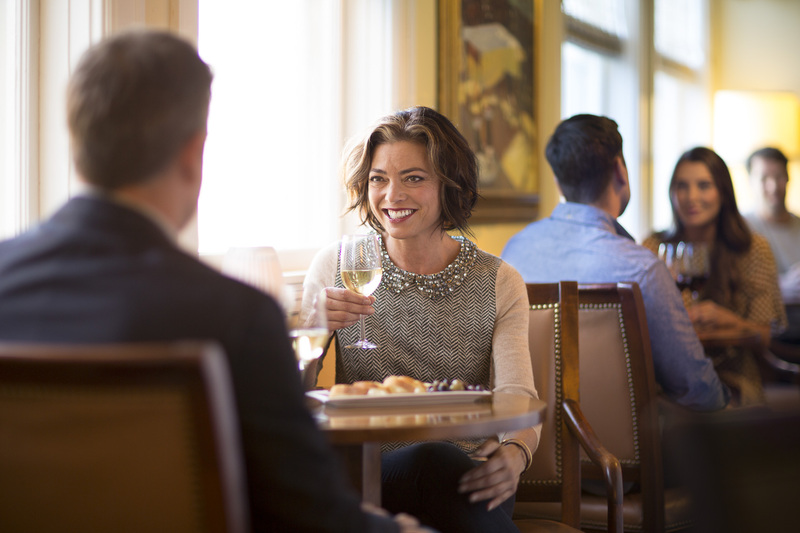 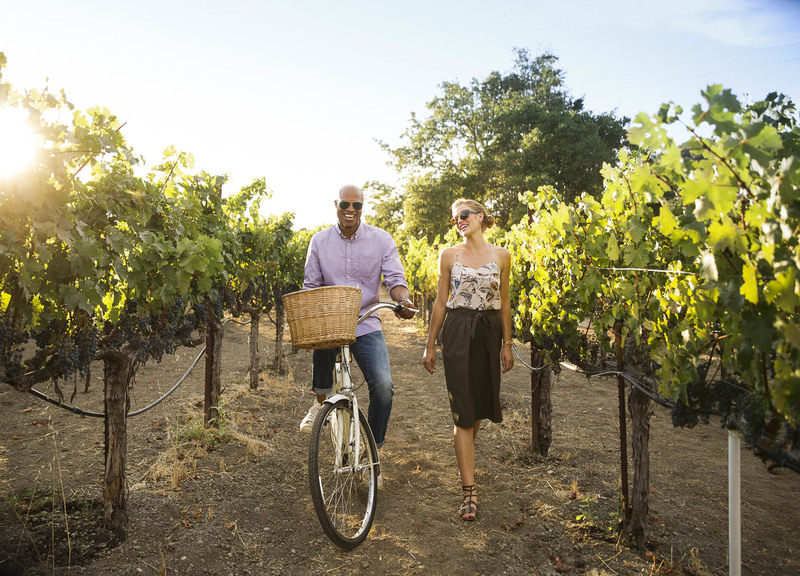 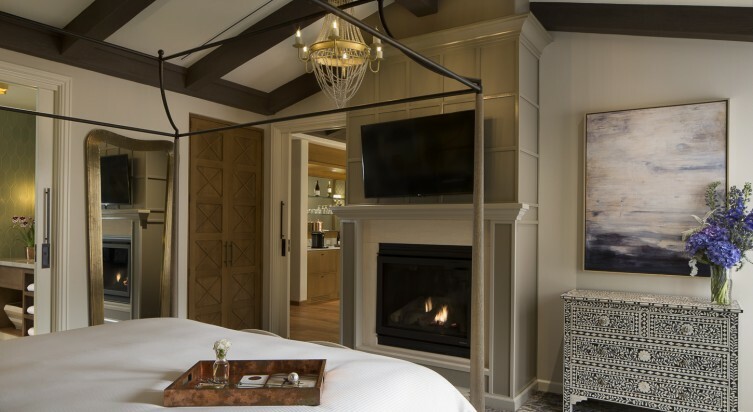 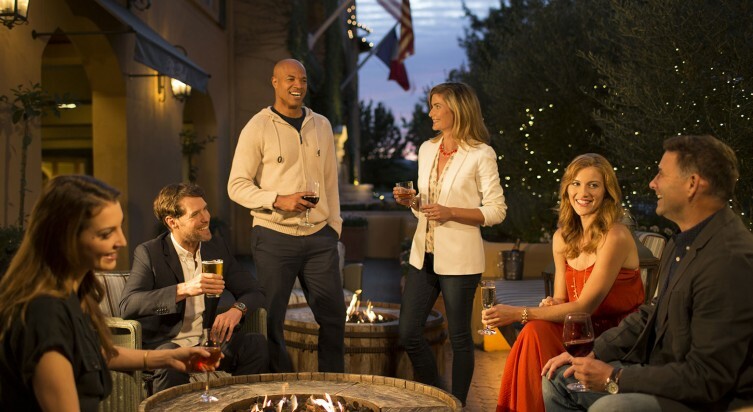 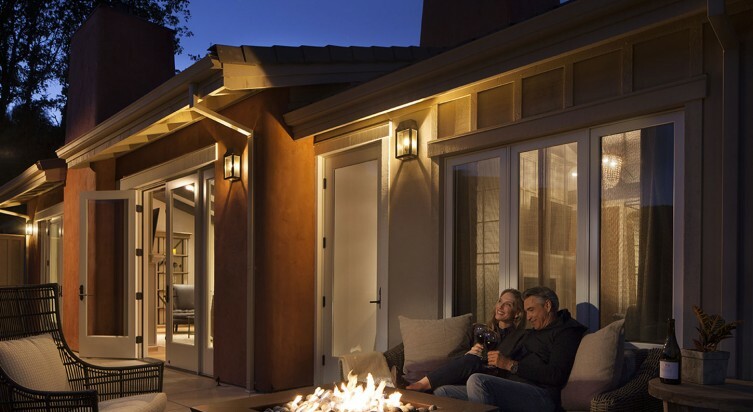 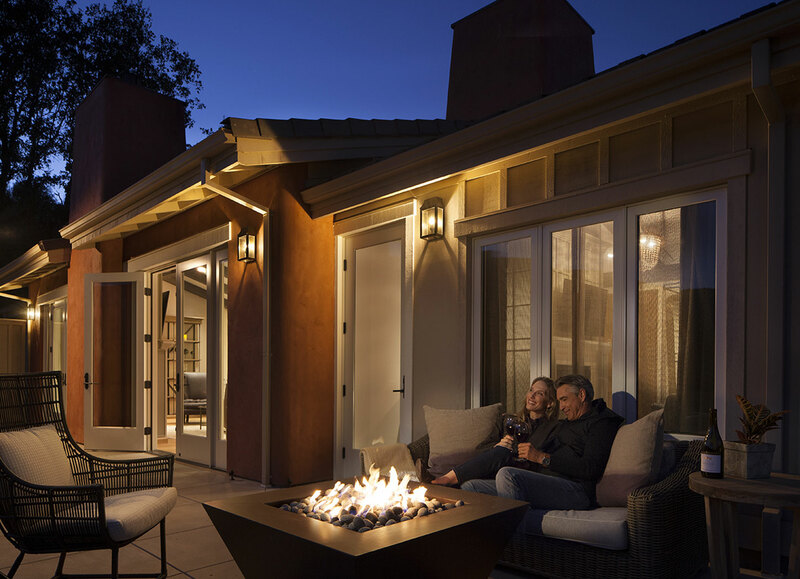 Live like a Napa Valley local – and fall in love with the Napa Valley Lodge. 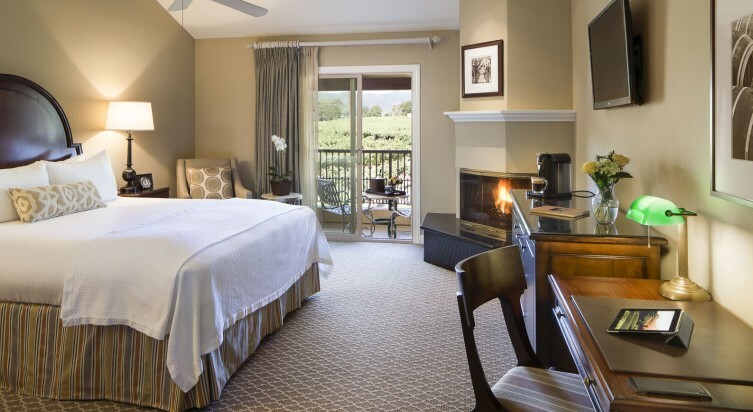 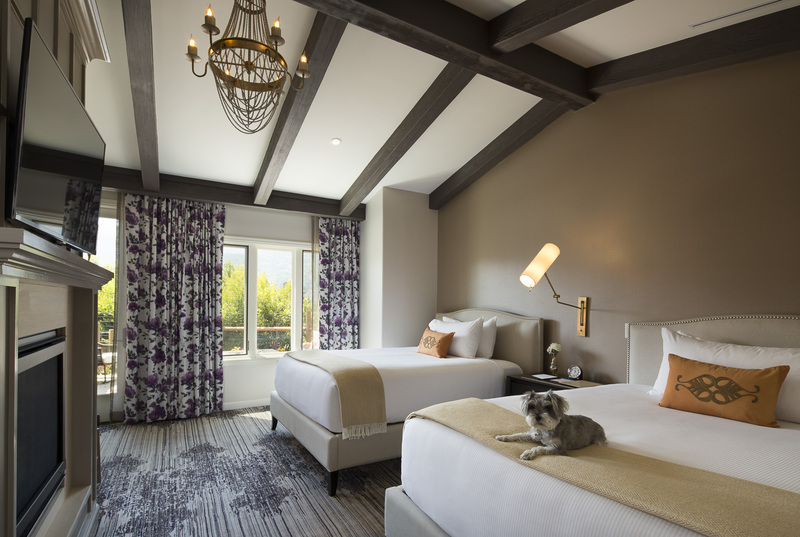 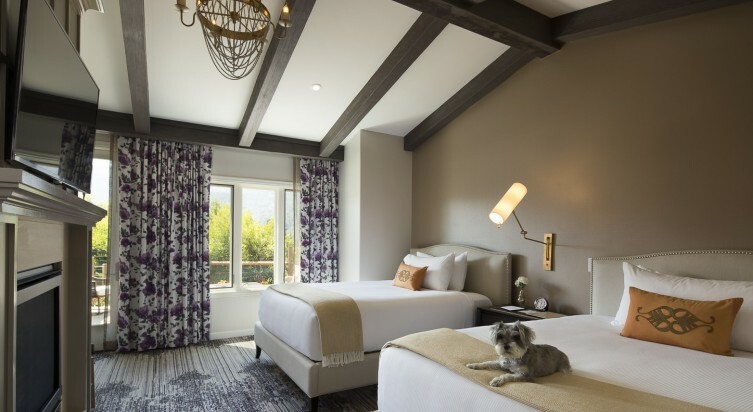 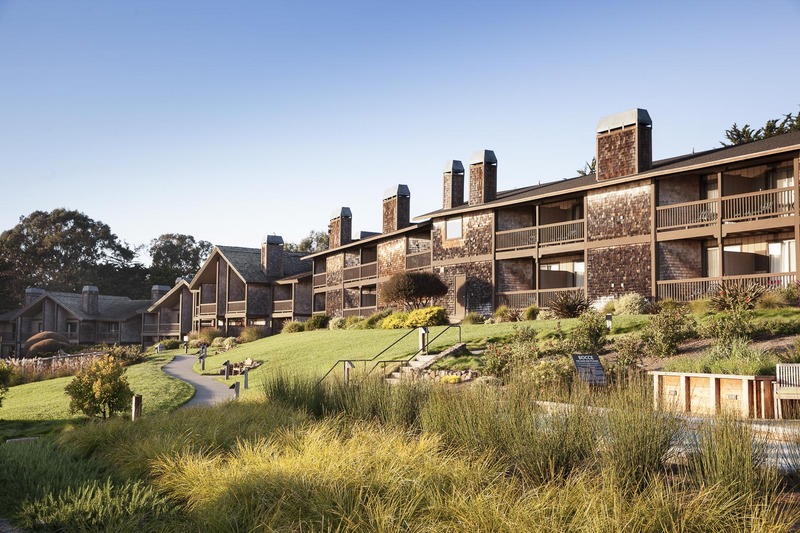 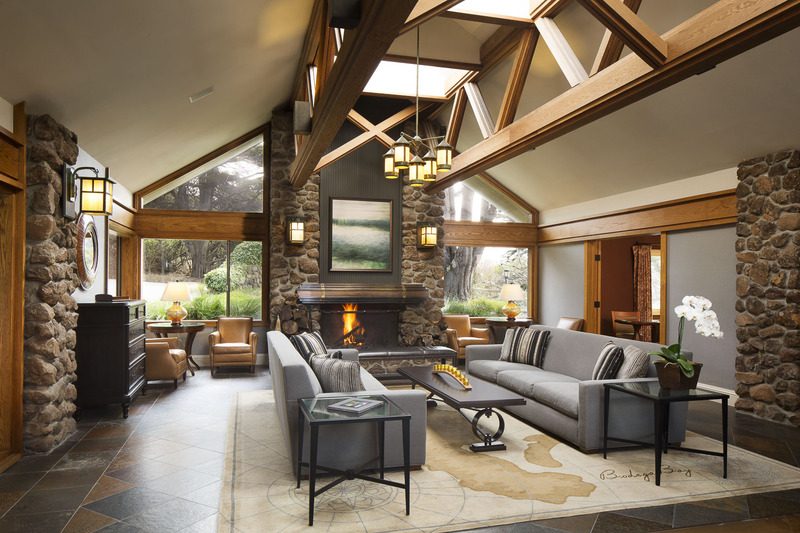 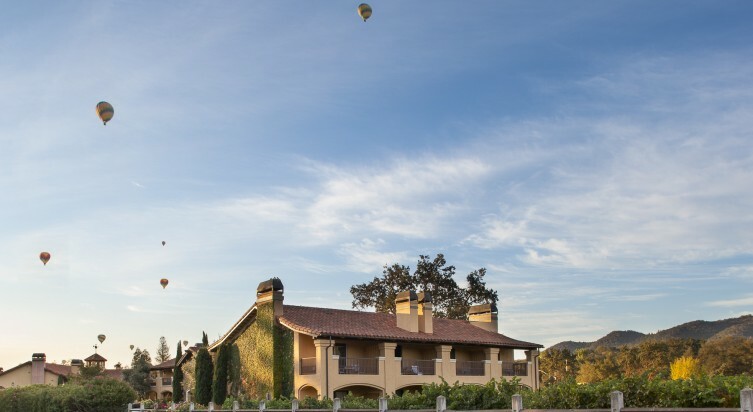 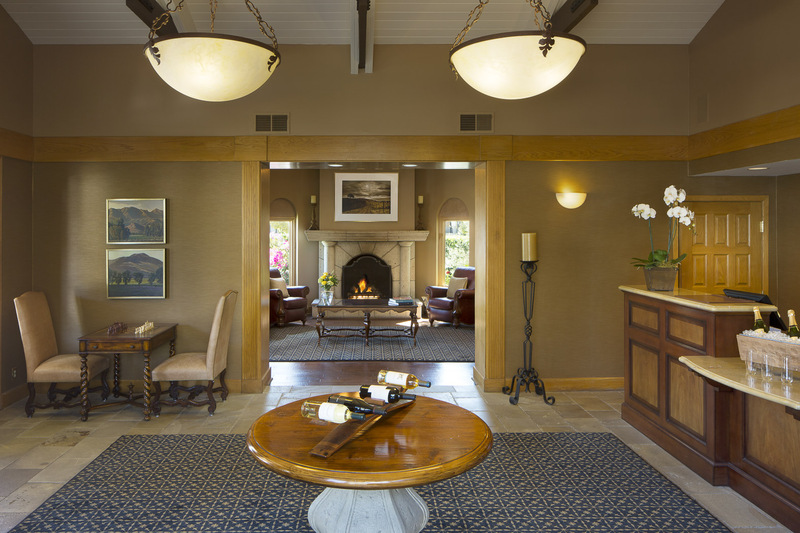 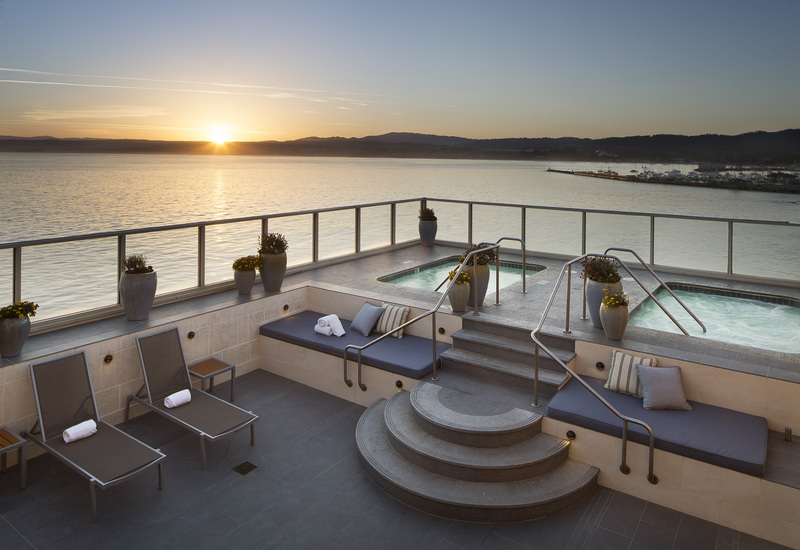 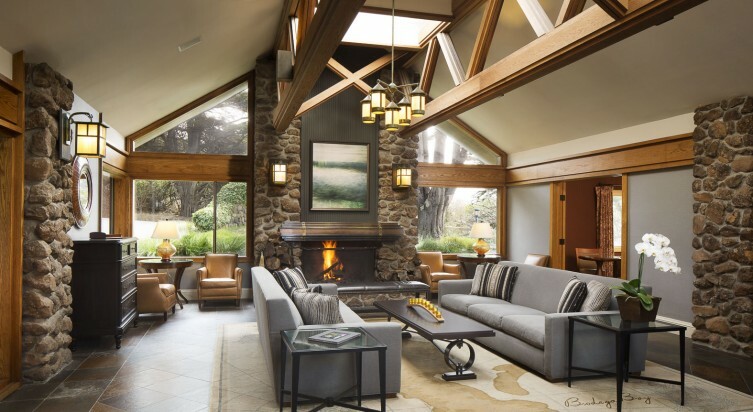 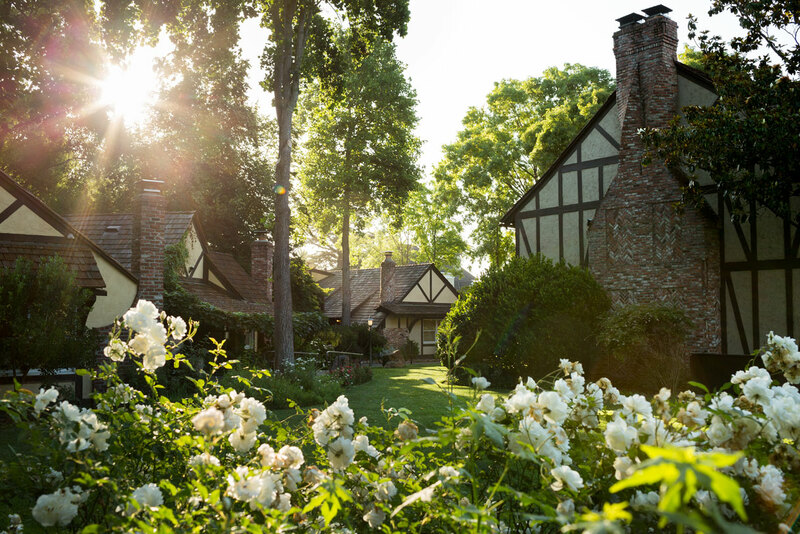 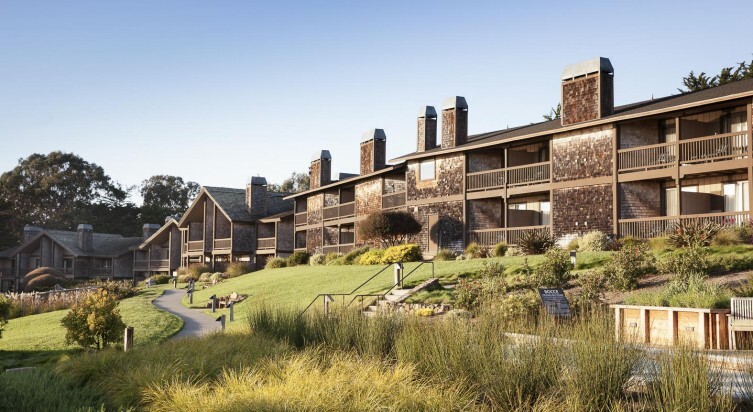 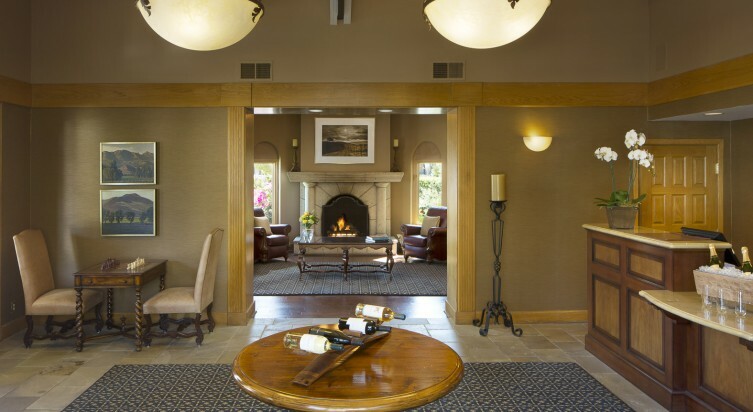 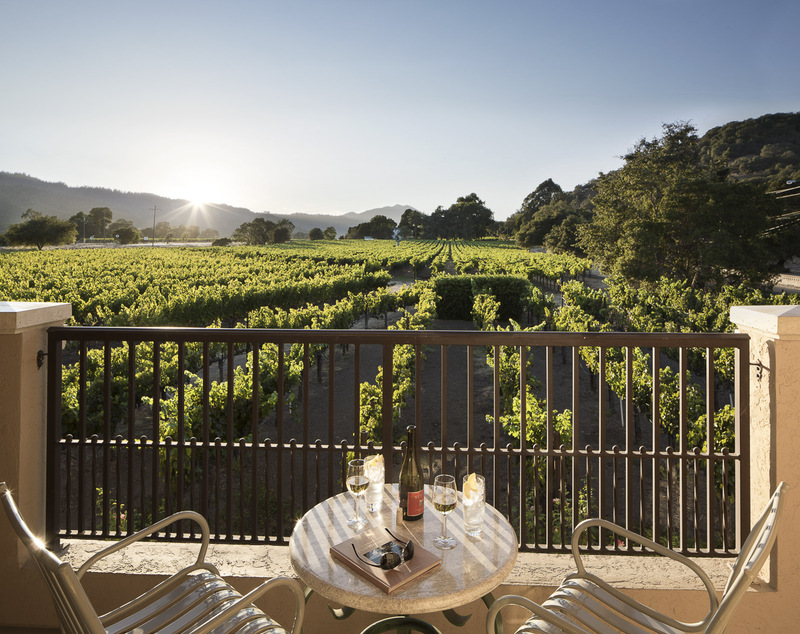 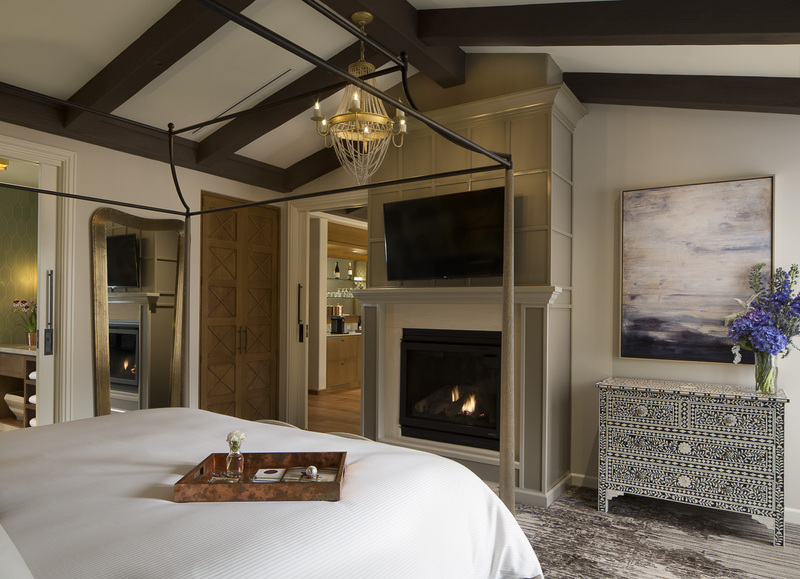 Voted #3 hotel in Northern California by Condé Nast Traveler's 2016 Readers' Choice Awards, Harvest Inn is an idyllic resort designed to celebrate the vineyard way of life, with 78 luxurious accommodations nestled into five uniquely crafted neighborhoods, two secluded swimming pools, and a plush spa with indoor and outdoor facilities. 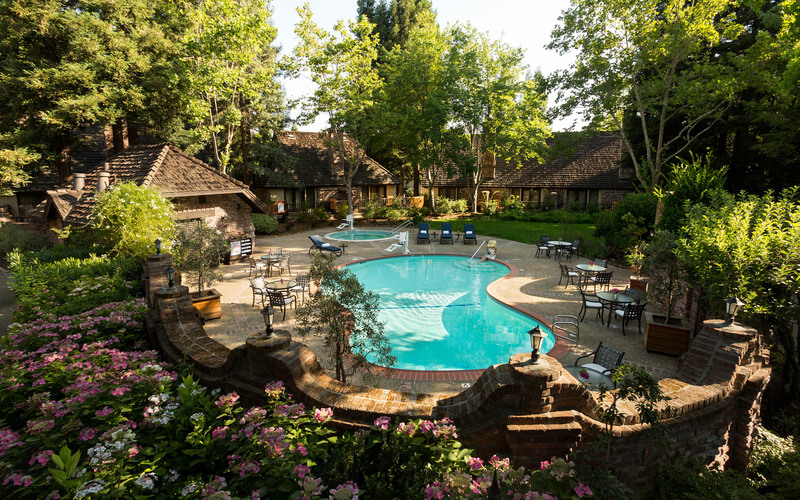 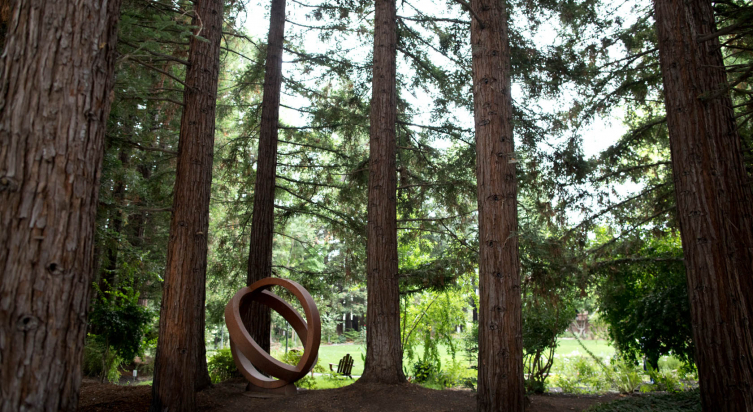 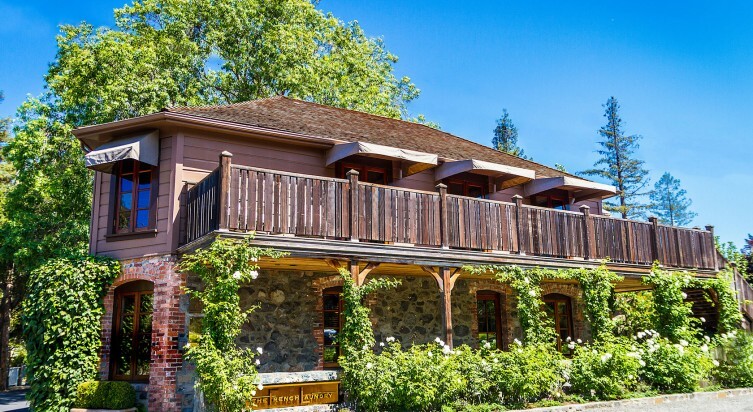 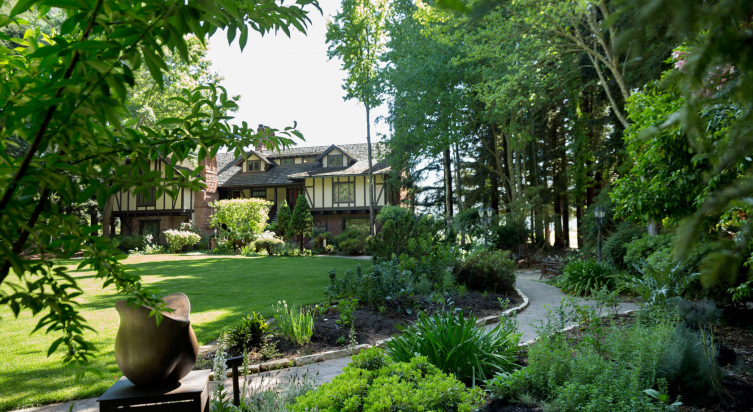 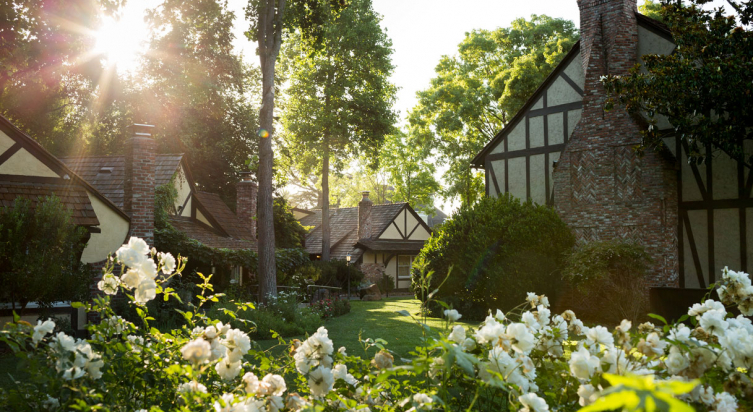 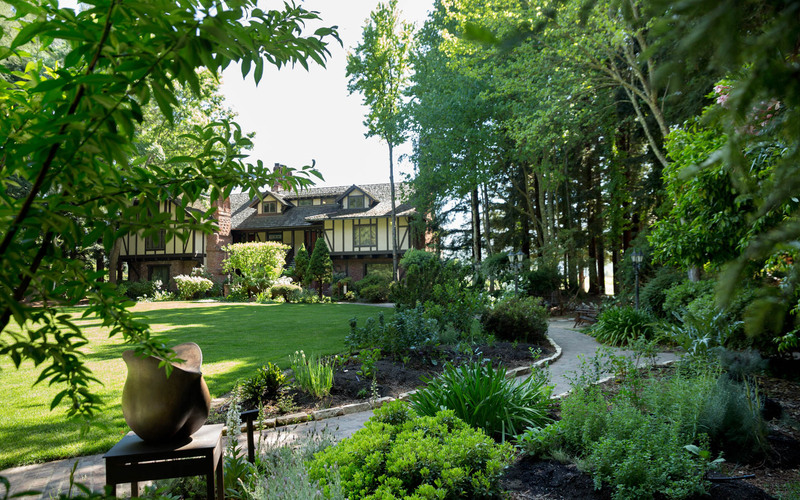 Surrounded by the lush landscaping of expansive clipped lawns and serene shaded groves, partially forested by towering redwoods, Harvest Inn also is home to gardens of agricultural botanicals. 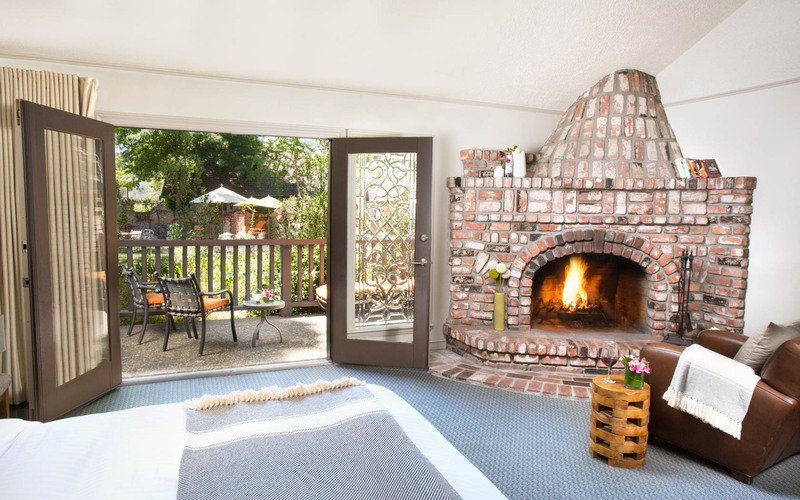 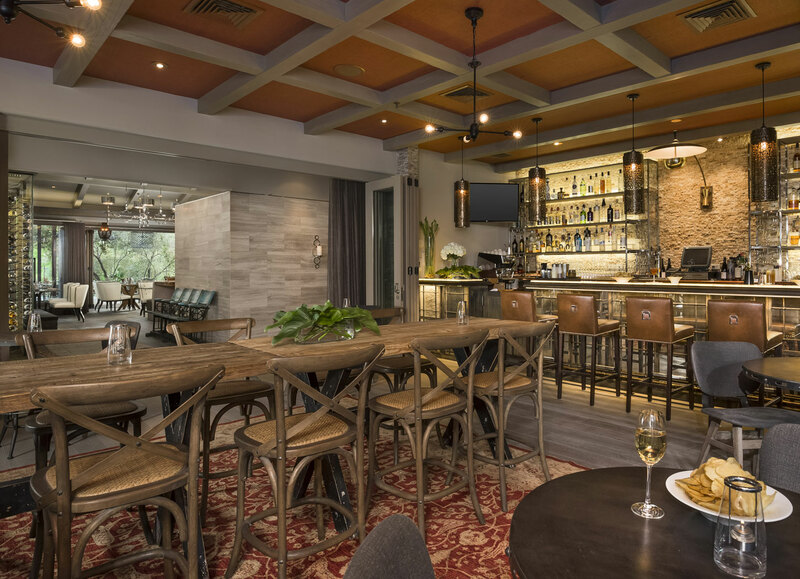 Although well situated in proximity to the hub of activity in historic St Helena, Harvest Inn offers picturesque privacy and a “let’s get lost” feeling of total relaxation. Discover a historic California resort and spa where traditions are prized and privacy, escape and relaxation come naturally. 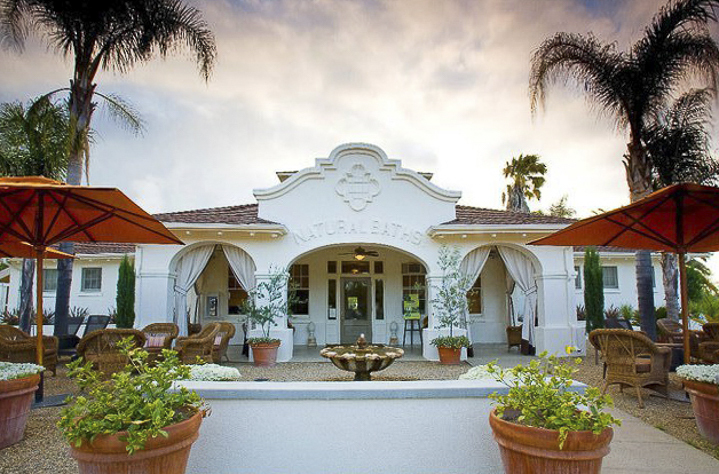 As you turn in to Indian Springs’ palm tree lined drive, you’re entering a historic spa resort. 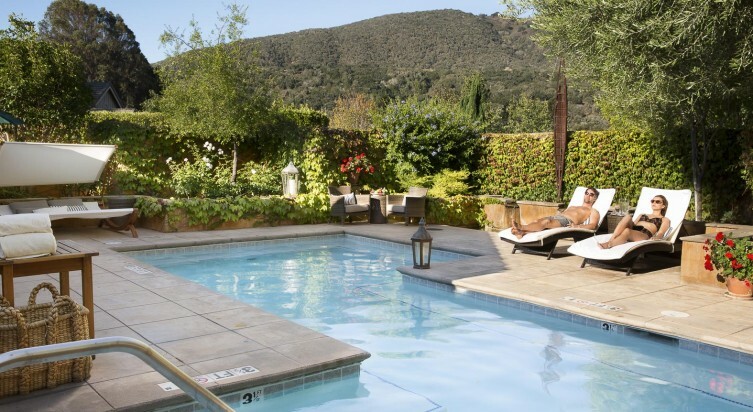 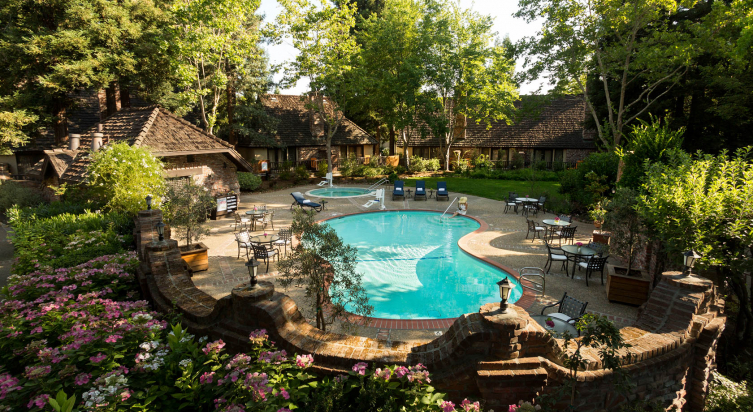 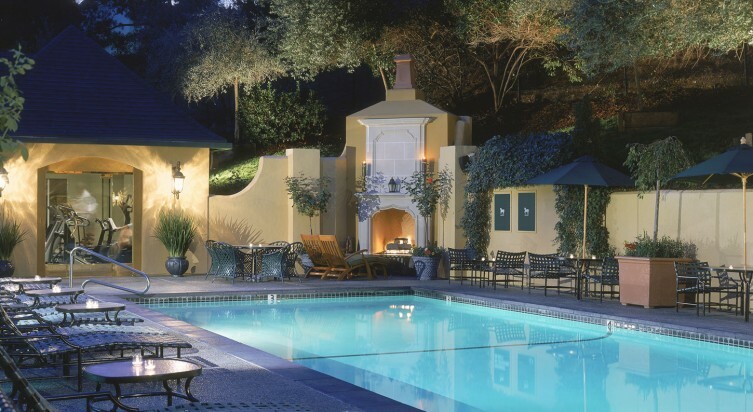 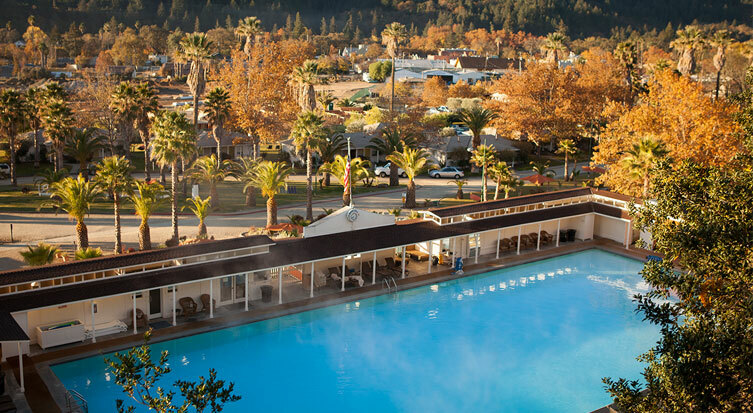 Situated in Calistoga at the northern end of the Napa Valley, Indian Springs Resort and Spa is California’s oldest continuously operated pool and spa facility. 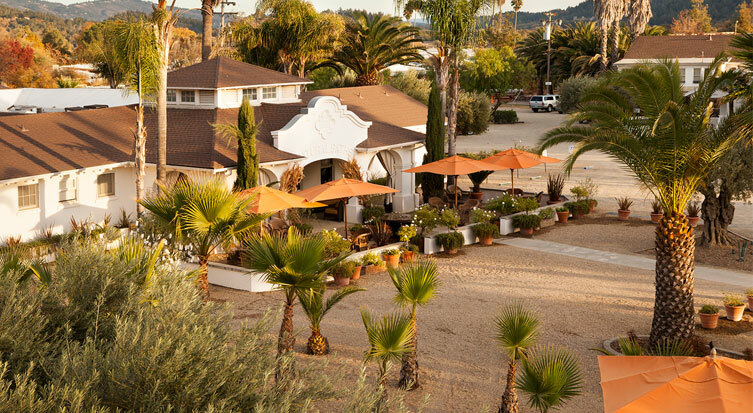 It unfolds over 17 acres of hills and ponds, olive and palm trees, and roses and lavender. 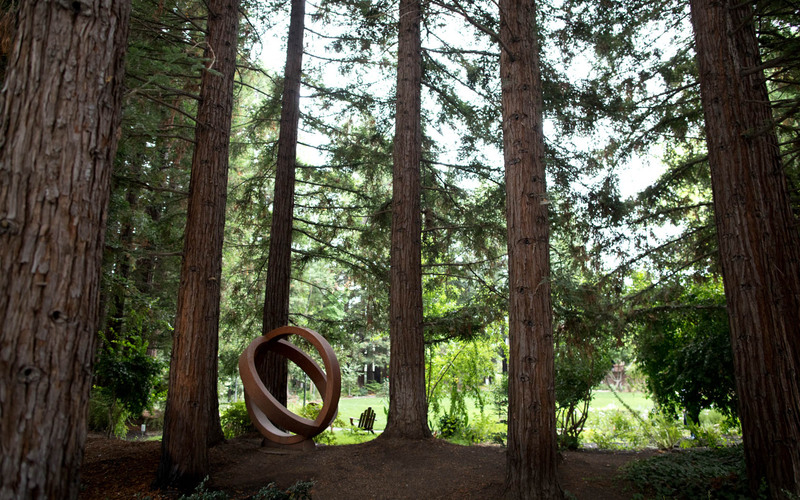 The property is blessed with rare, substantial natural resources, which have inspired a long tradition of healing and renewal. 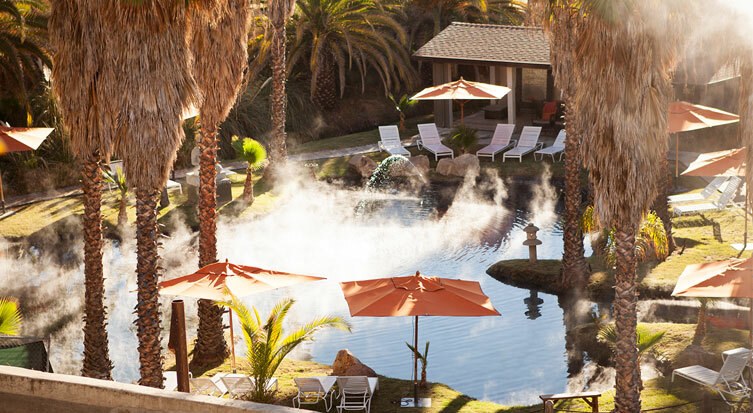 Four thermal geysers produce rich mineral water and a deposit of pure volcanic ash also runs through the property. 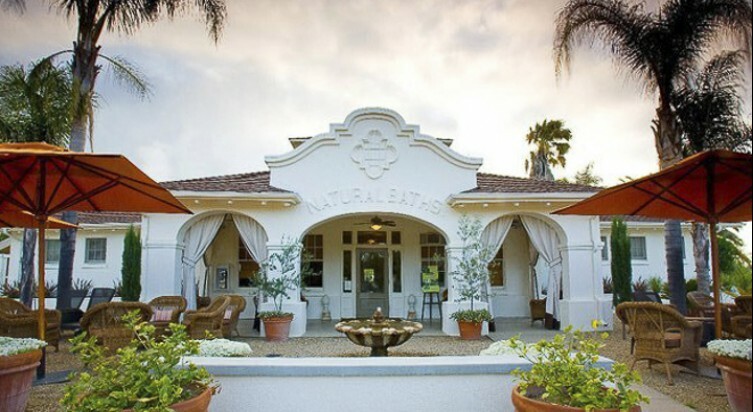 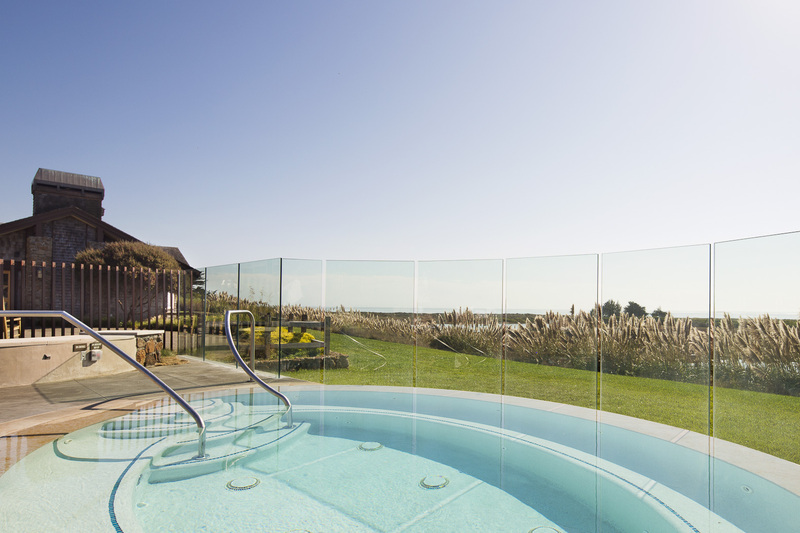 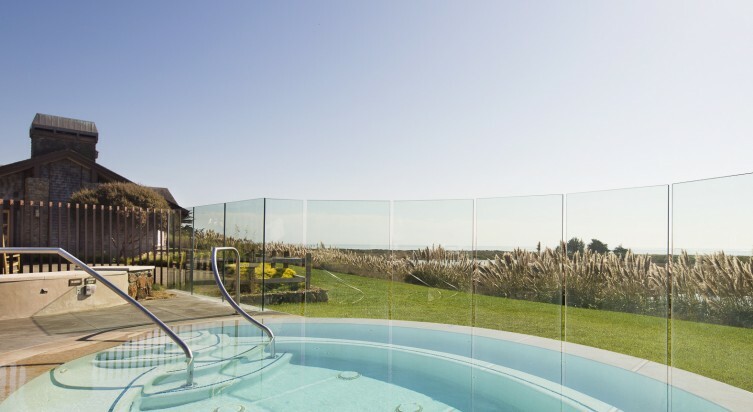 The waters supply our mineral pool and steam rooms, and combined with the ash, create the special mud for our famous mud baths.